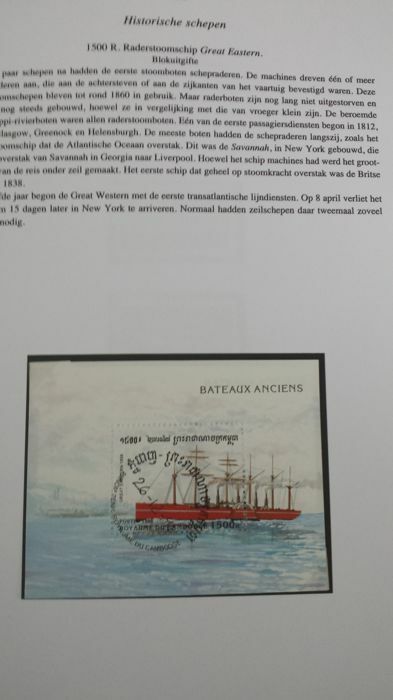 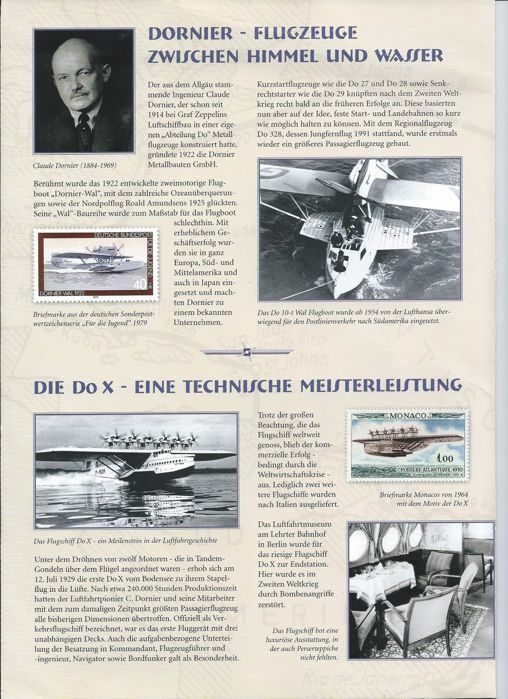 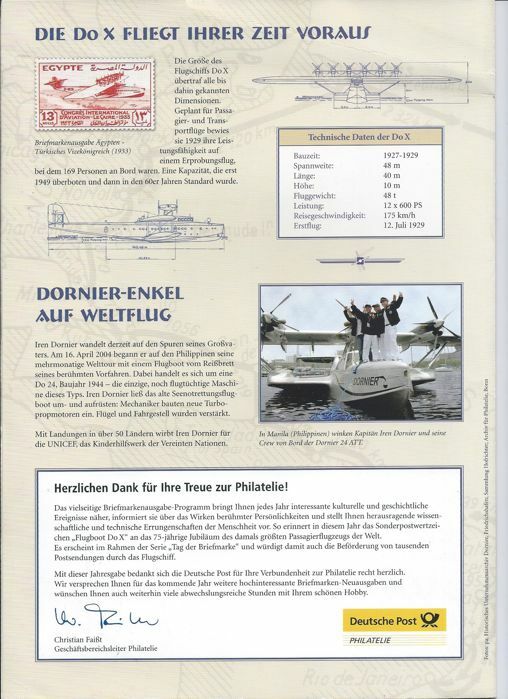 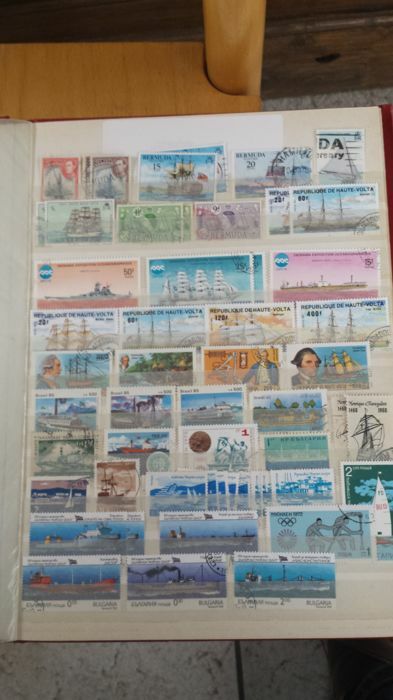 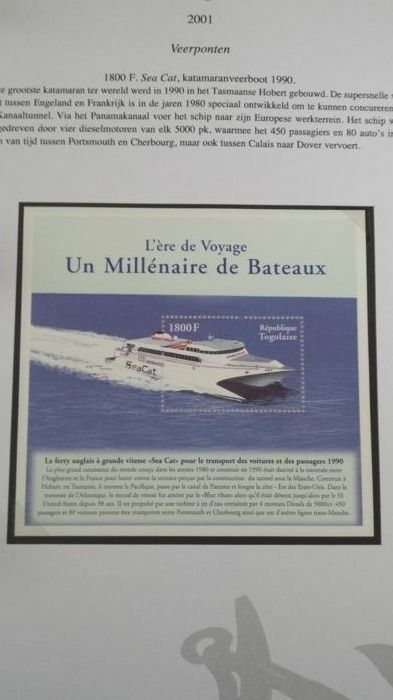 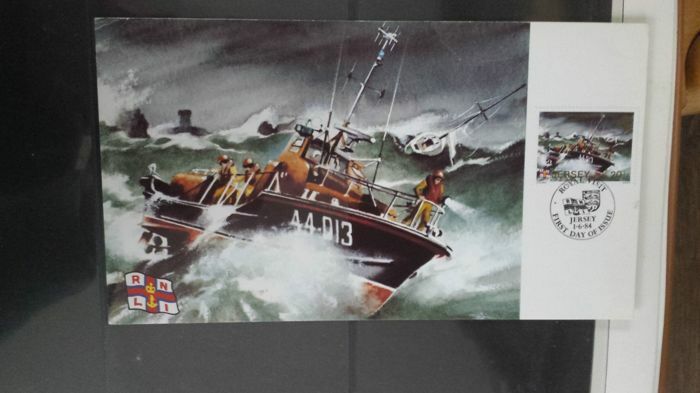 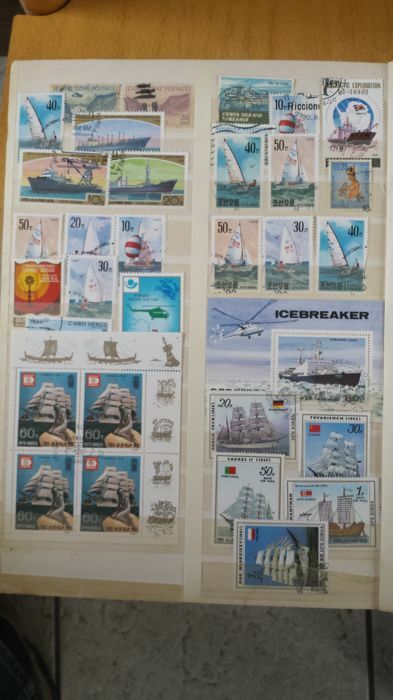 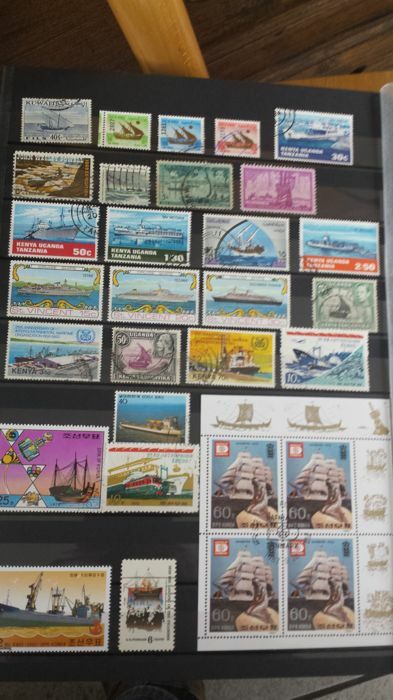 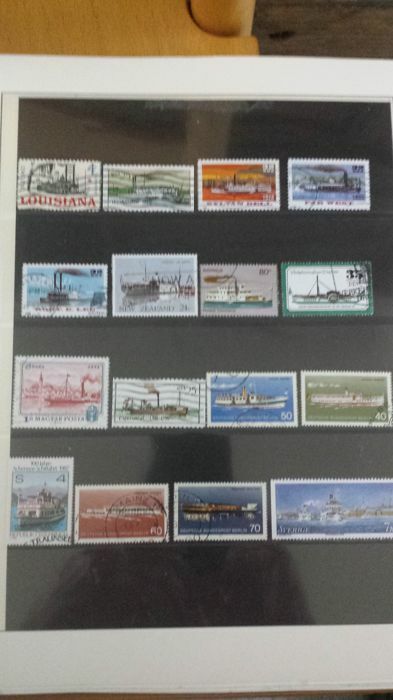 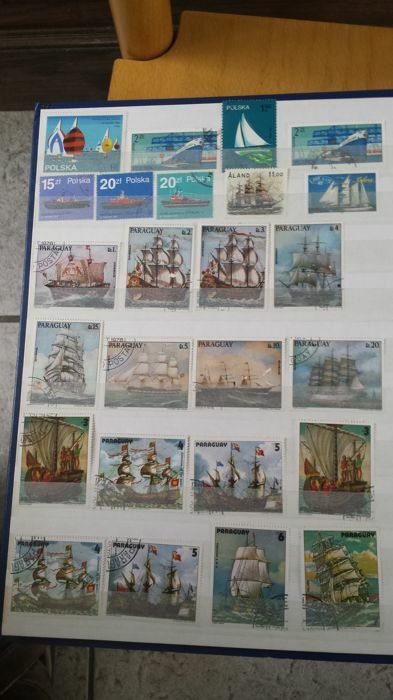 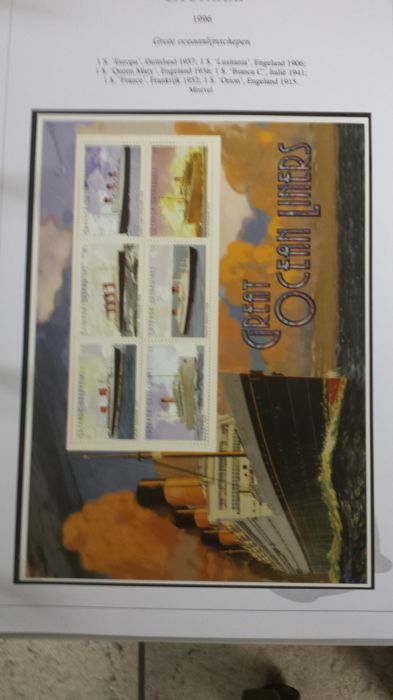 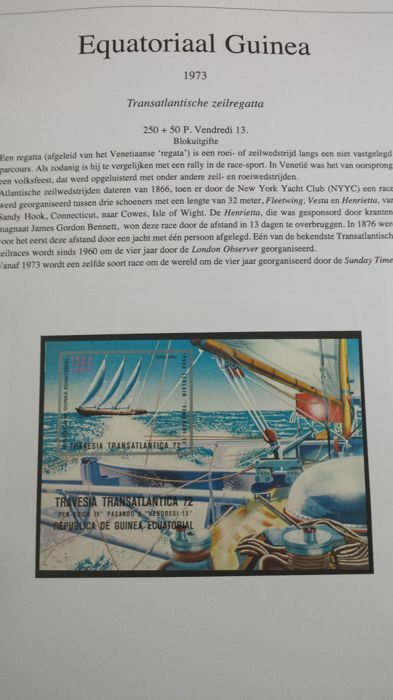 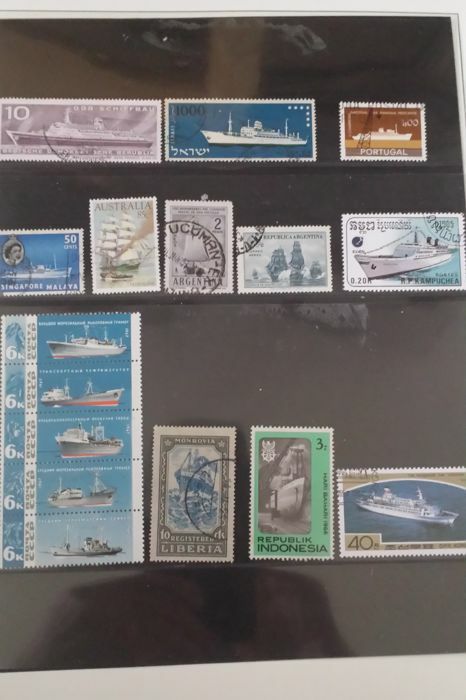 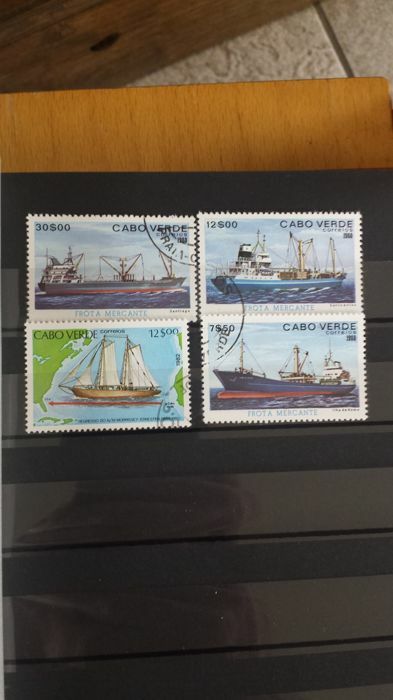 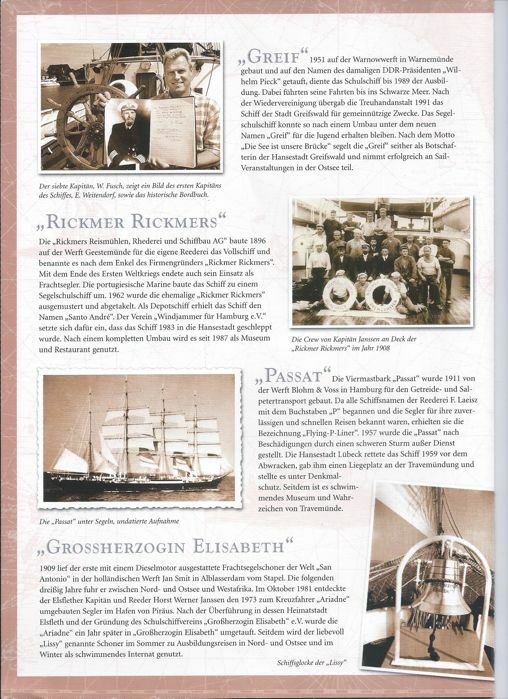 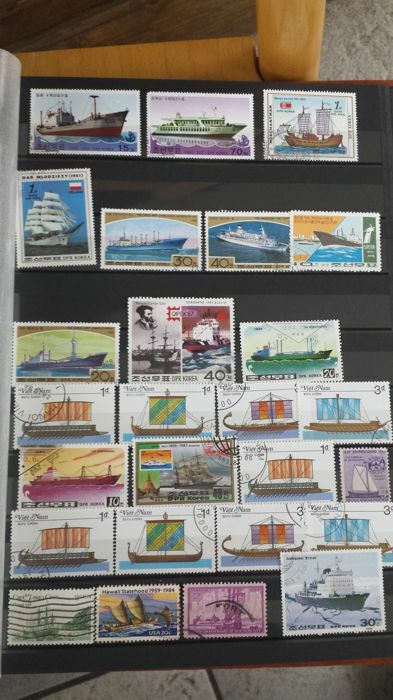 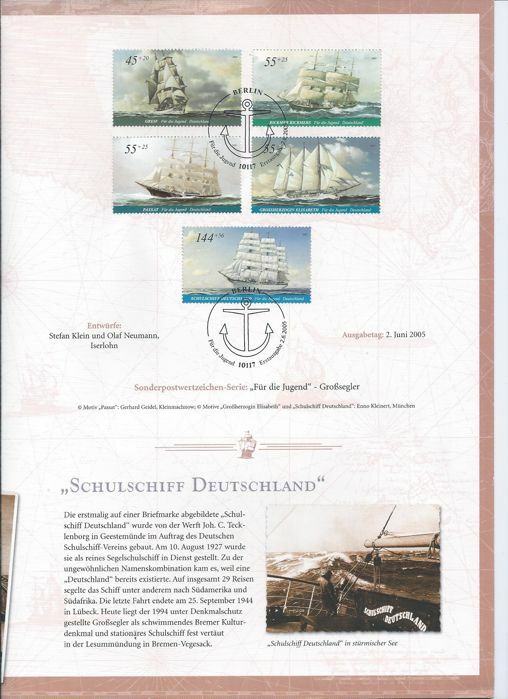 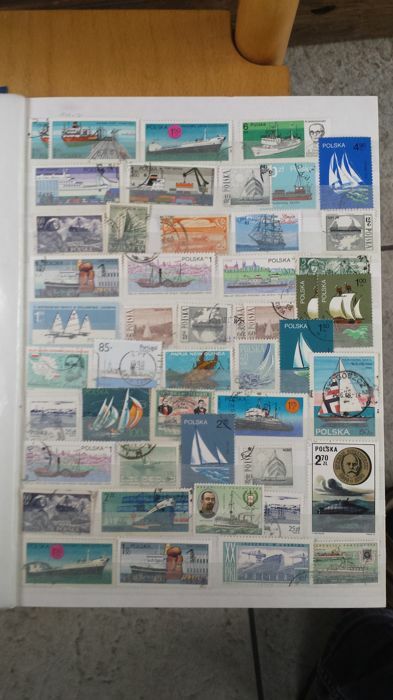 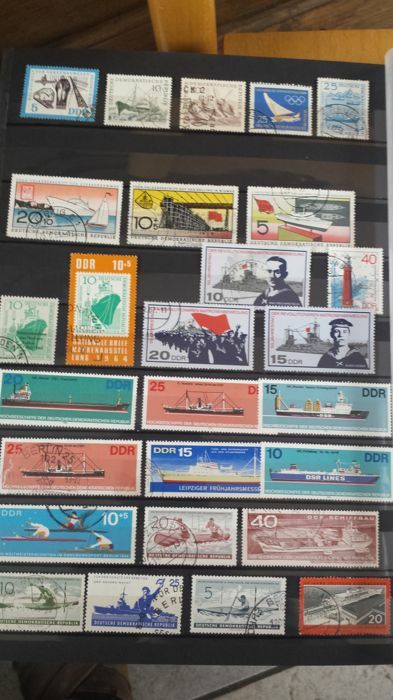 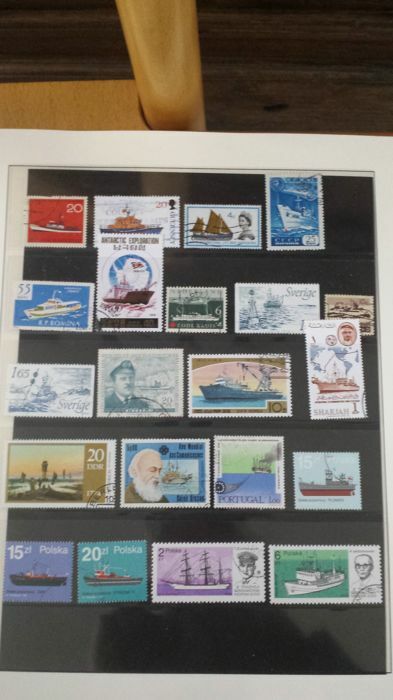 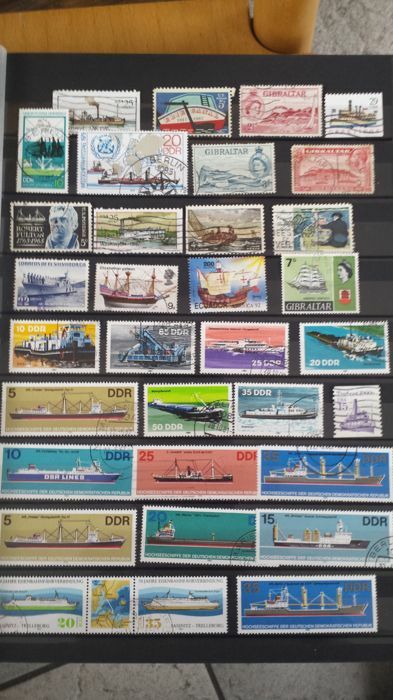 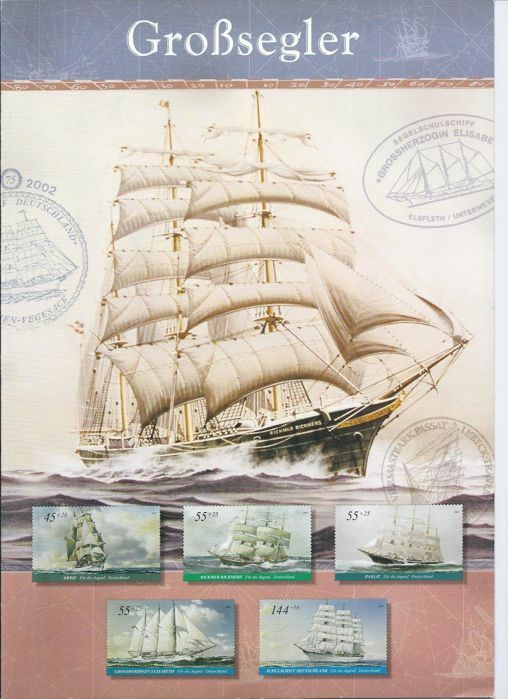 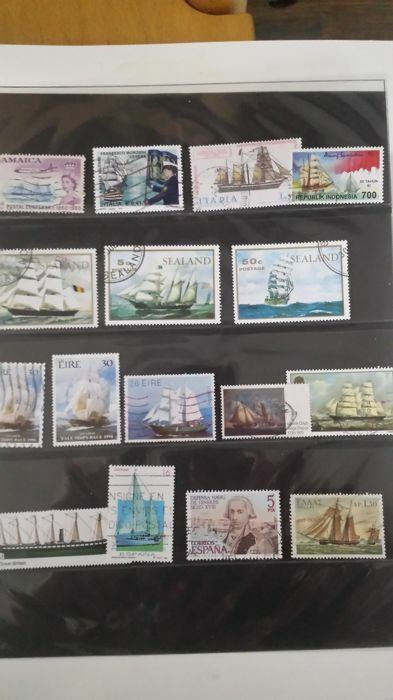 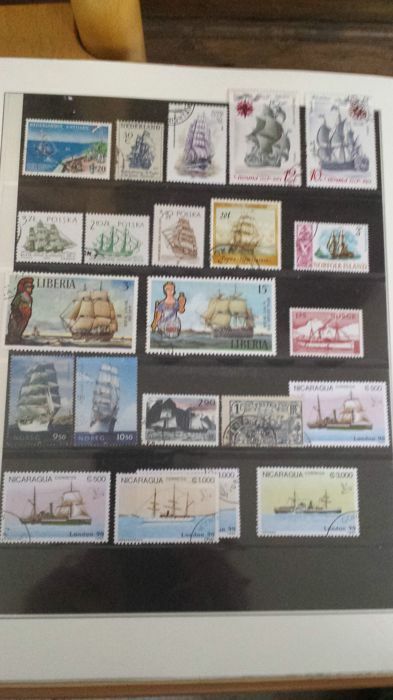 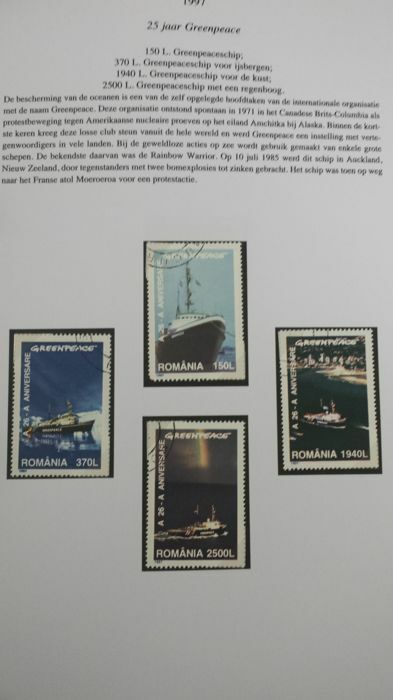 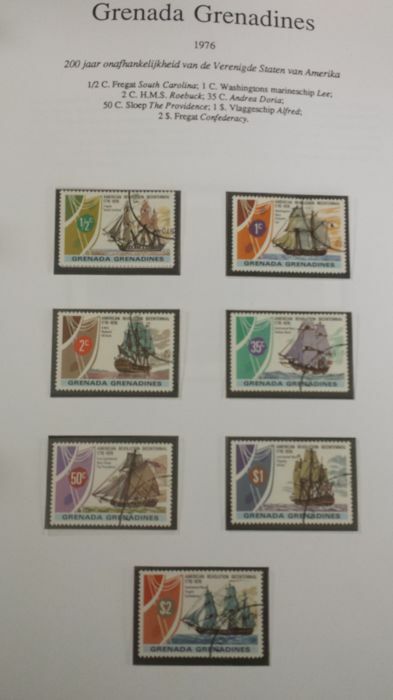 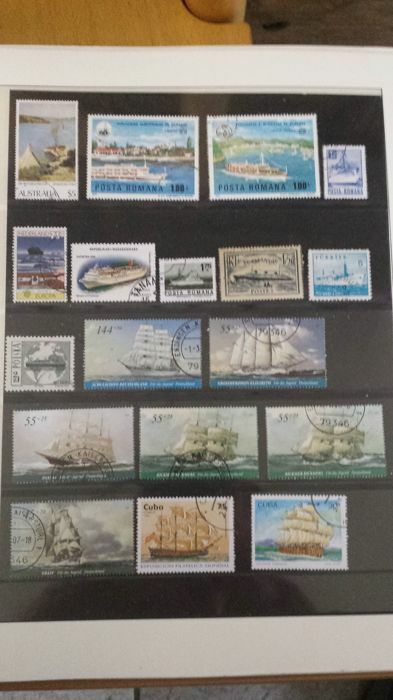 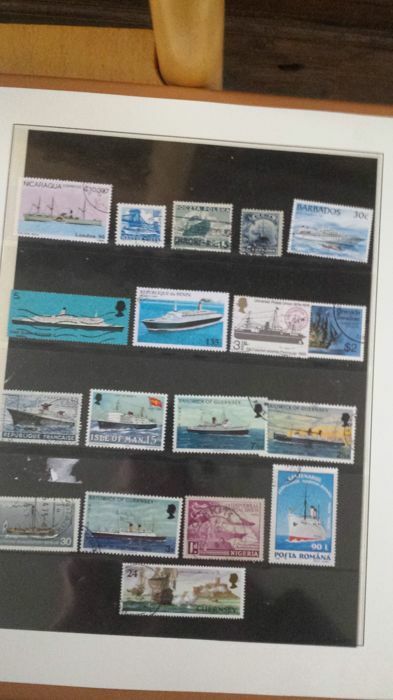 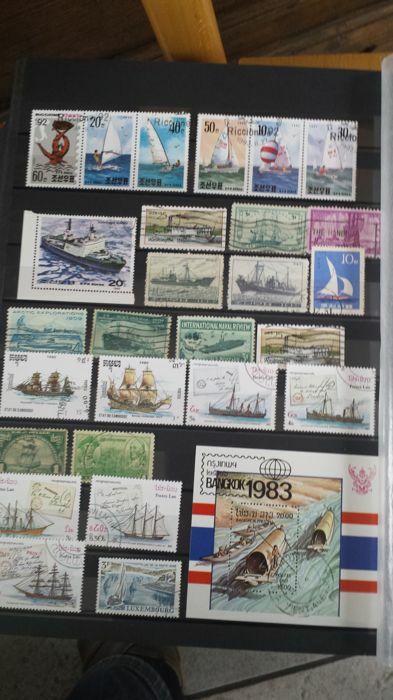 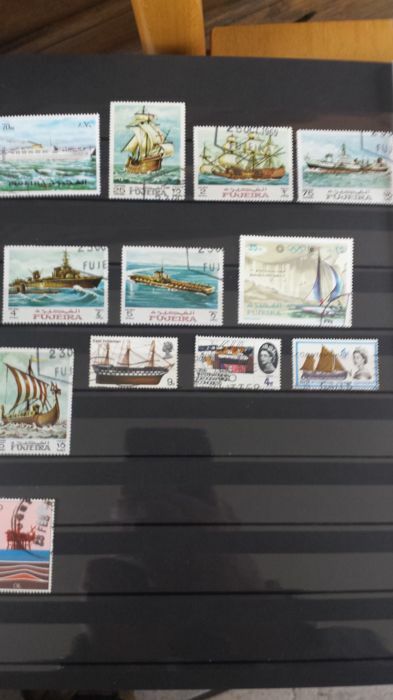 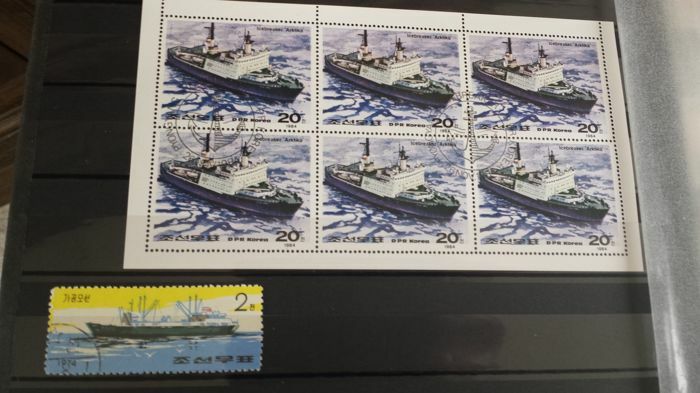 Sail, steam and motor vessels, boats and about shipping. 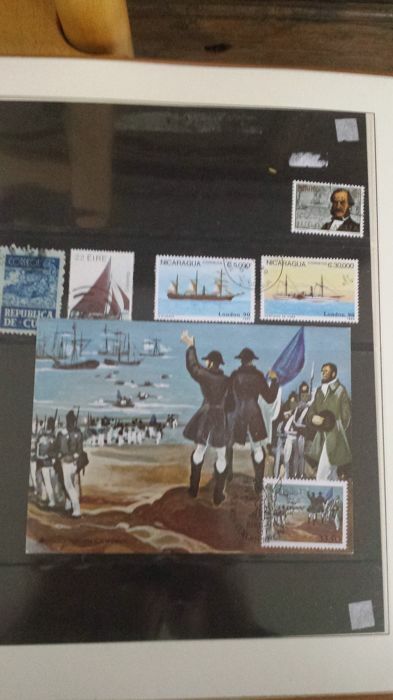 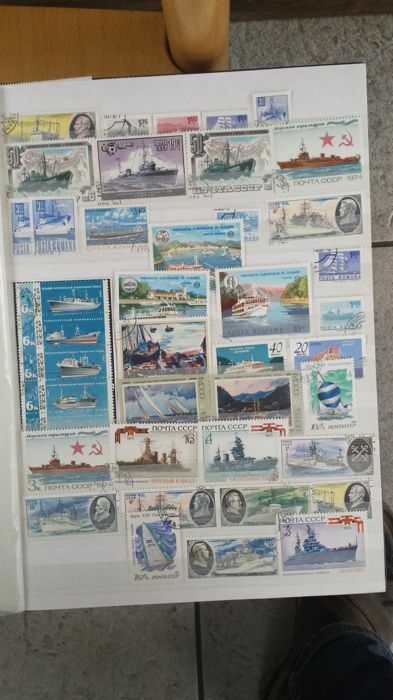 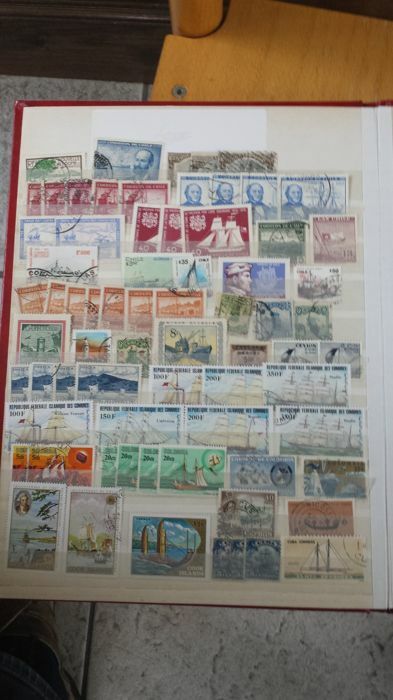 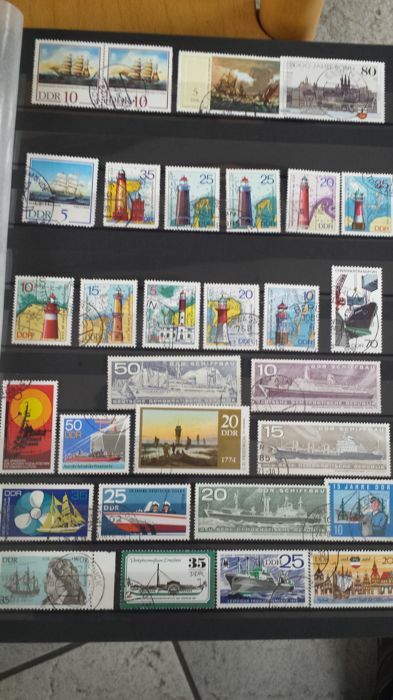 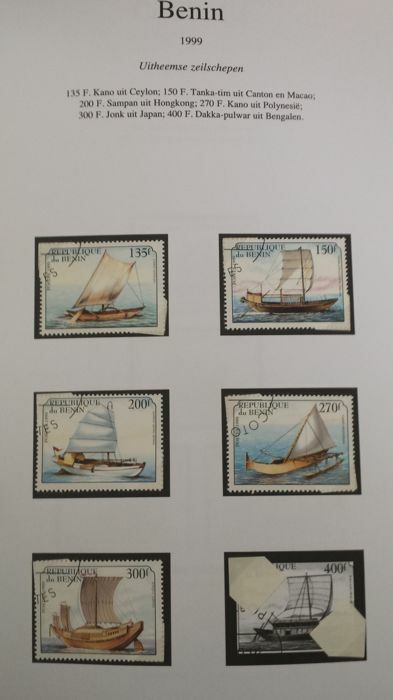 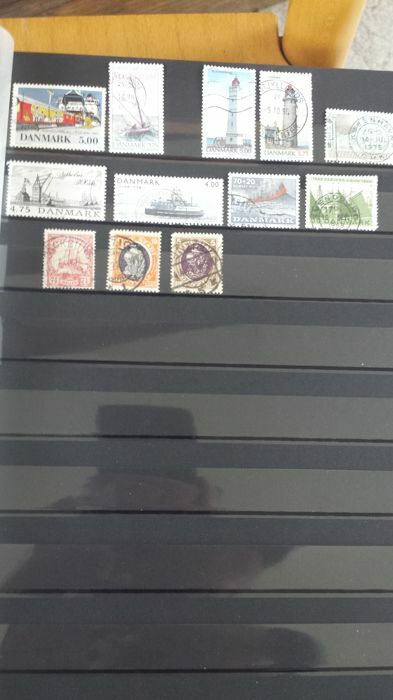 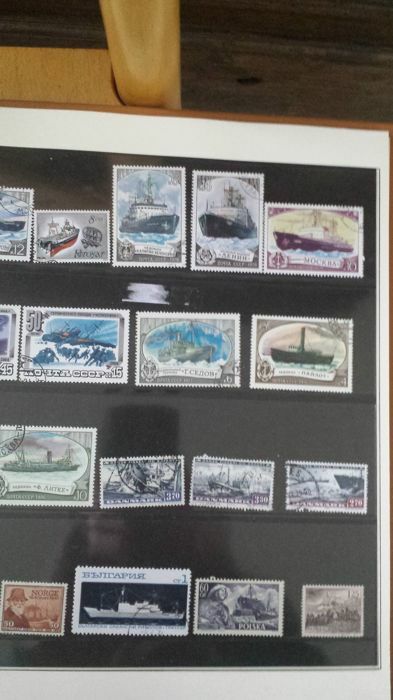 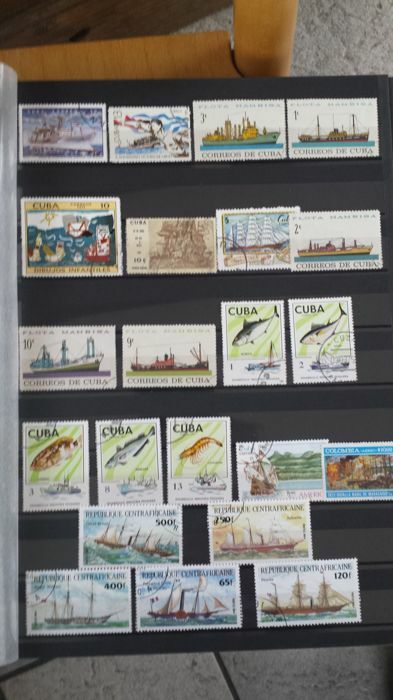 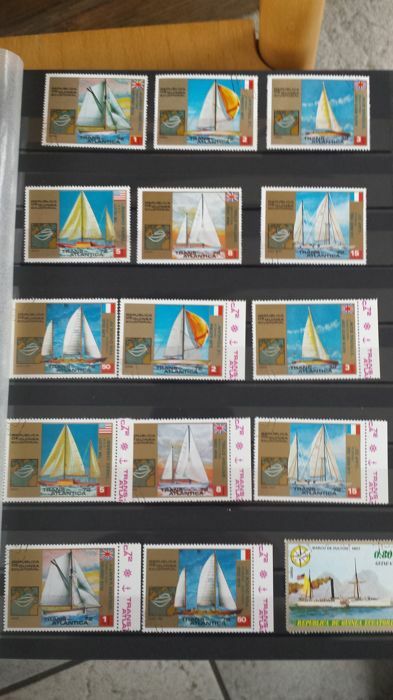 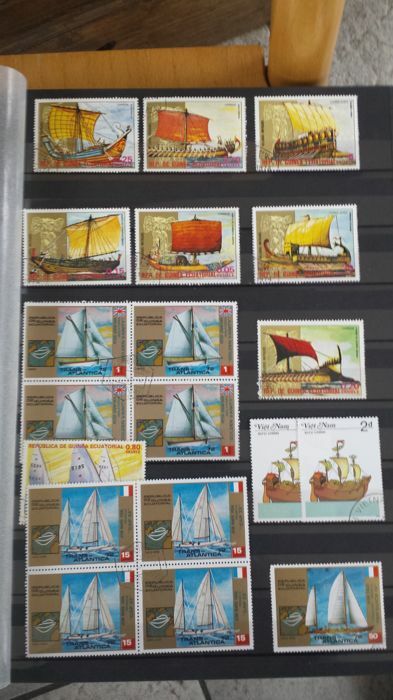 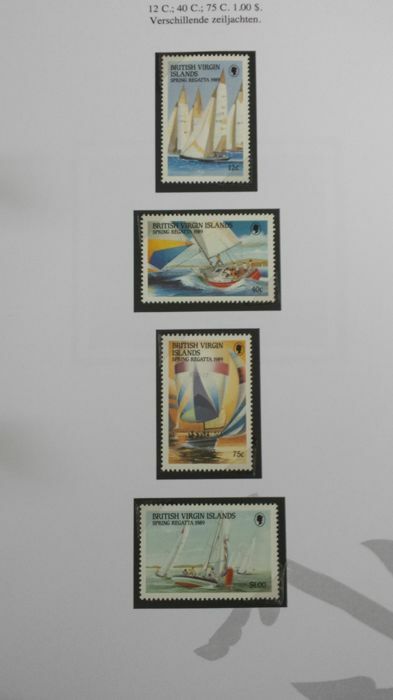 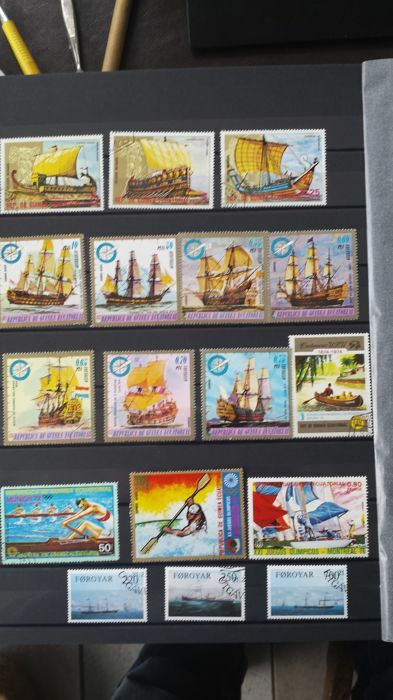 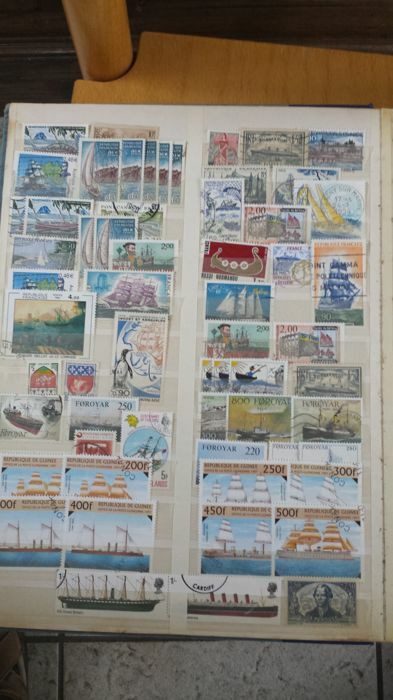 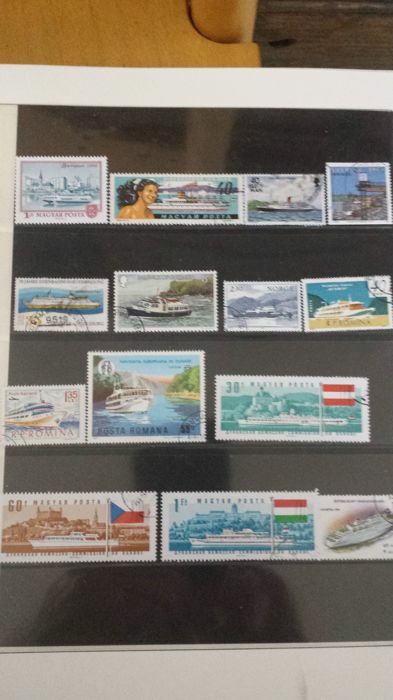 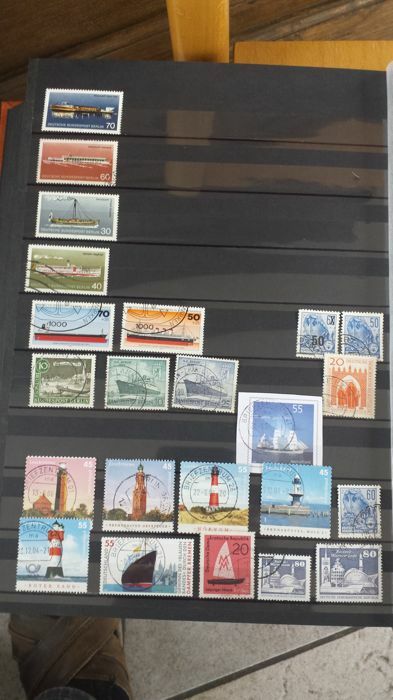 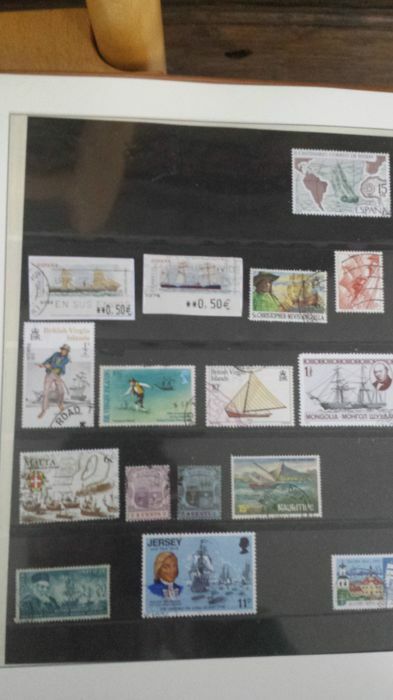 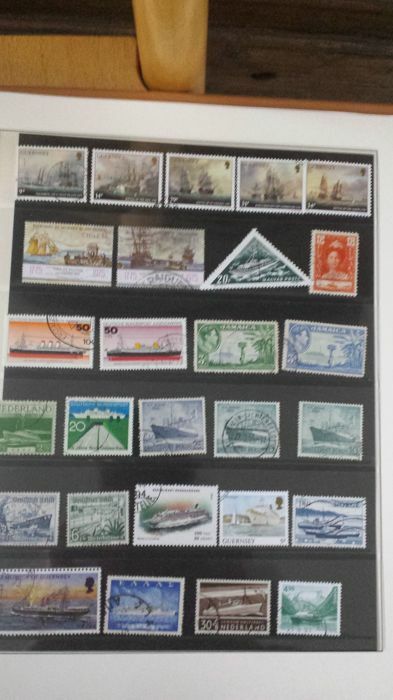 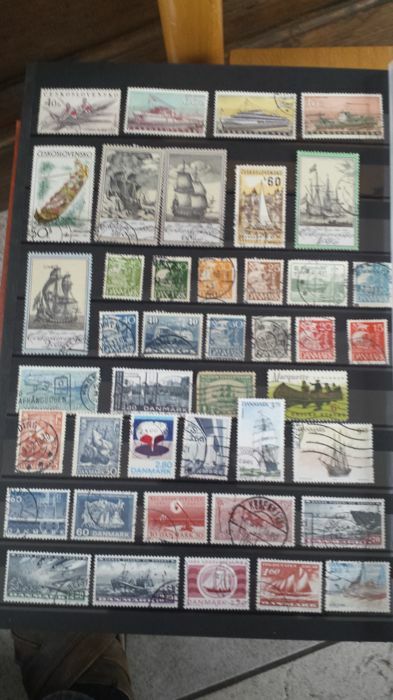 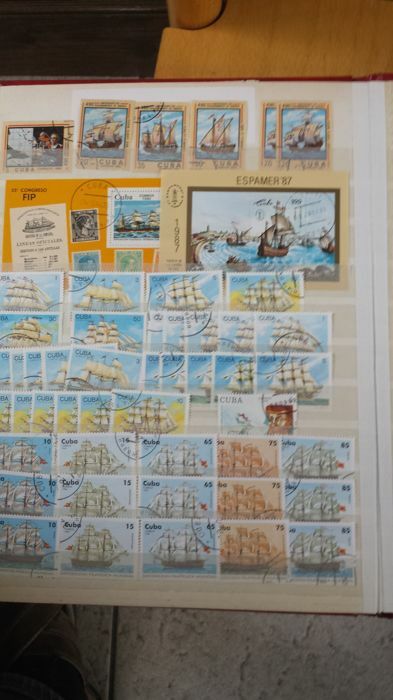 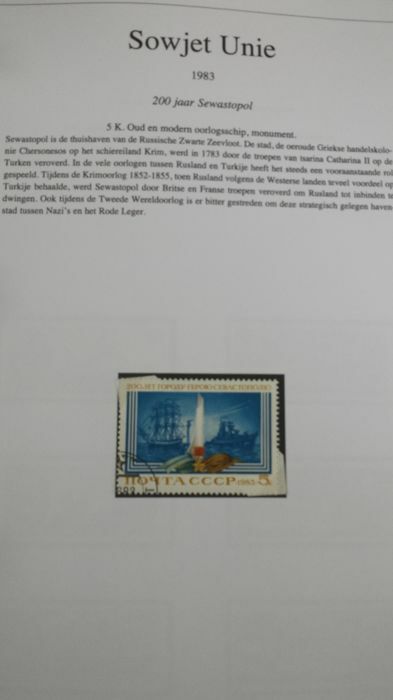 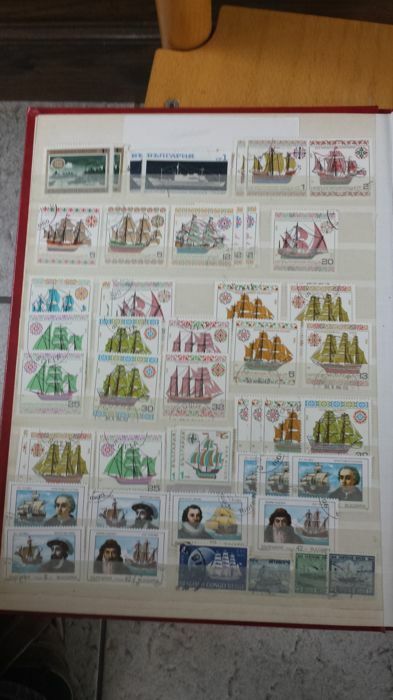 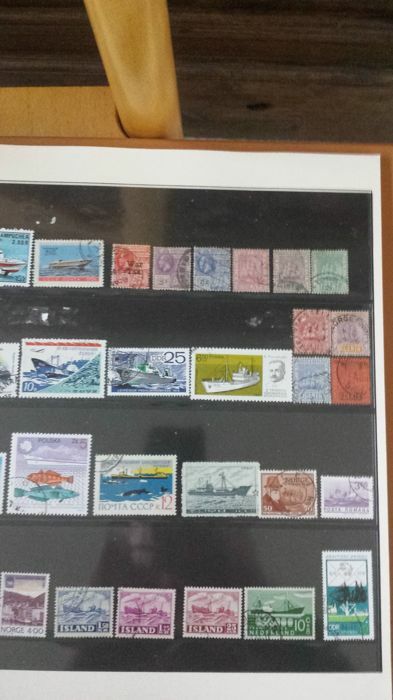 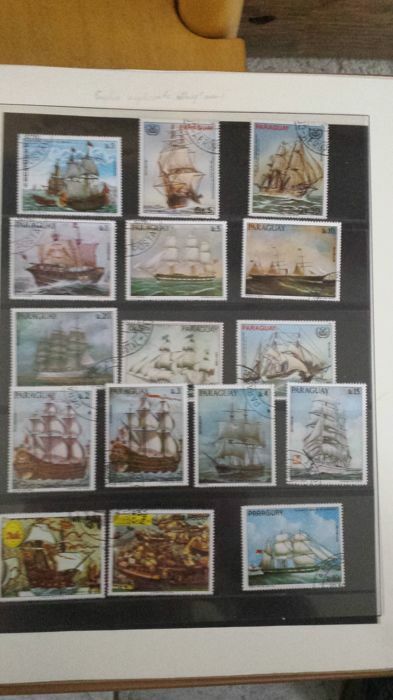 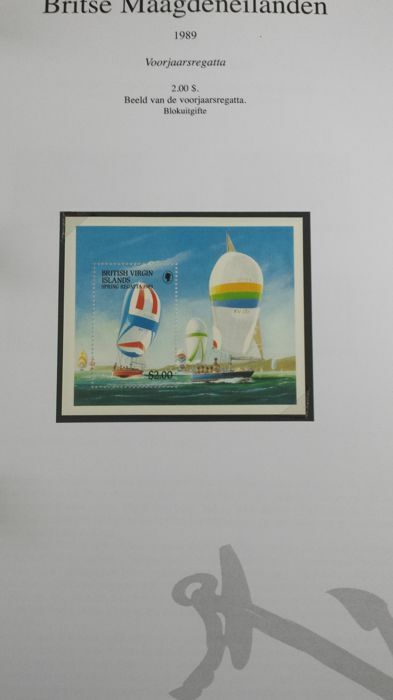 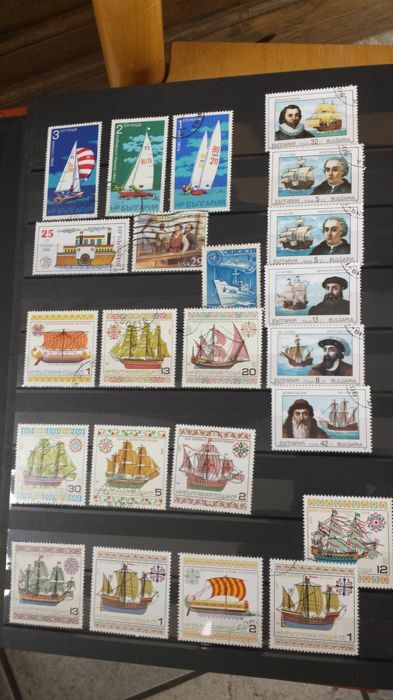 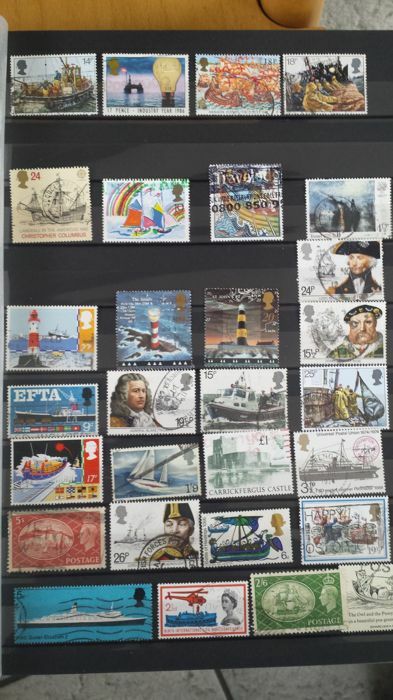 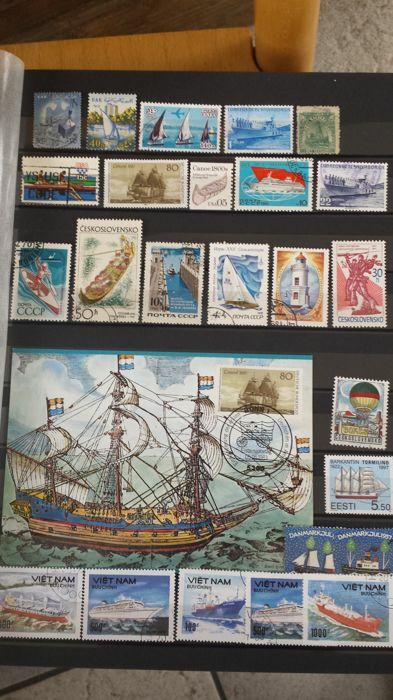 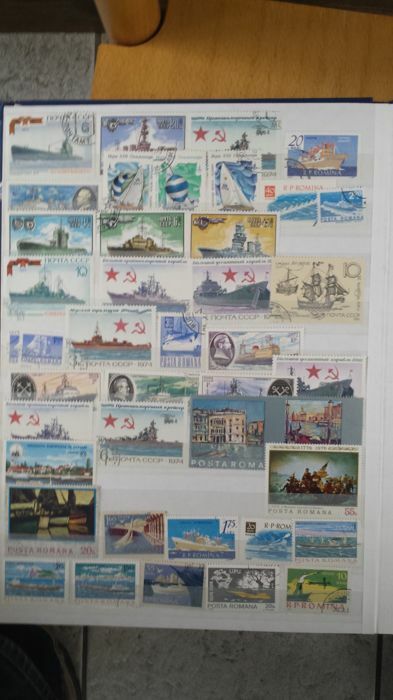 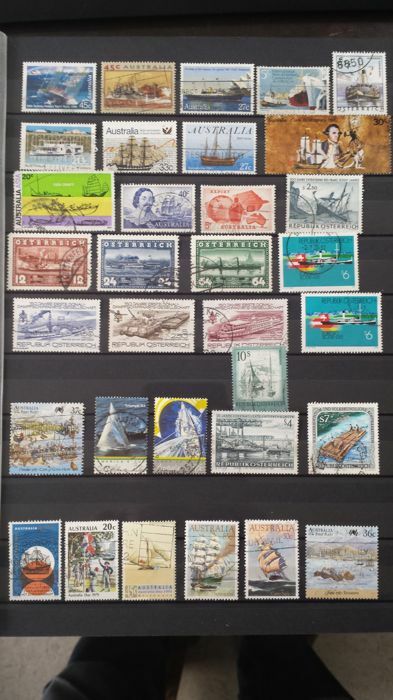 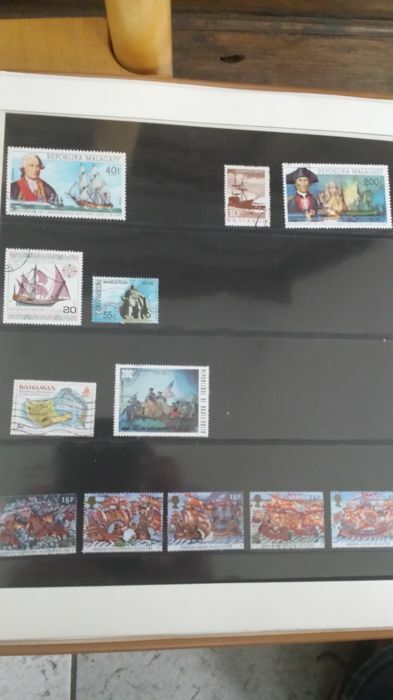 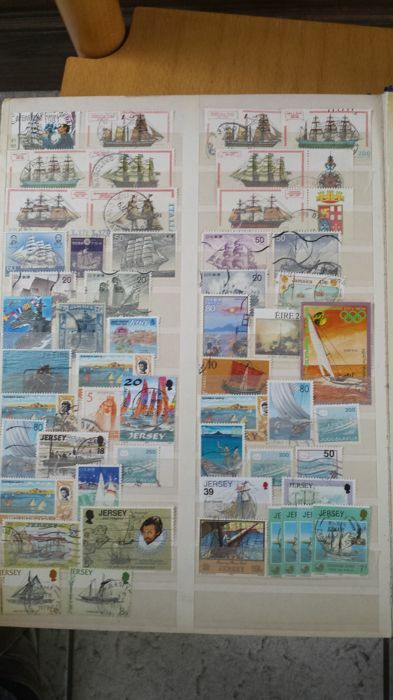 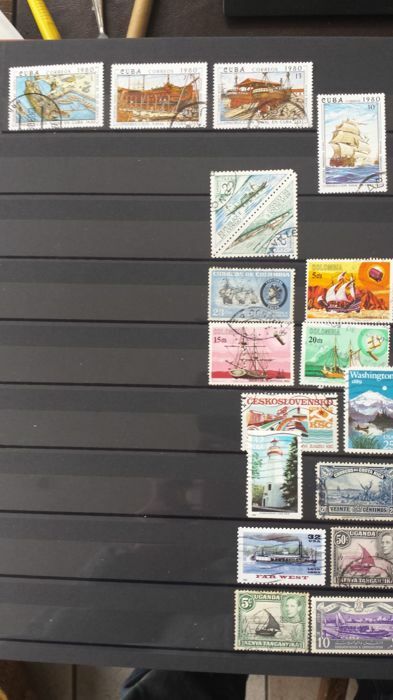 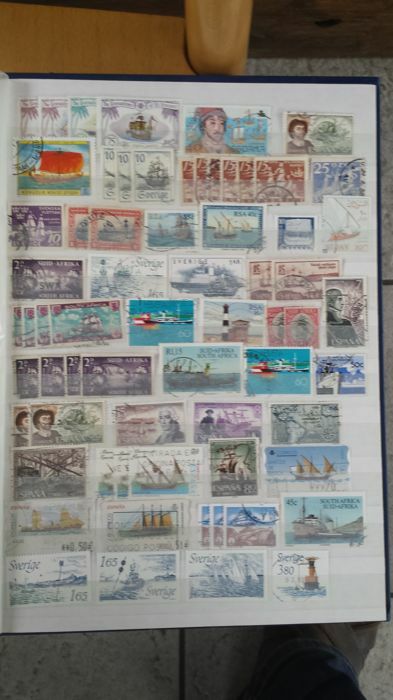 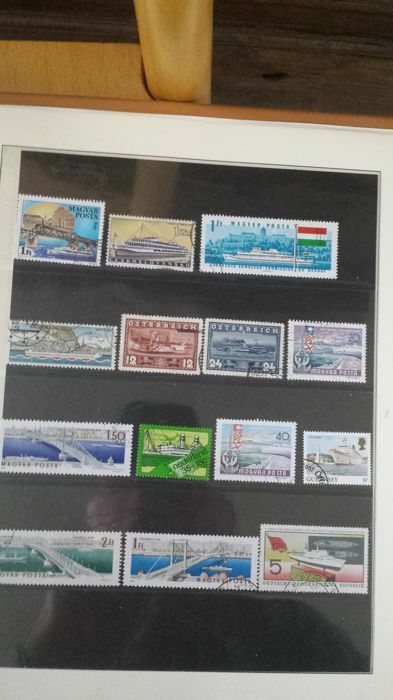 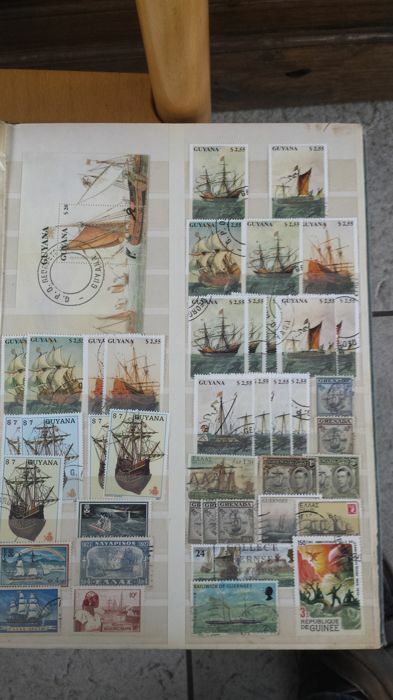 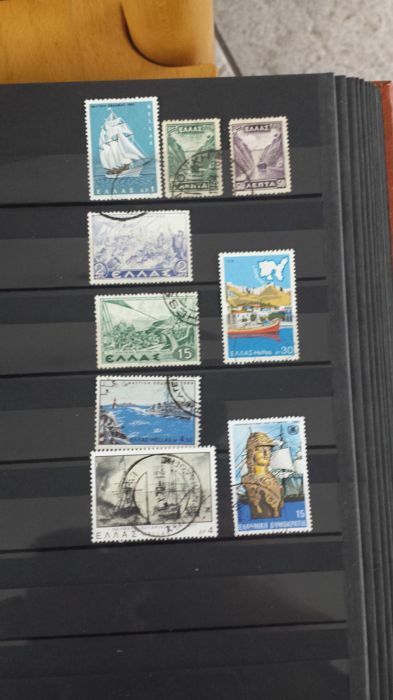 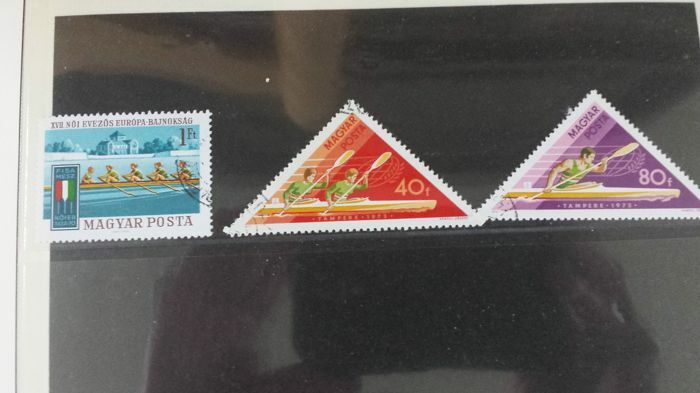 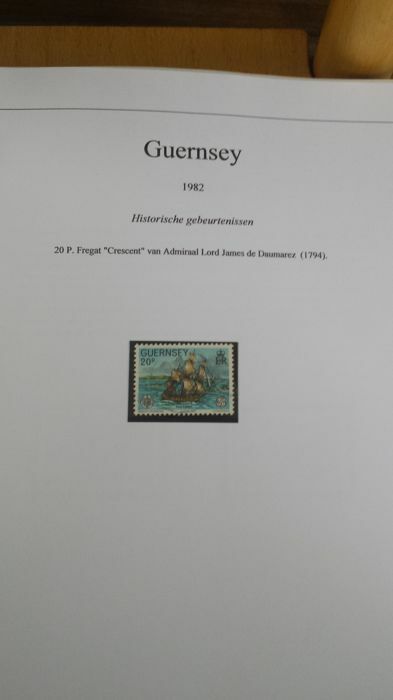 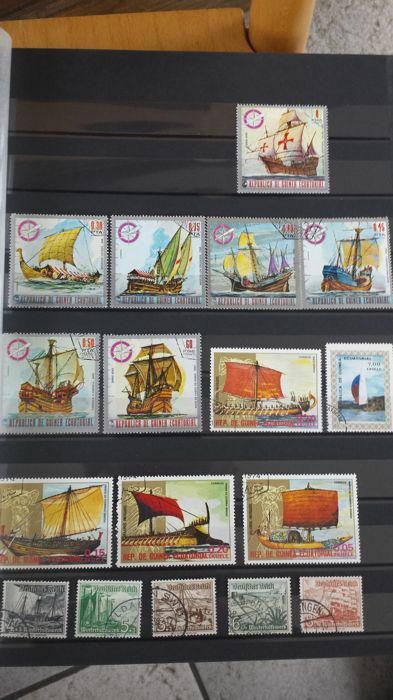 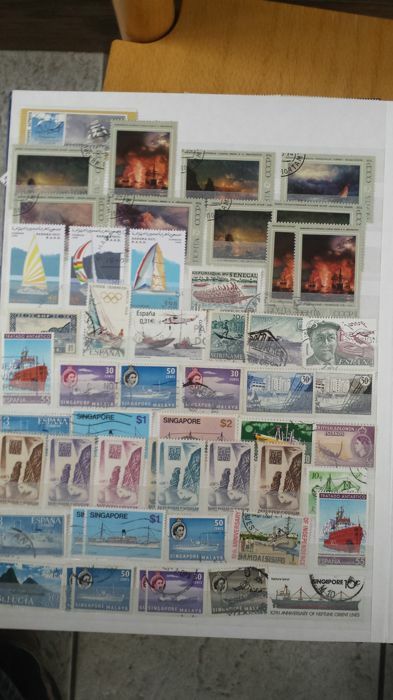 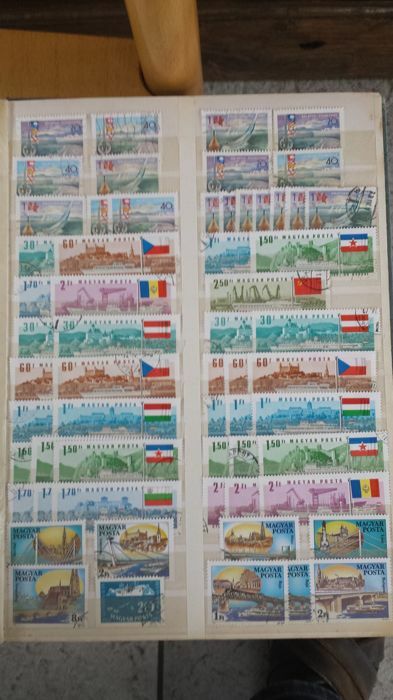 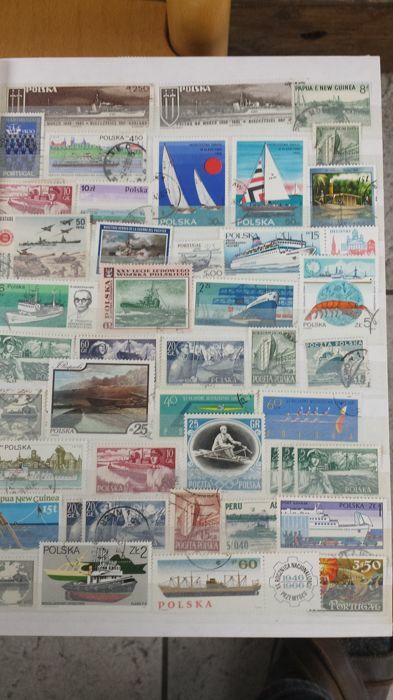 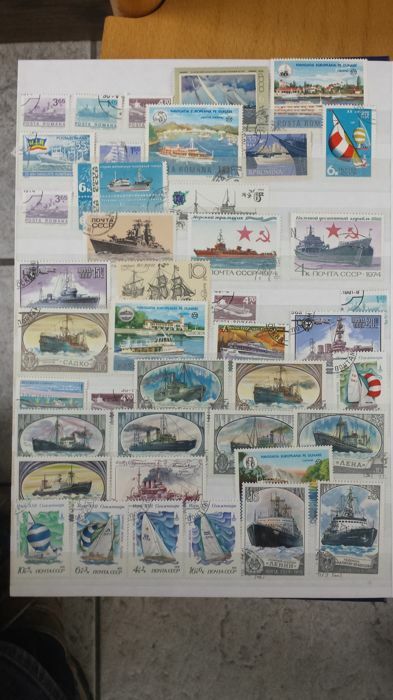 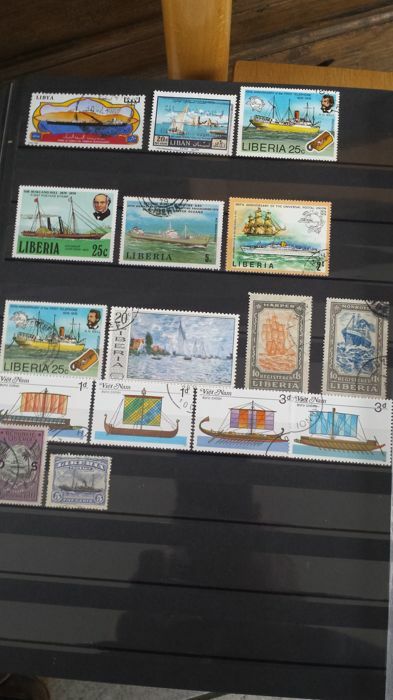 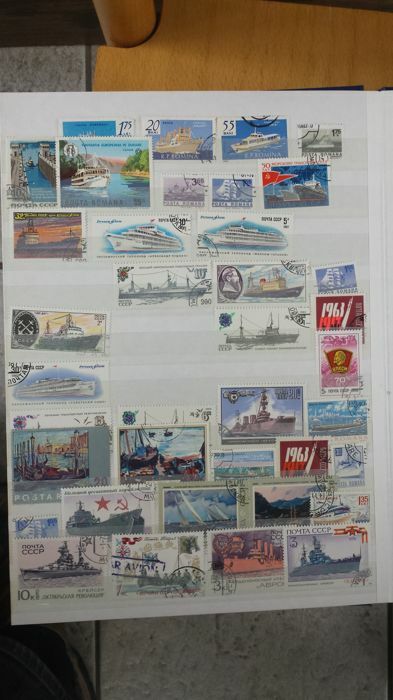 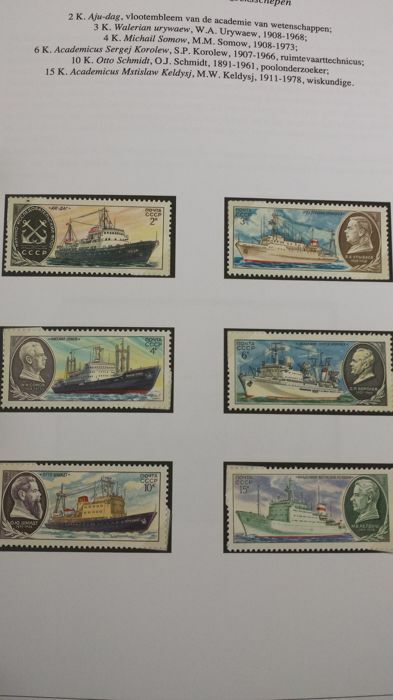 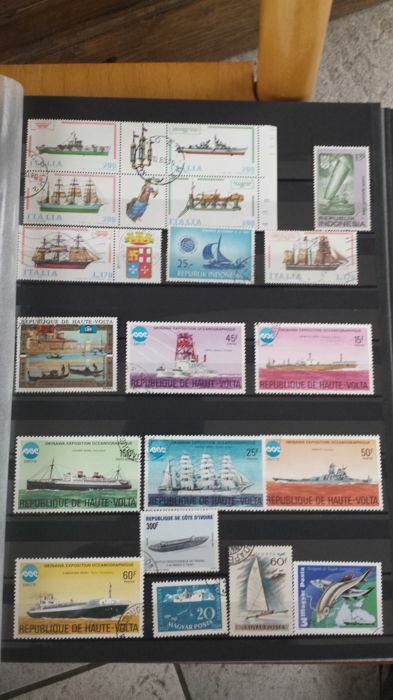 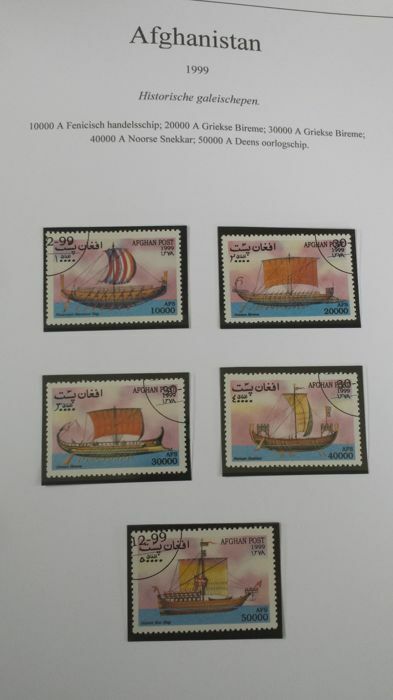 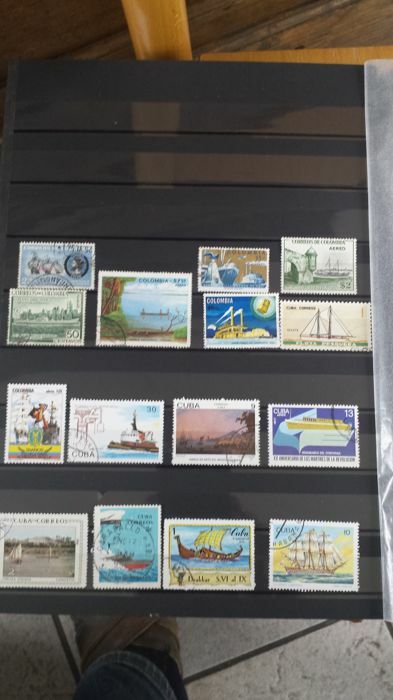 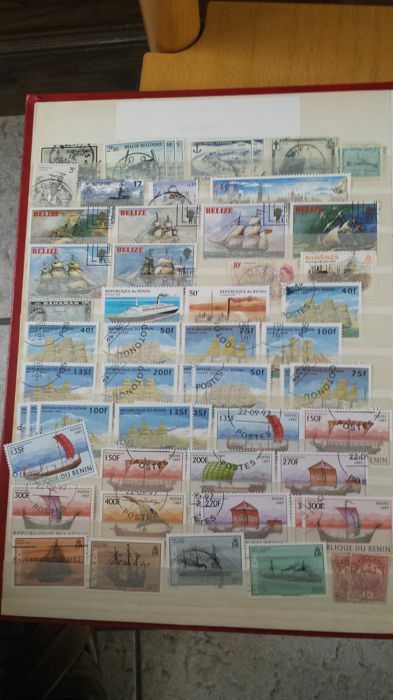 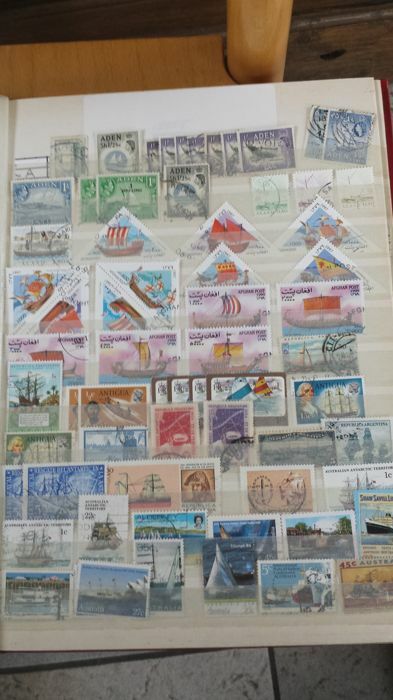 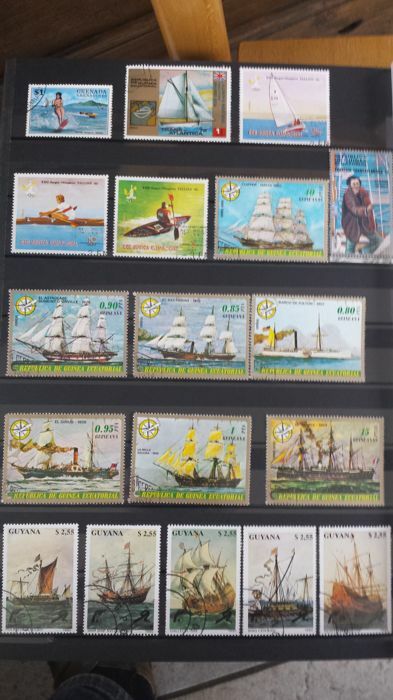 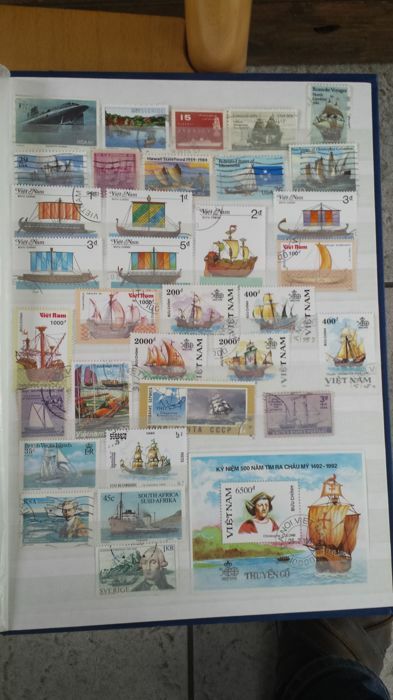 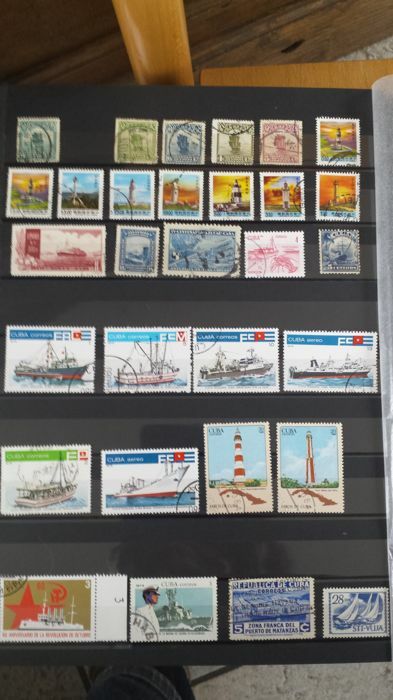 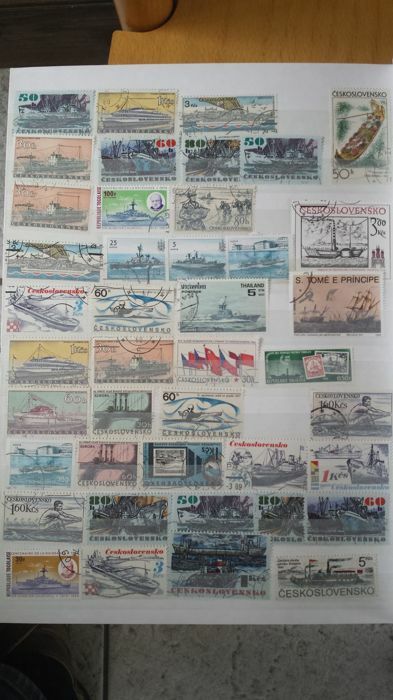 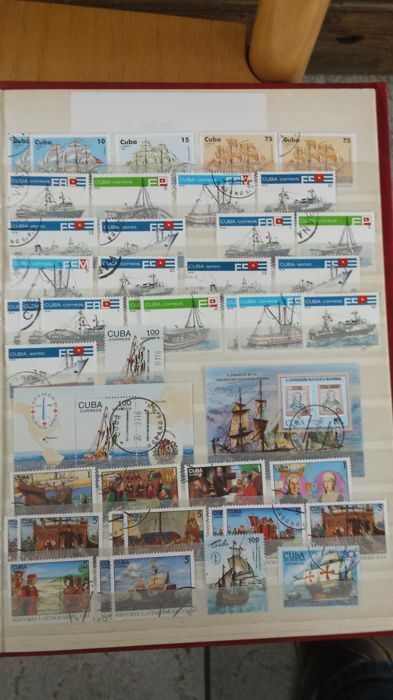 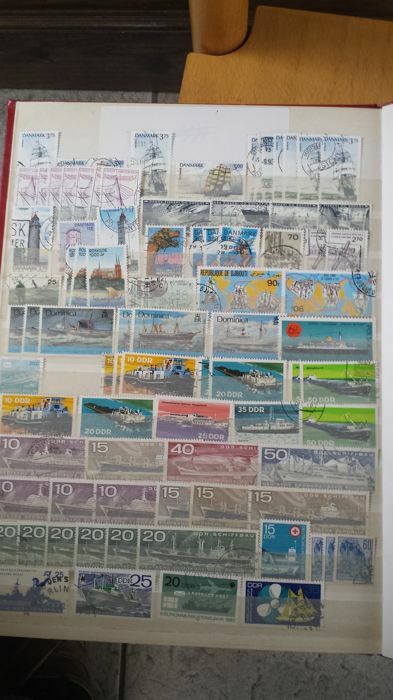 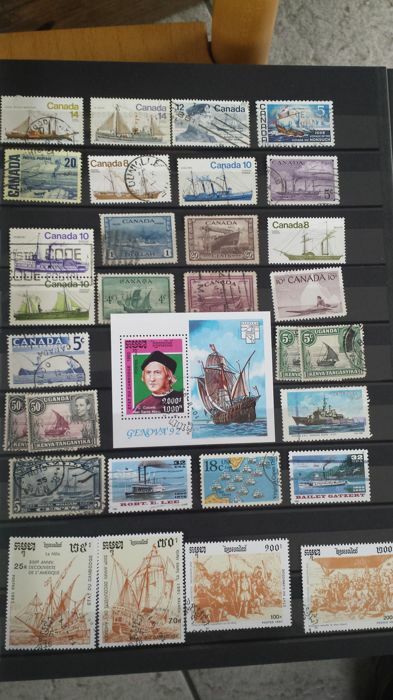 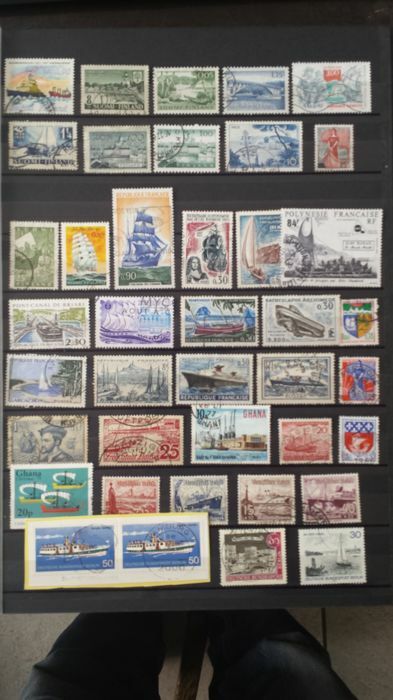 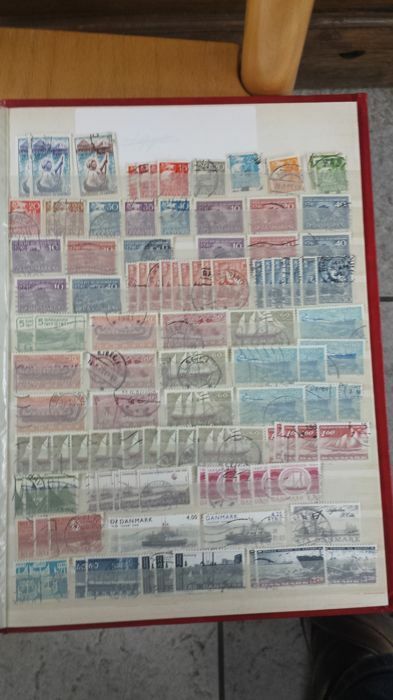 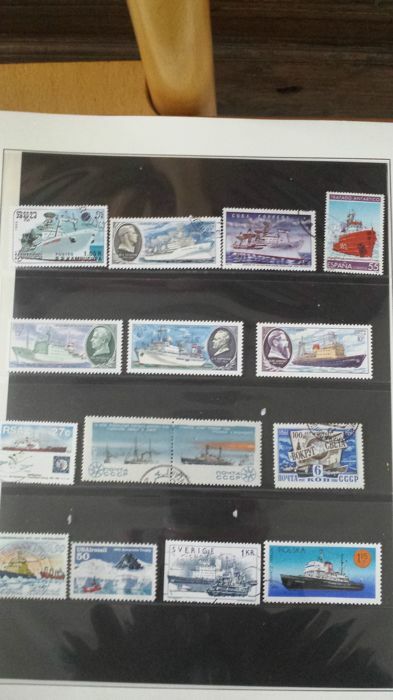 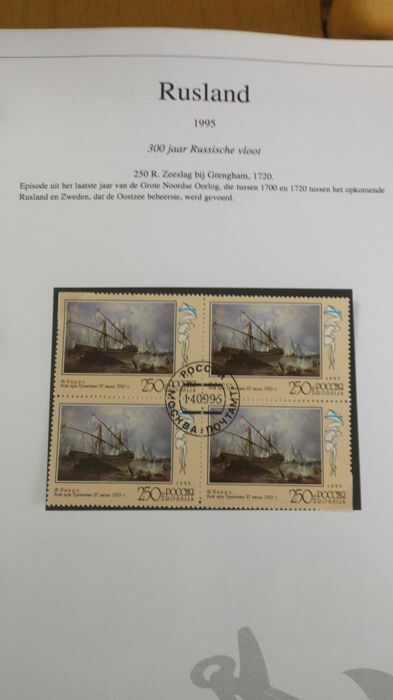 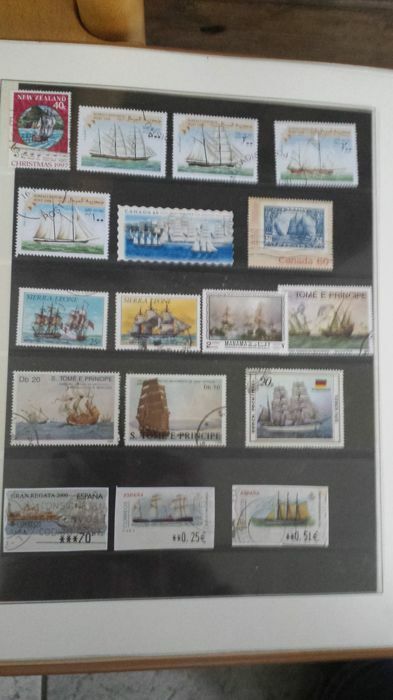 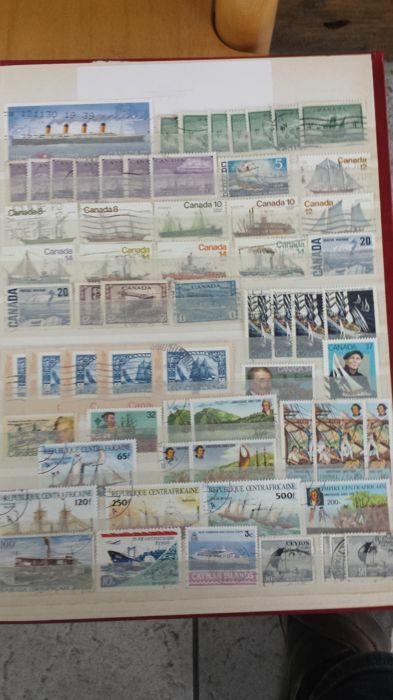 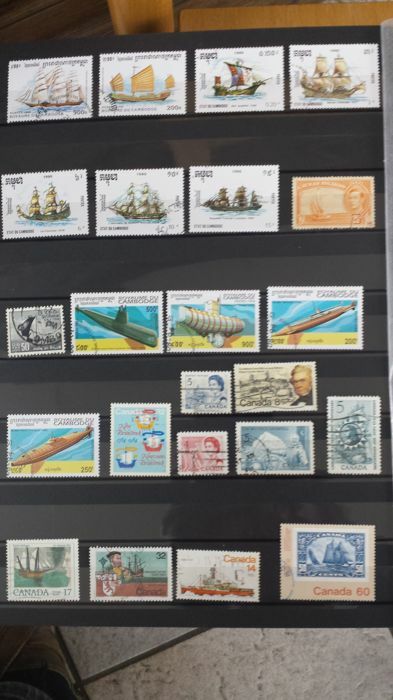 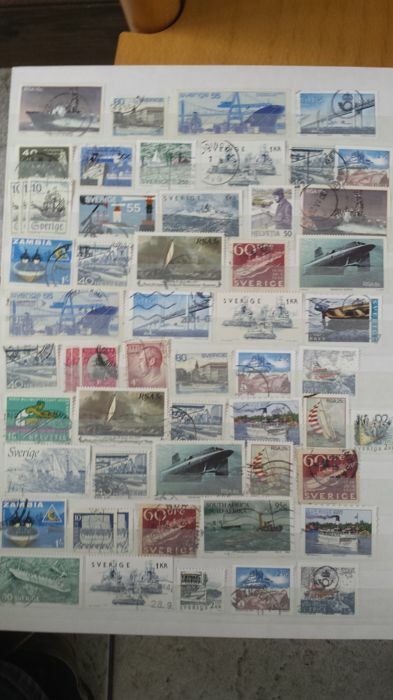 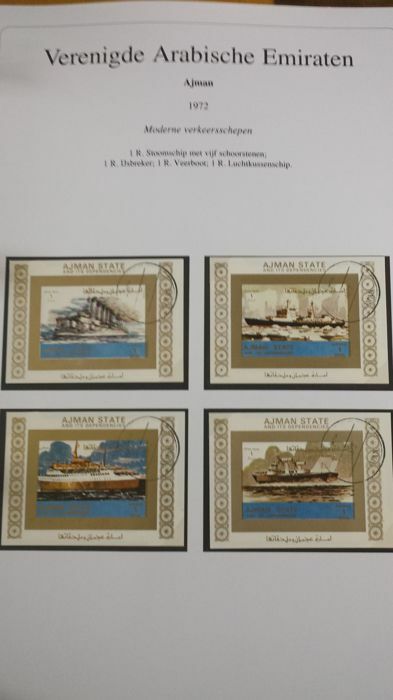 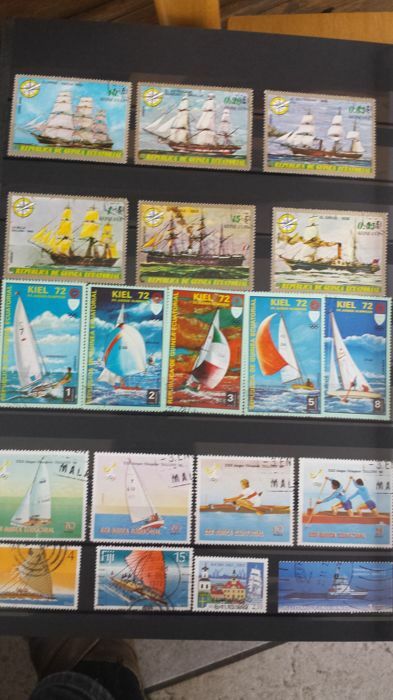 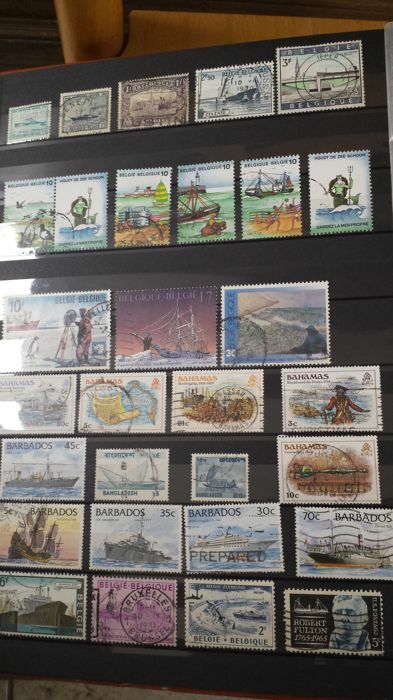 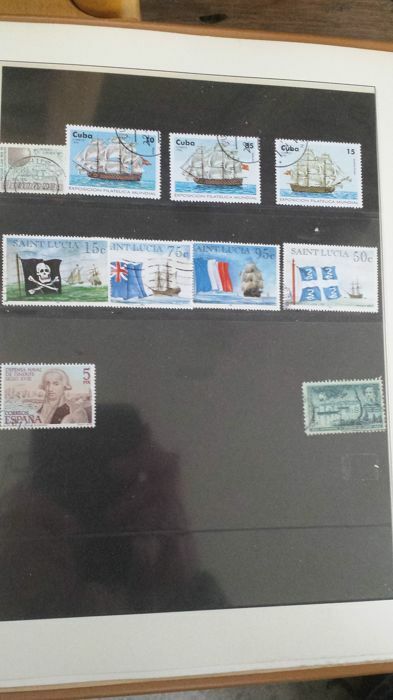 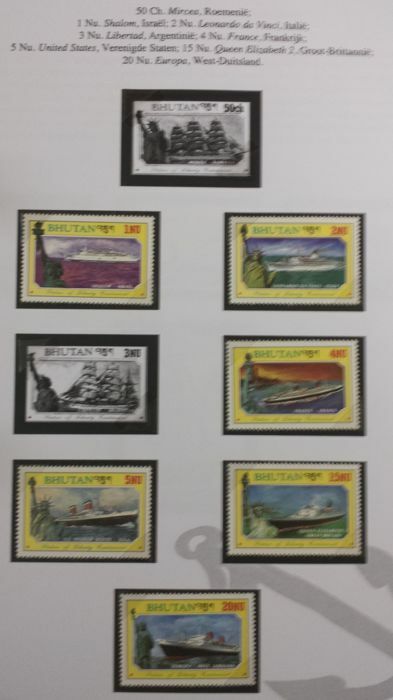 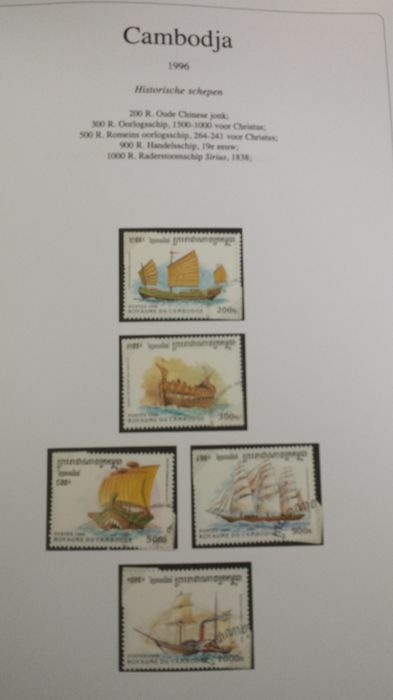 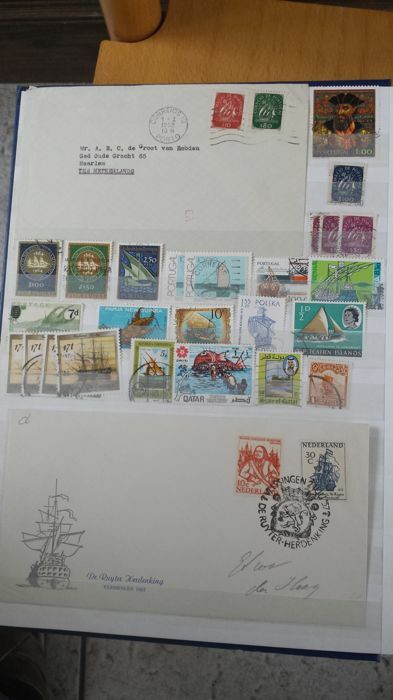 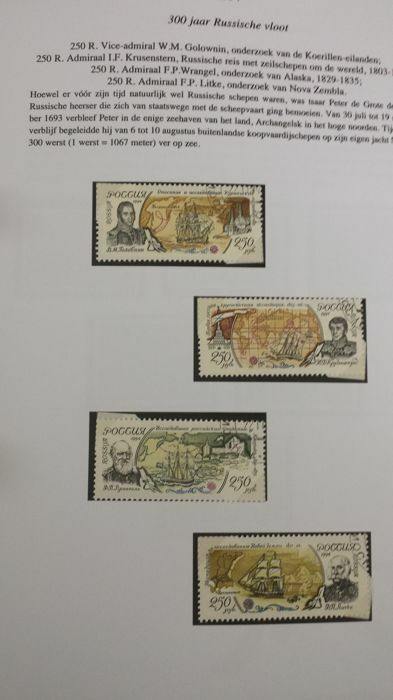 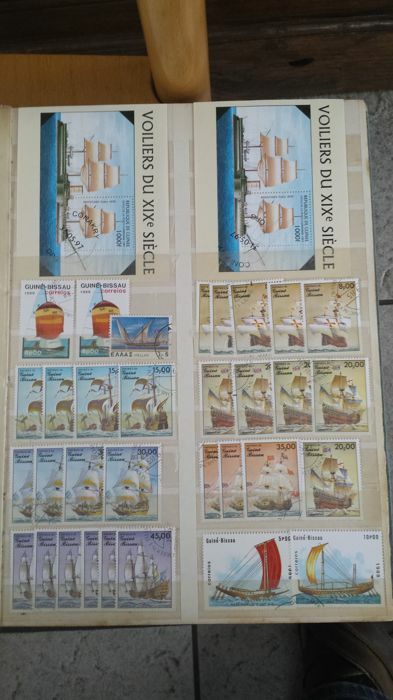 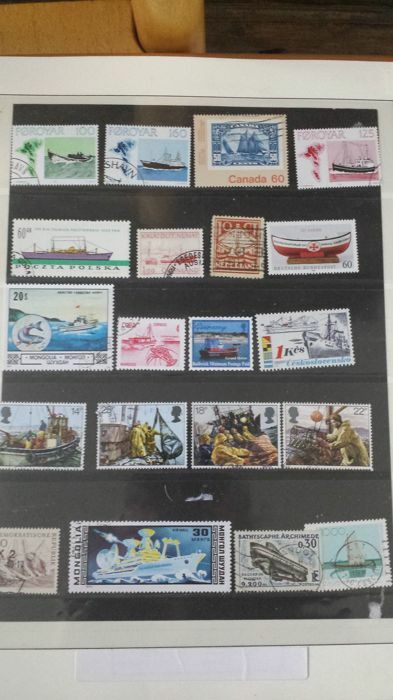 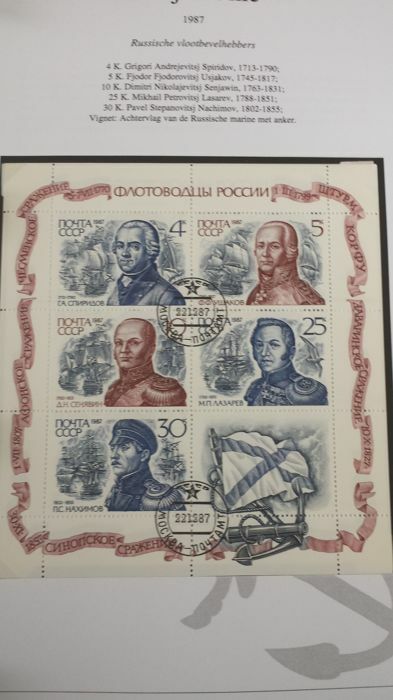 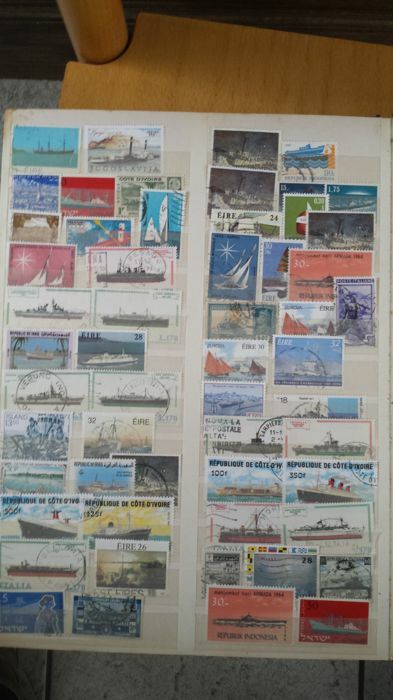 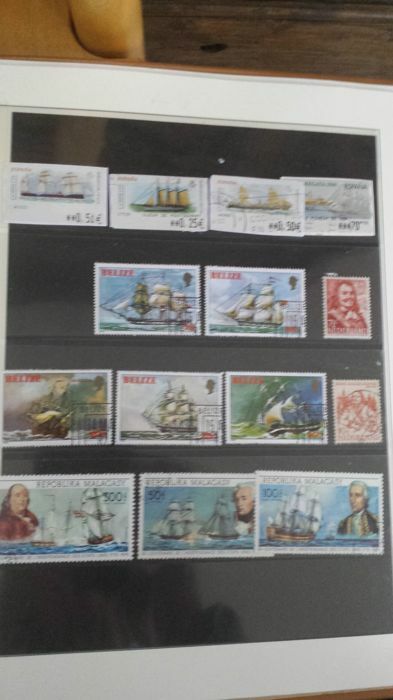 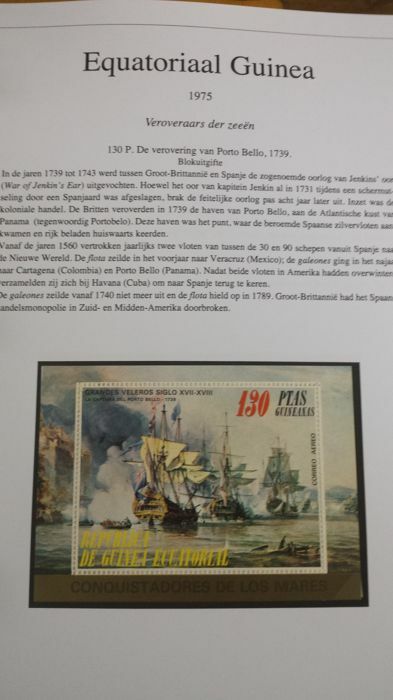 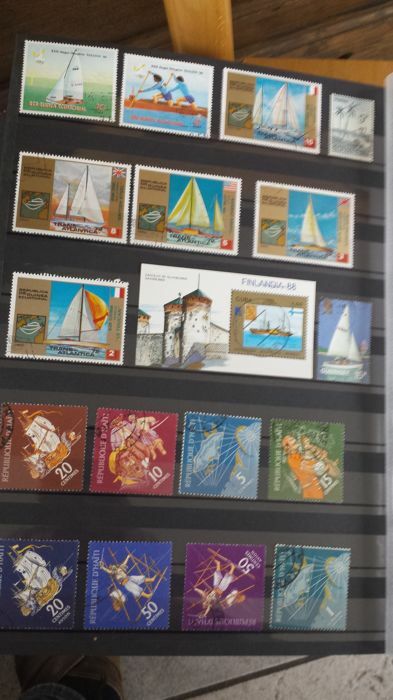 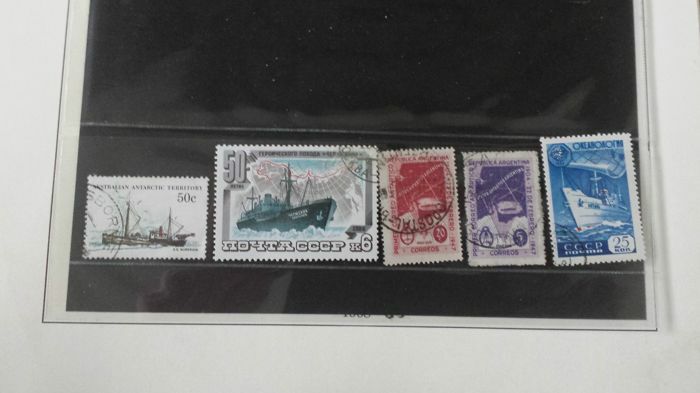 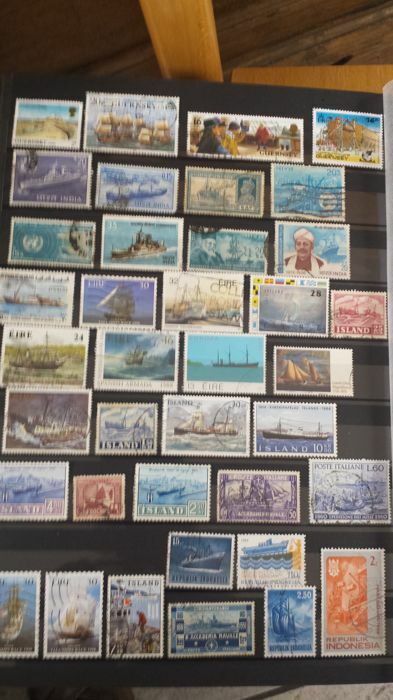 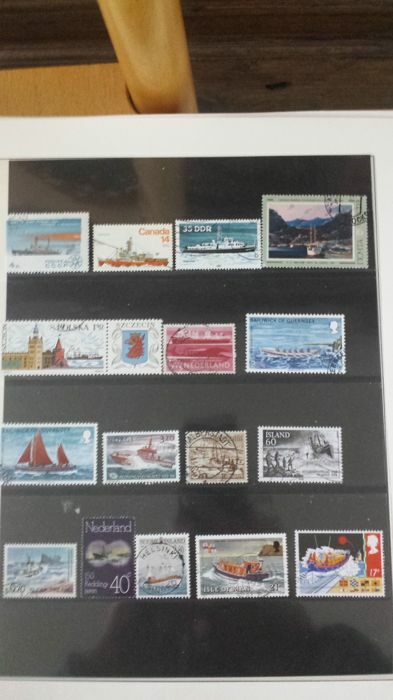 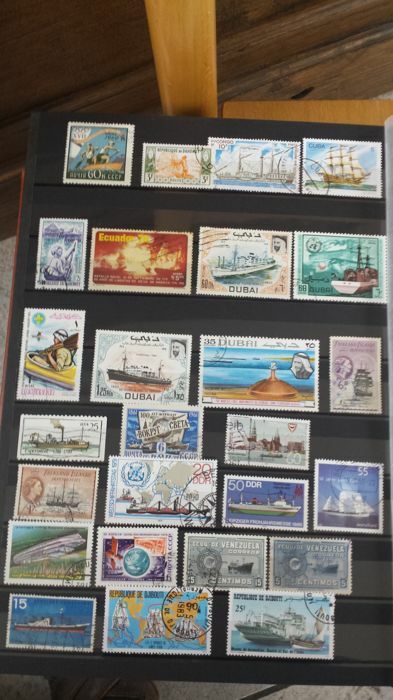 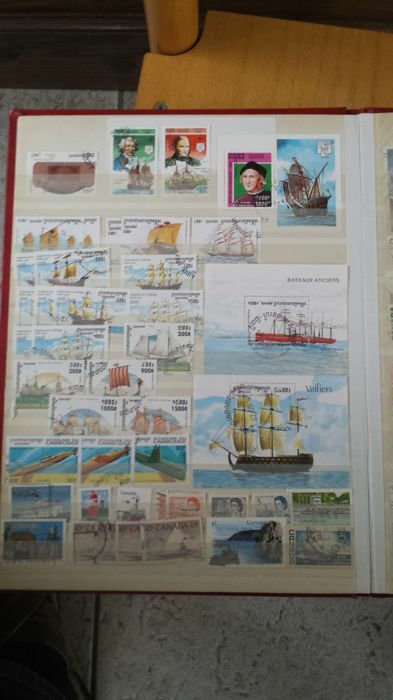 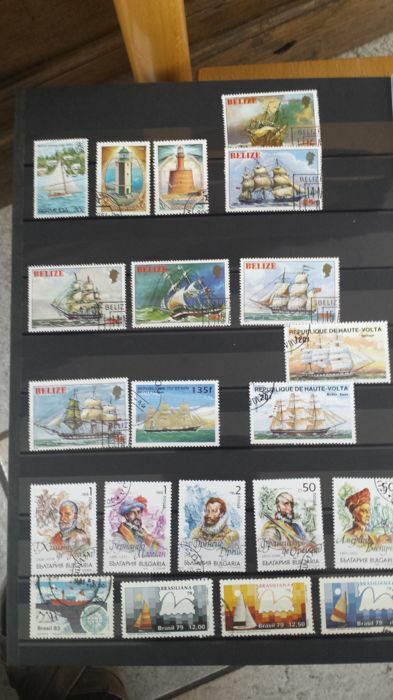 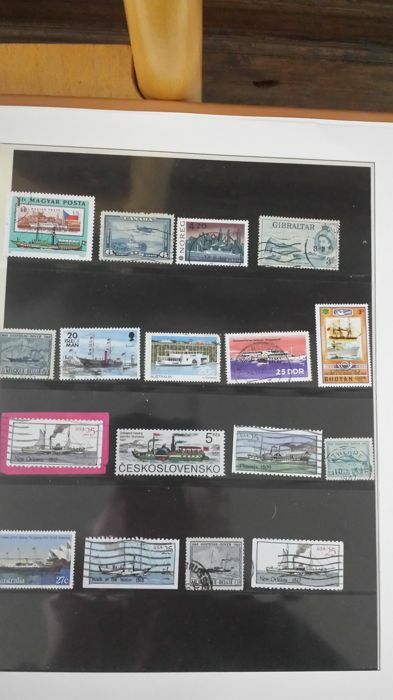 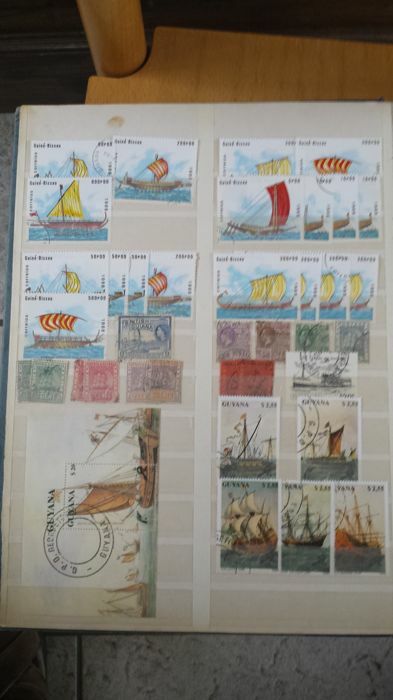 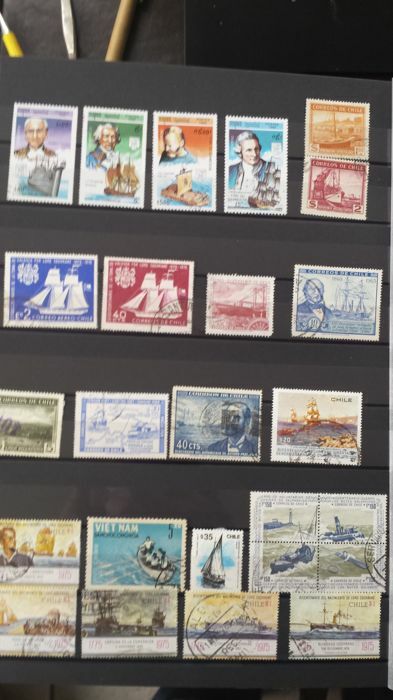 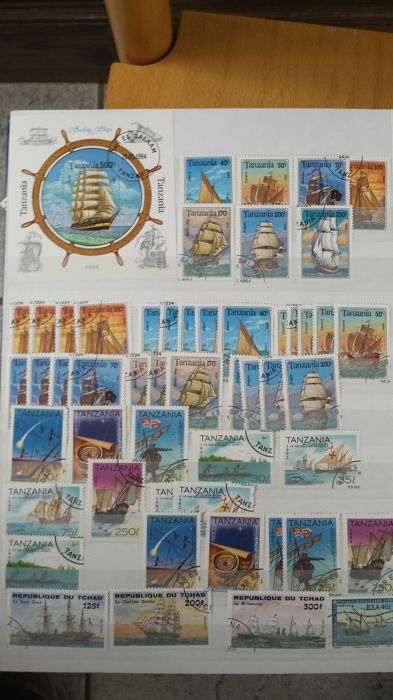 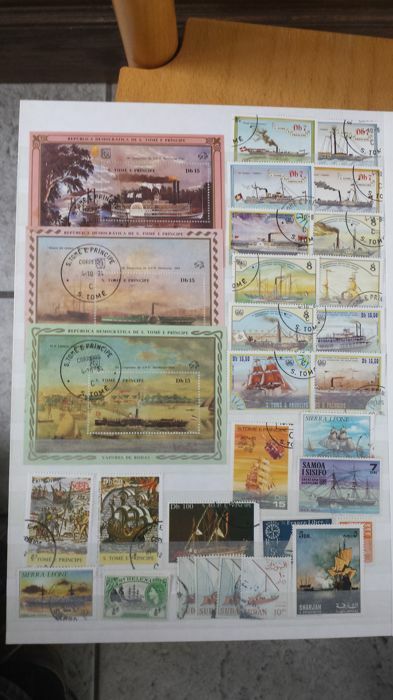 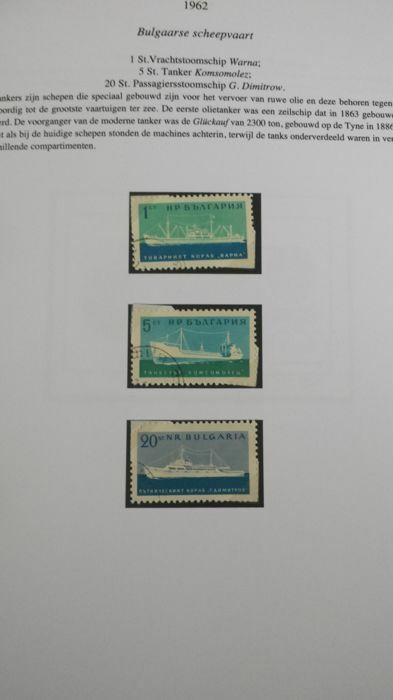 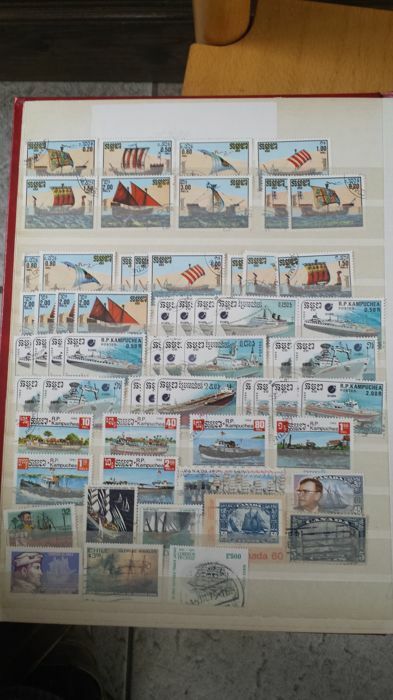 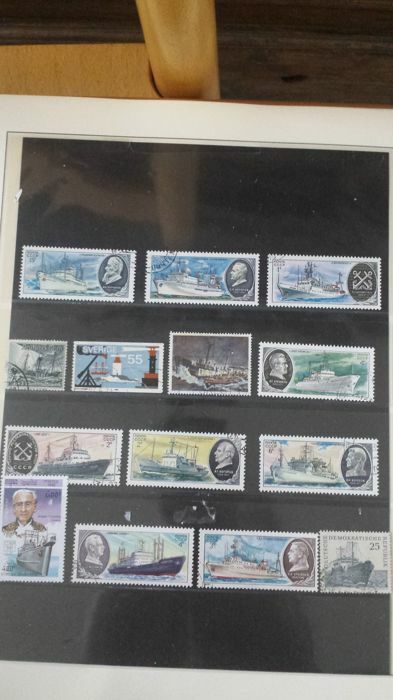 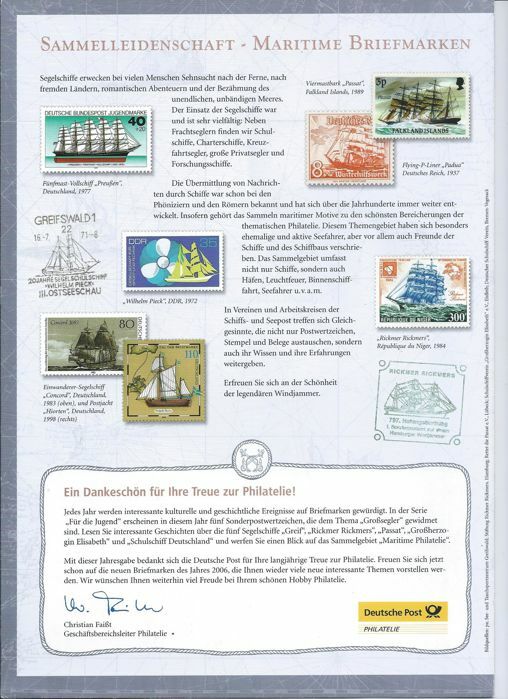 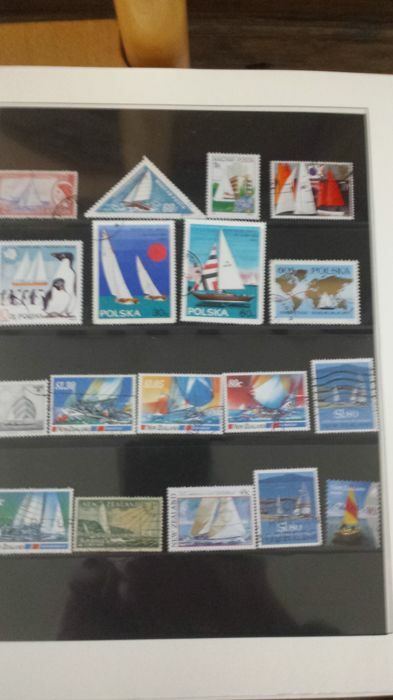 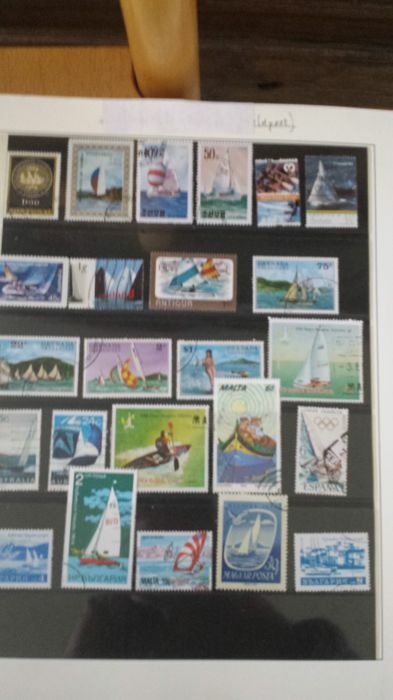 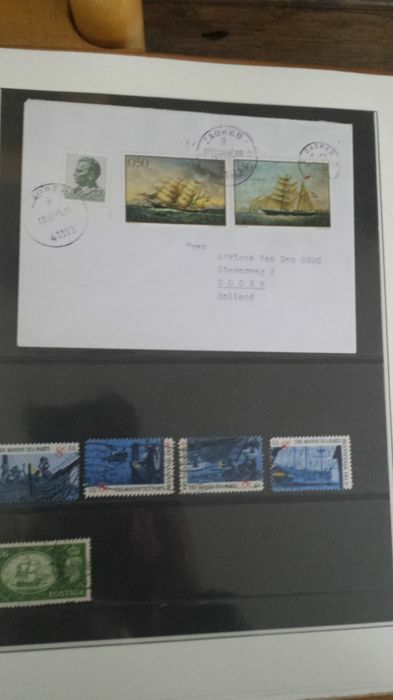 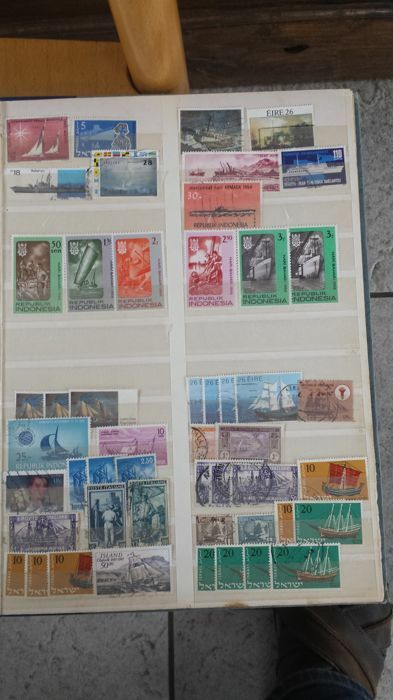 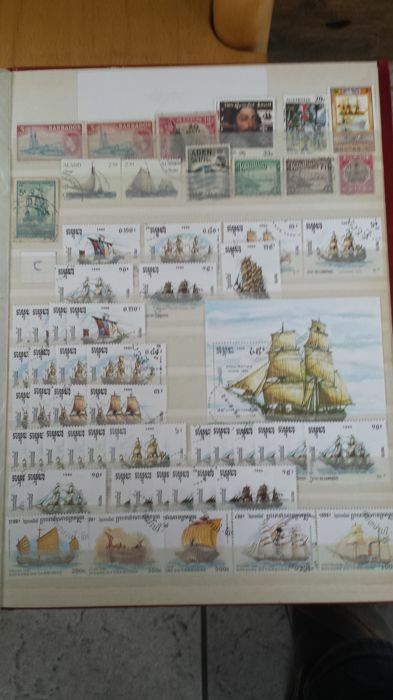 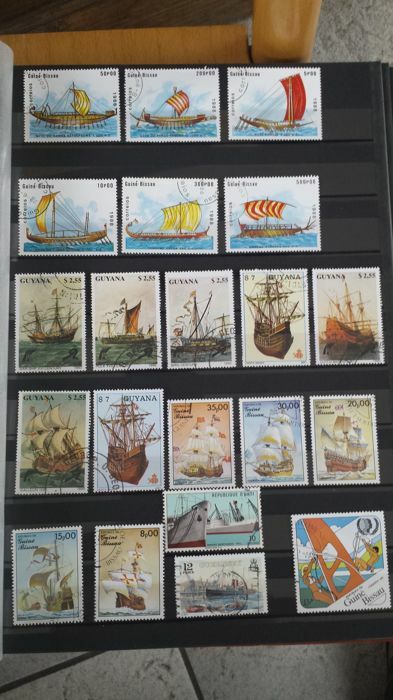 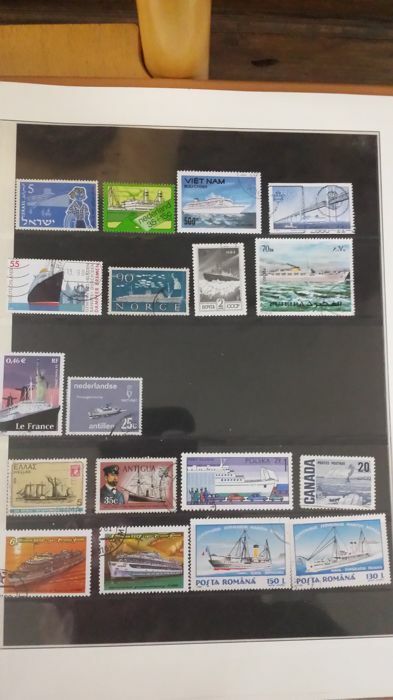 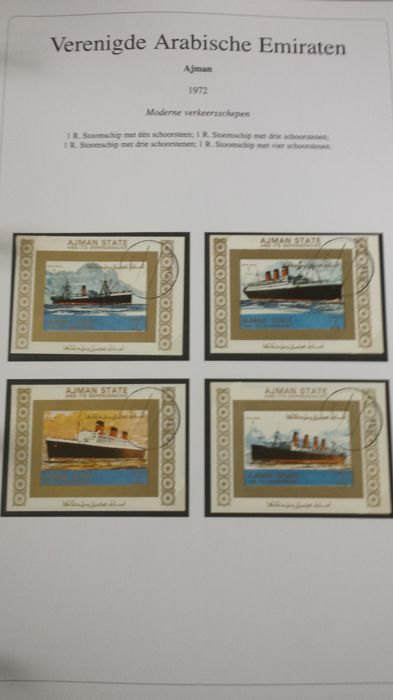 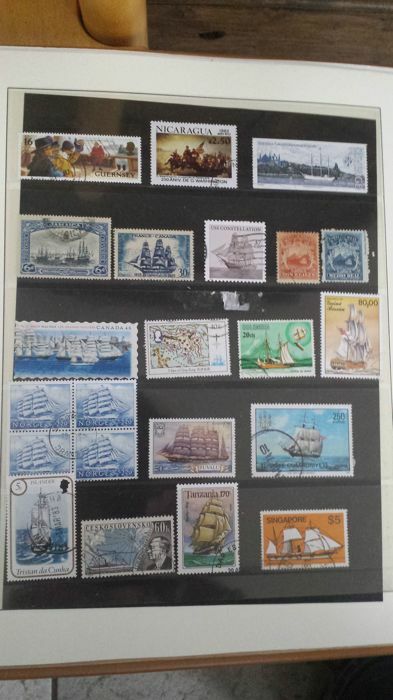 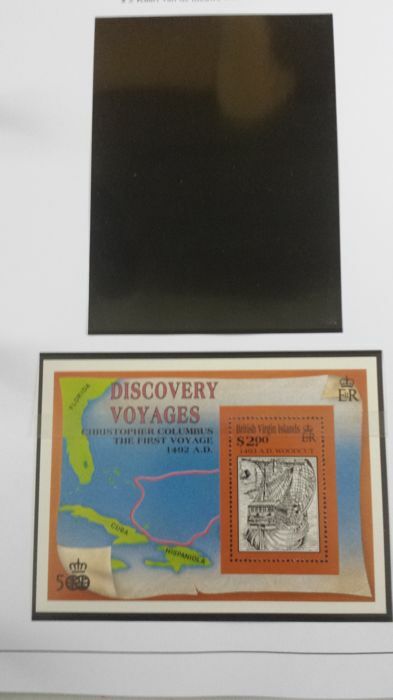 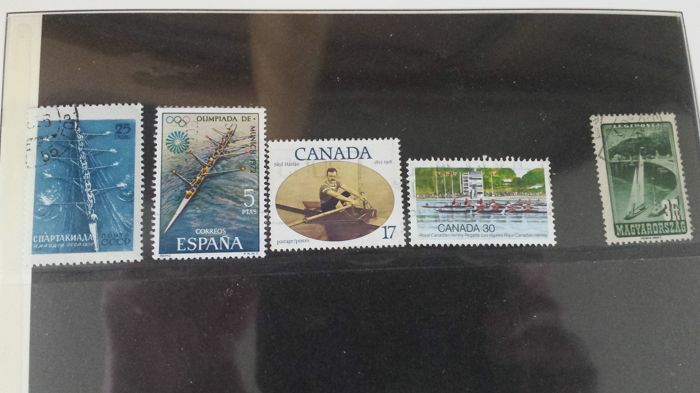 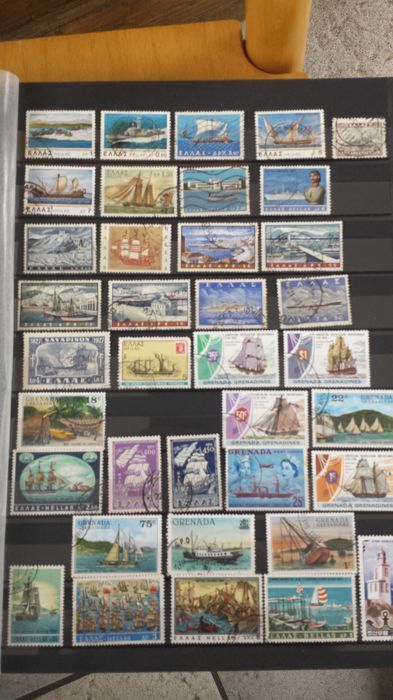 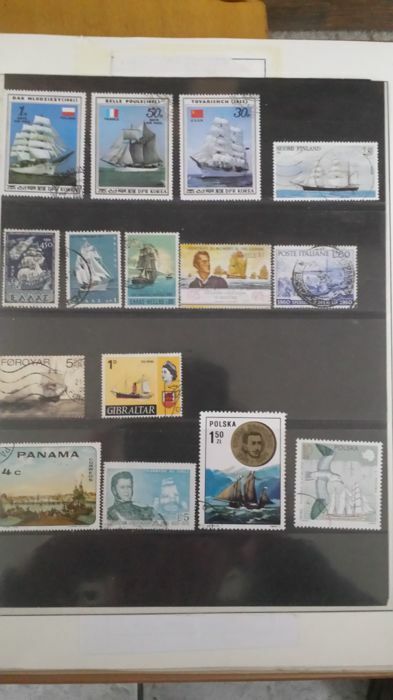 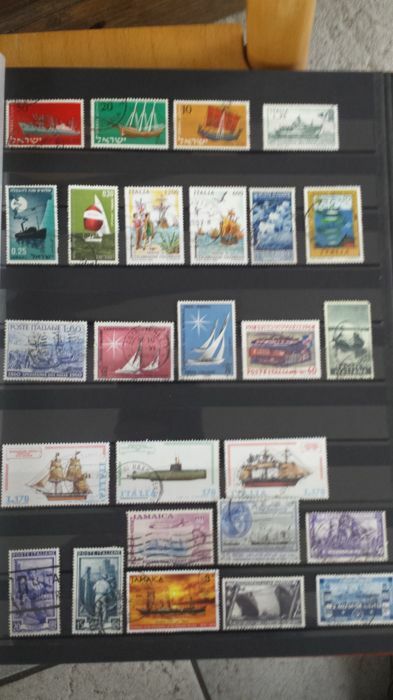 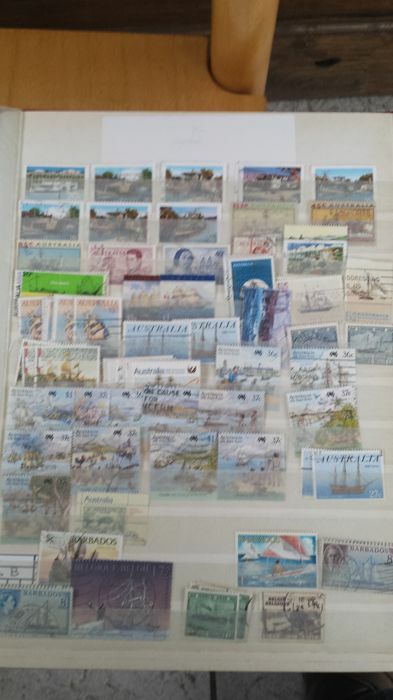 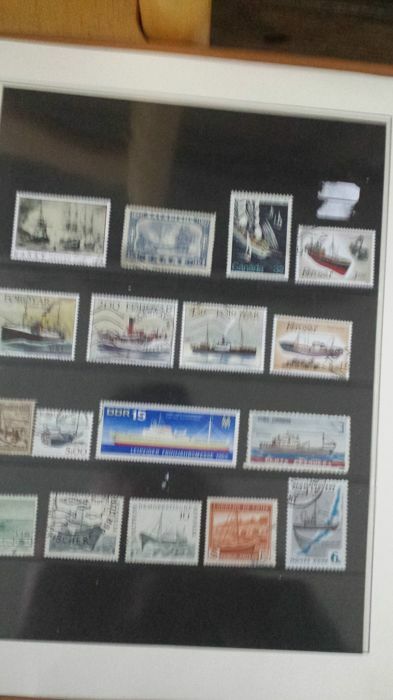 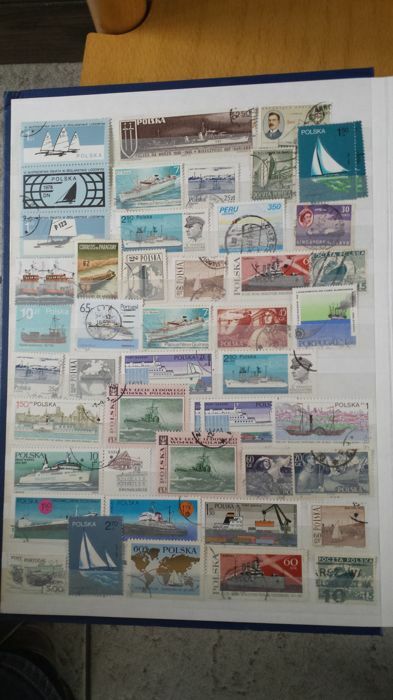 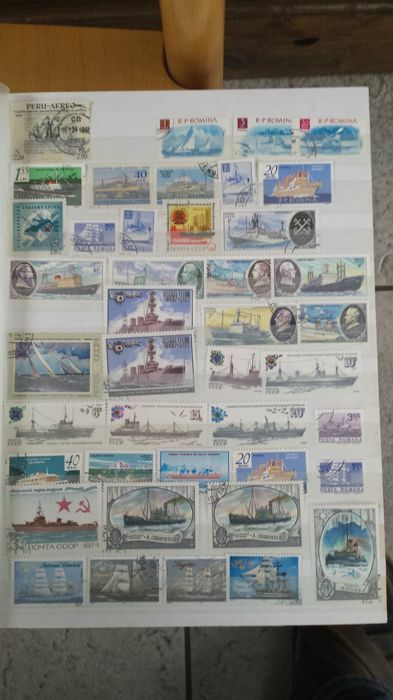 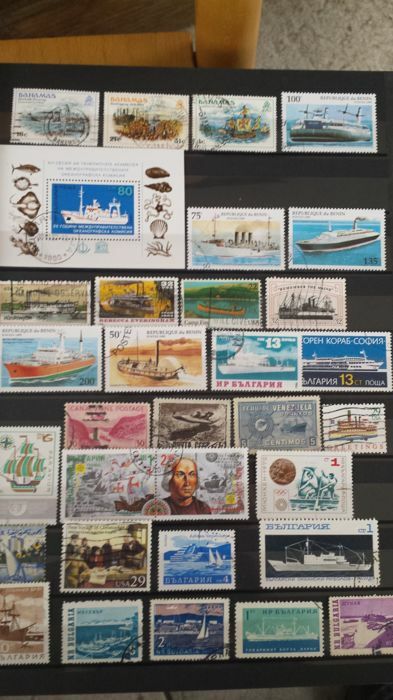 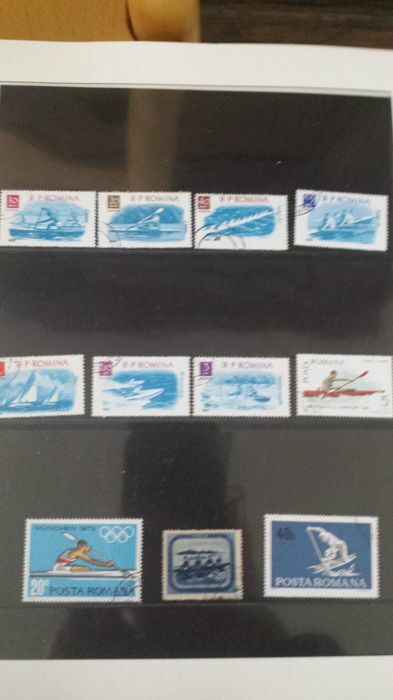 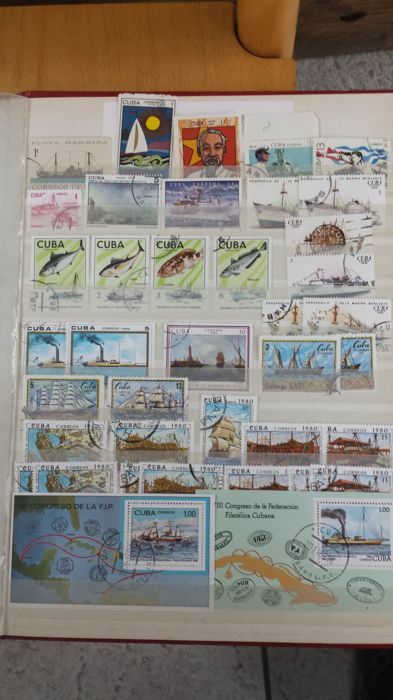 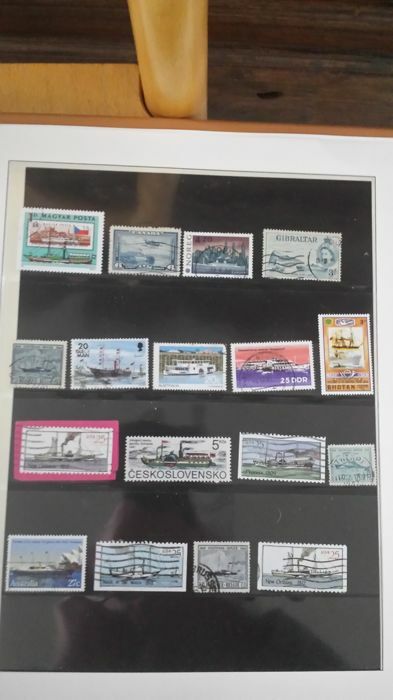 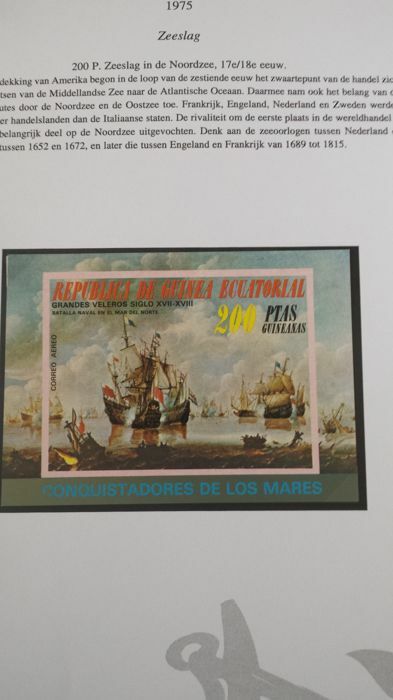 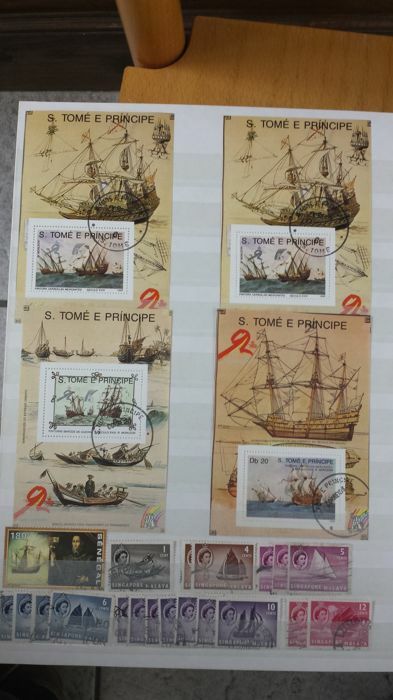 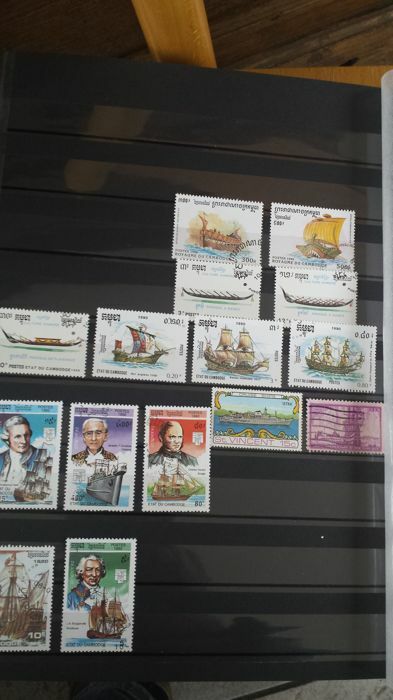 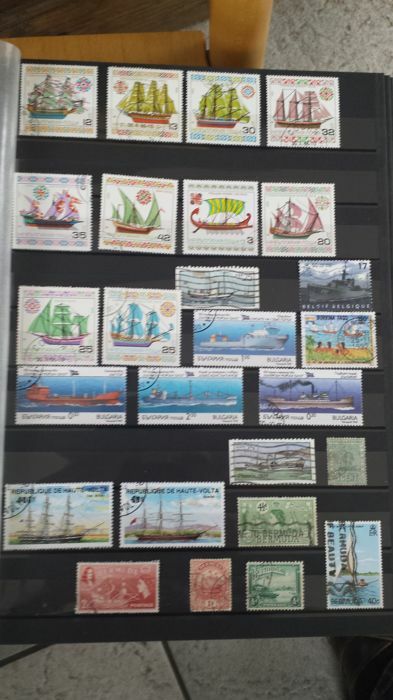 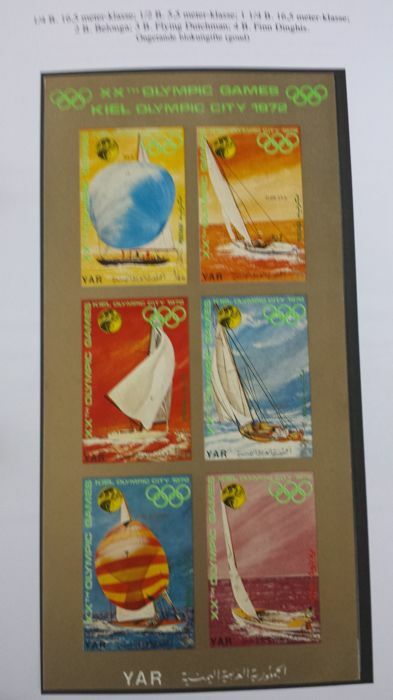 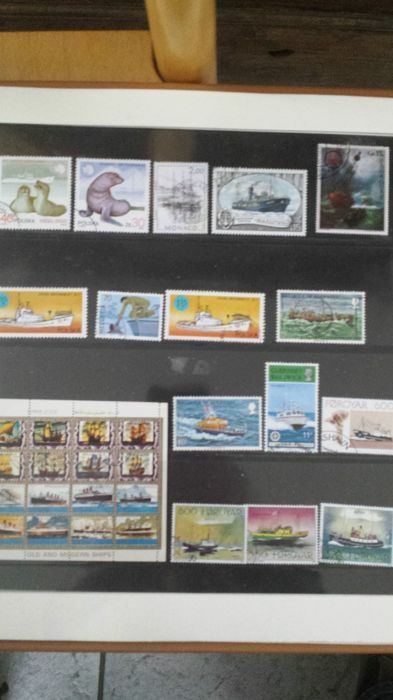 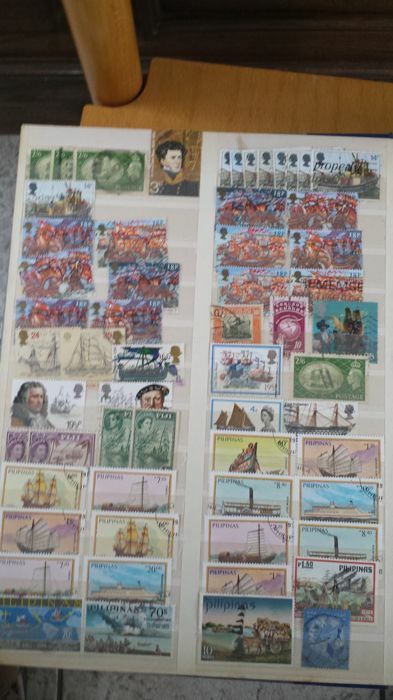 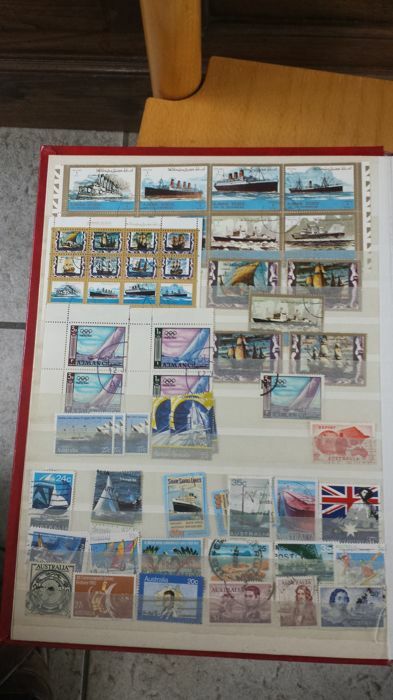 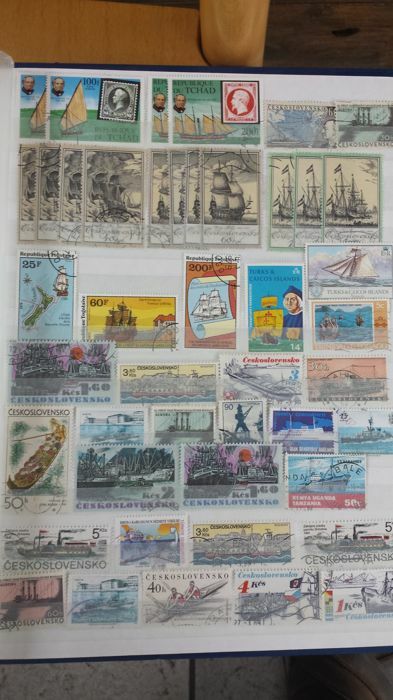 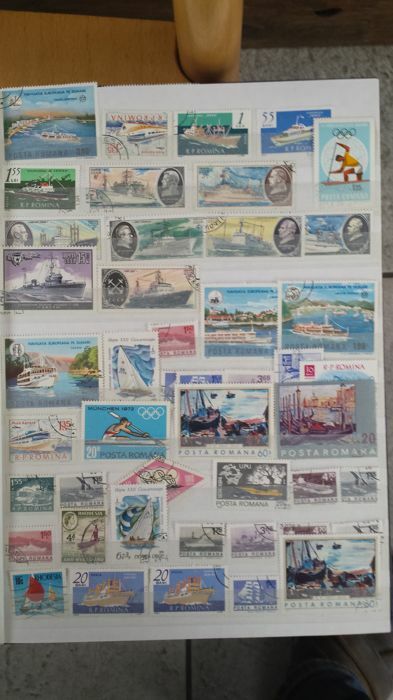 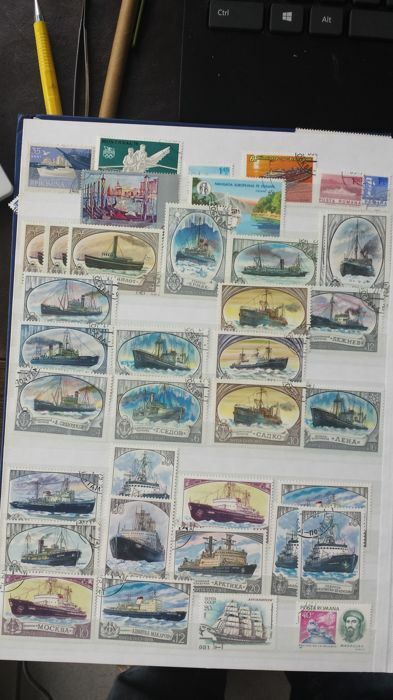 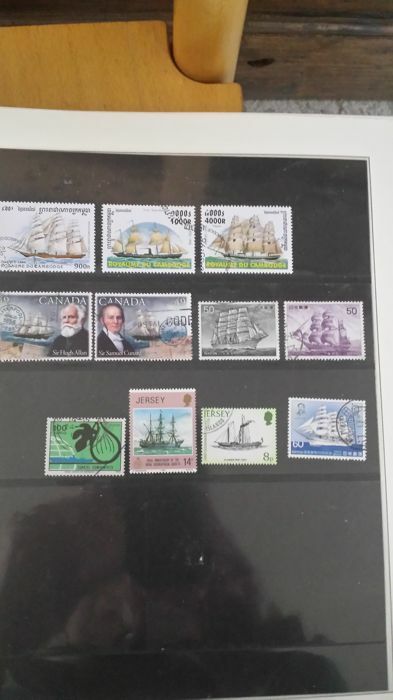 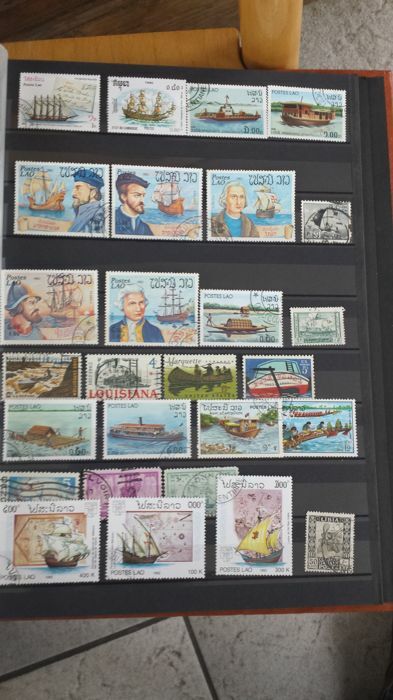 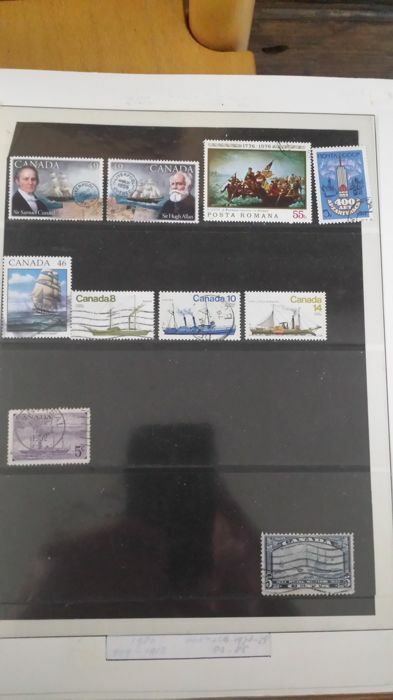 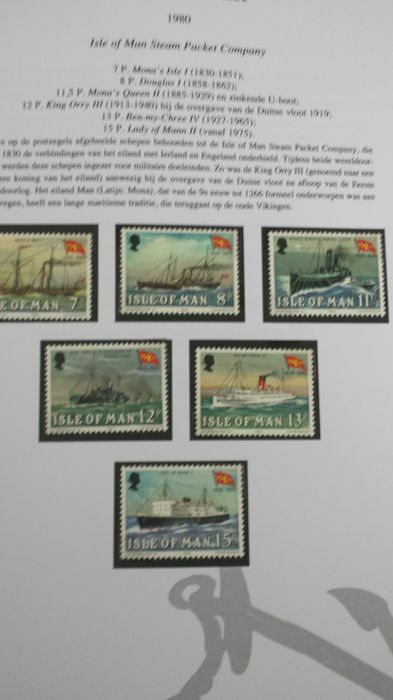 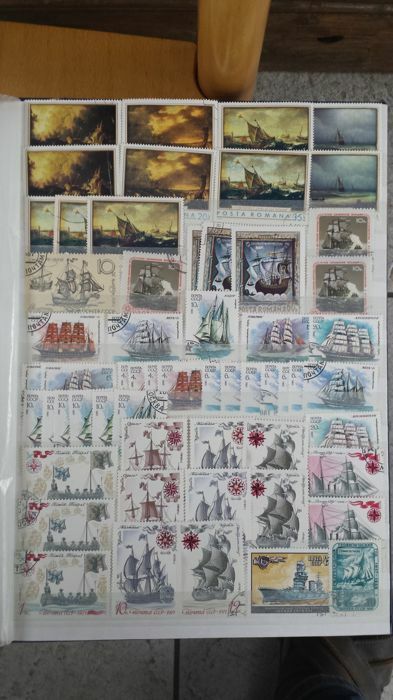 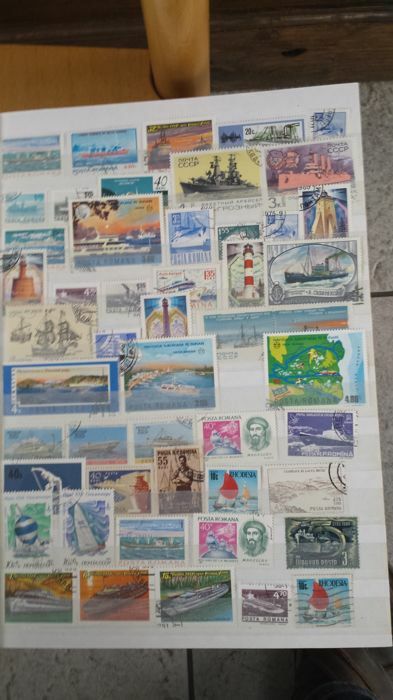 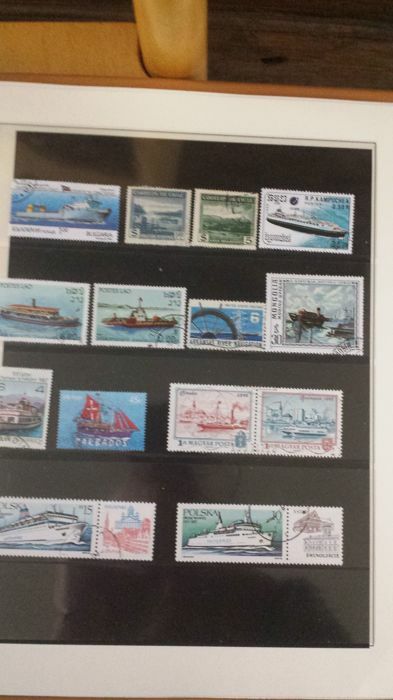 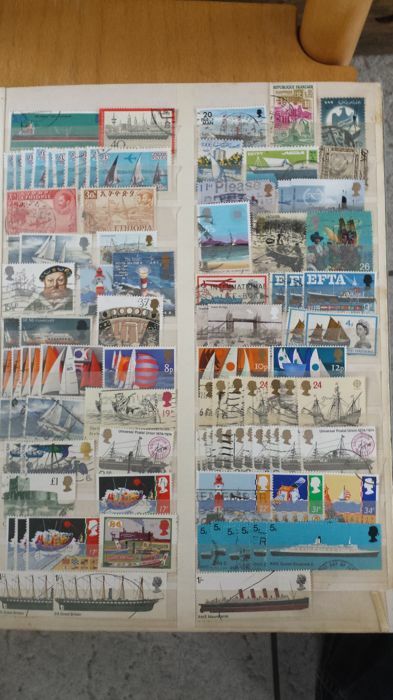 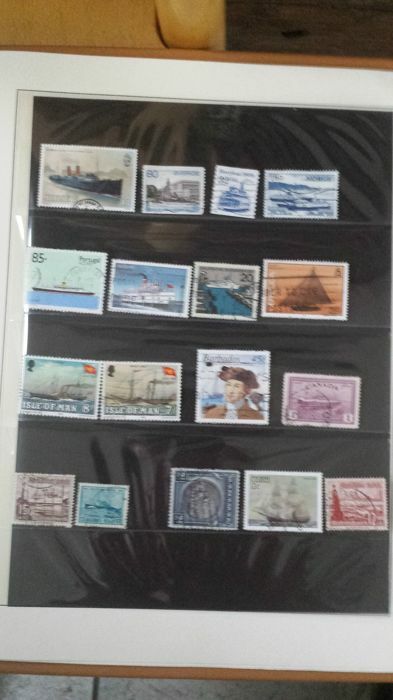 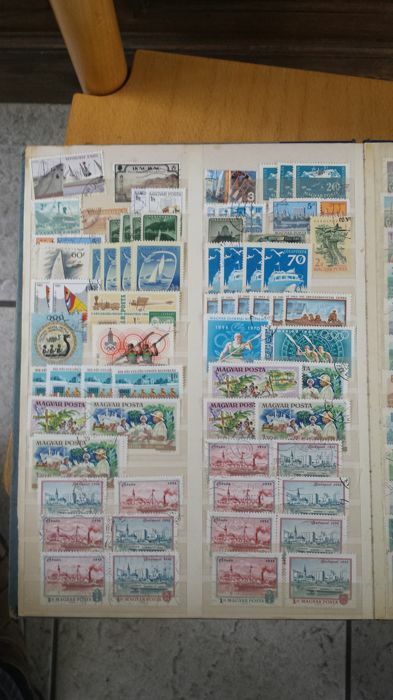 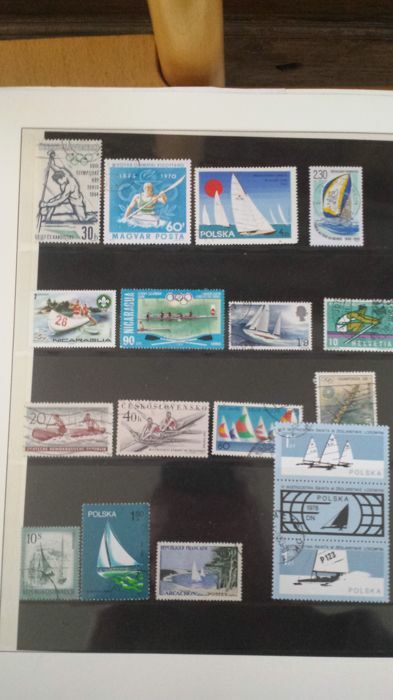 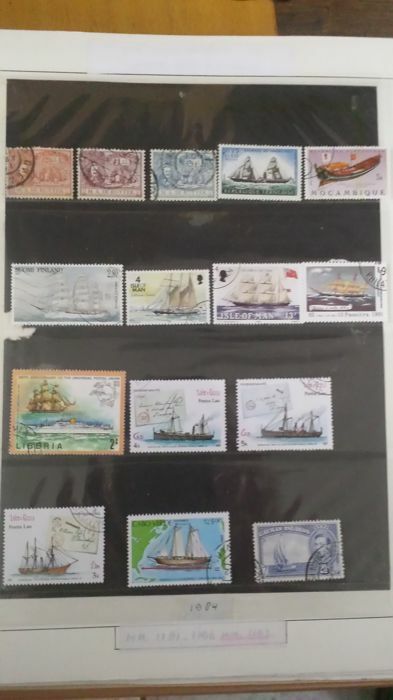 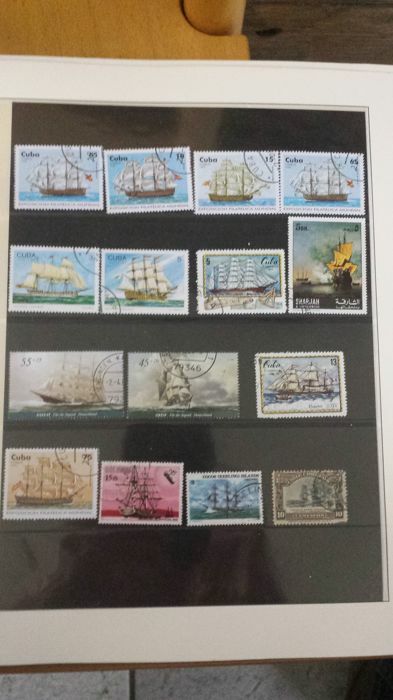 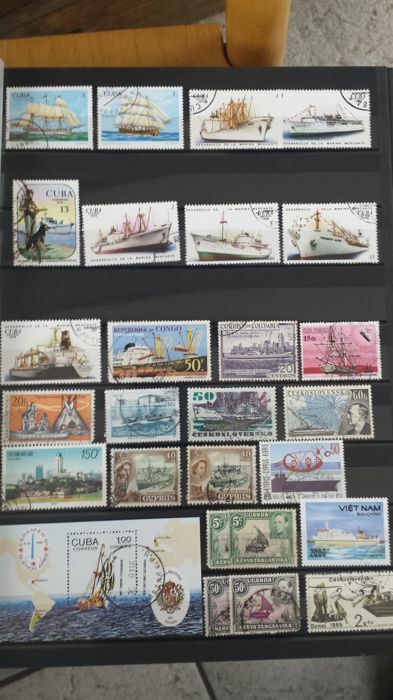 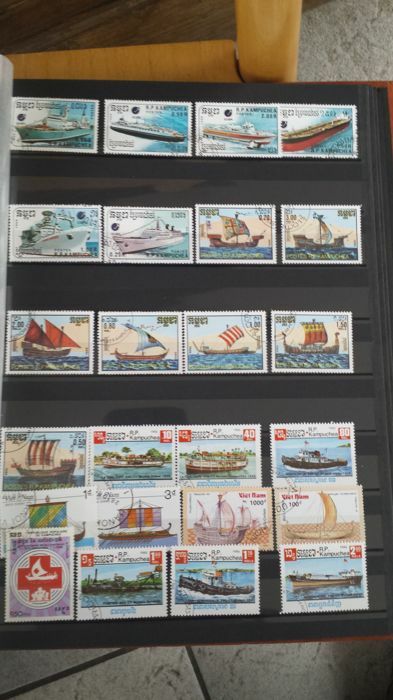 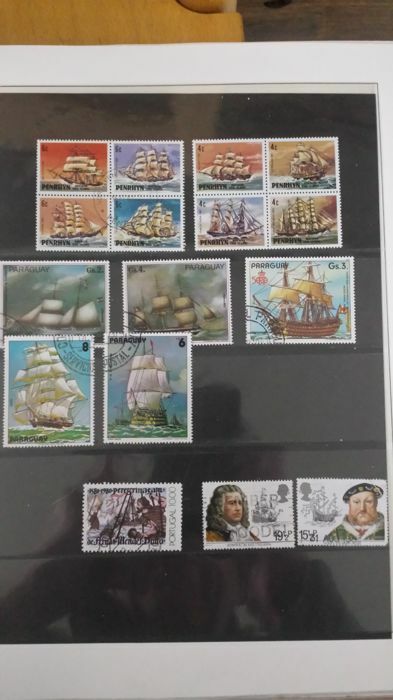 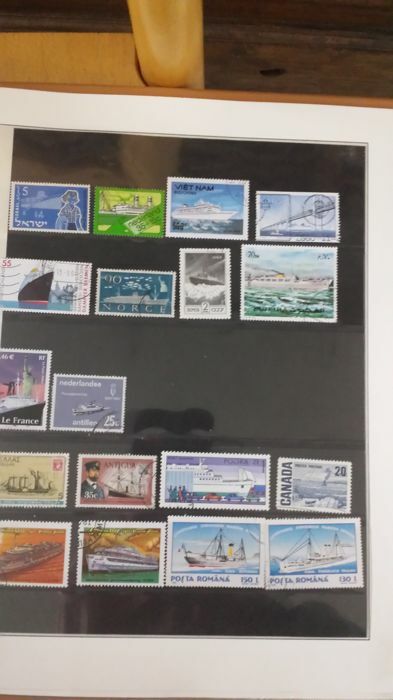 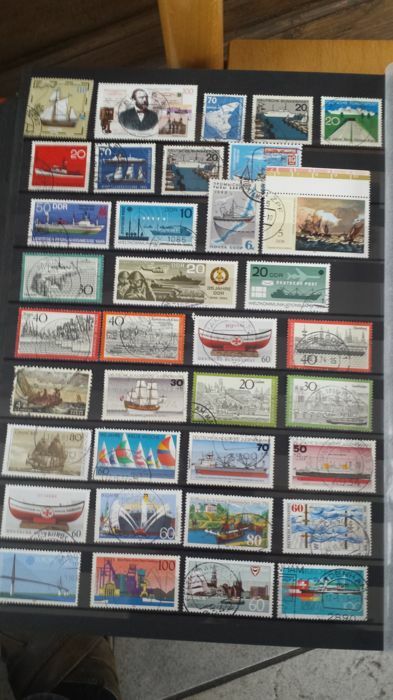 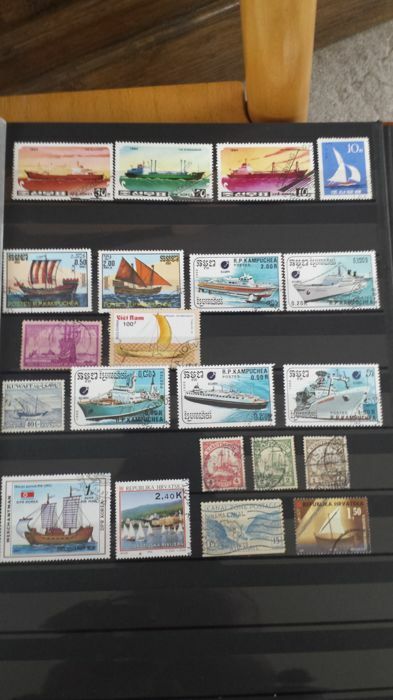 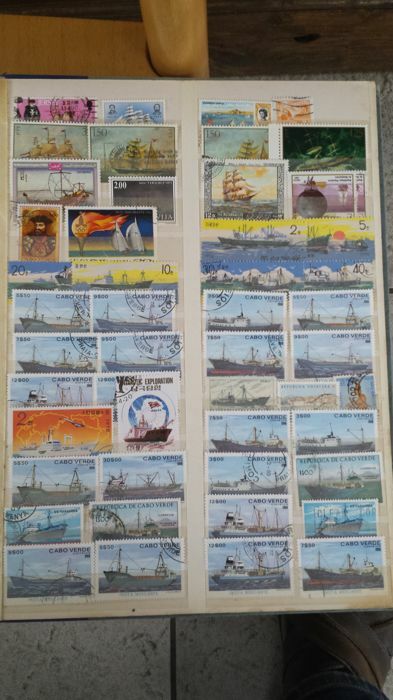 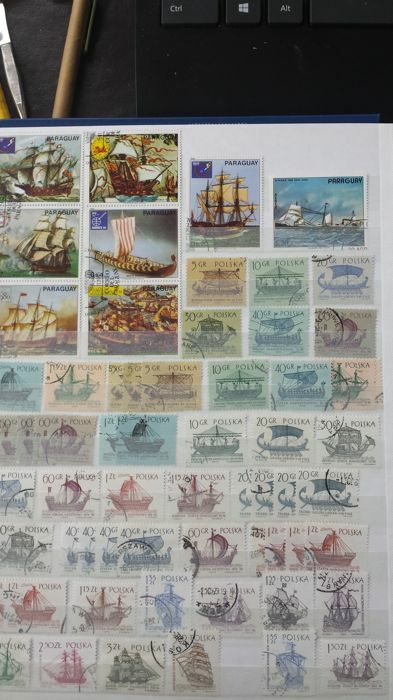 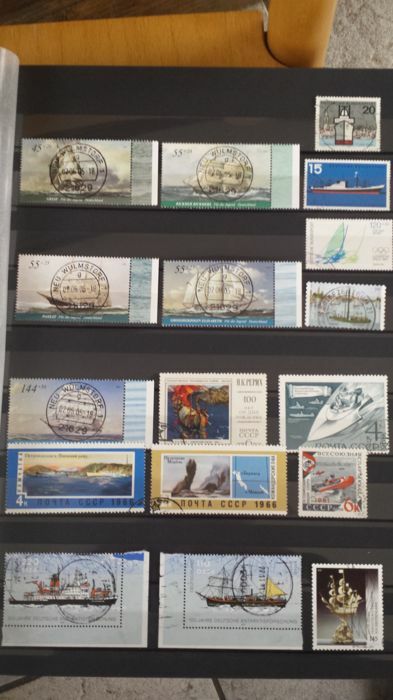 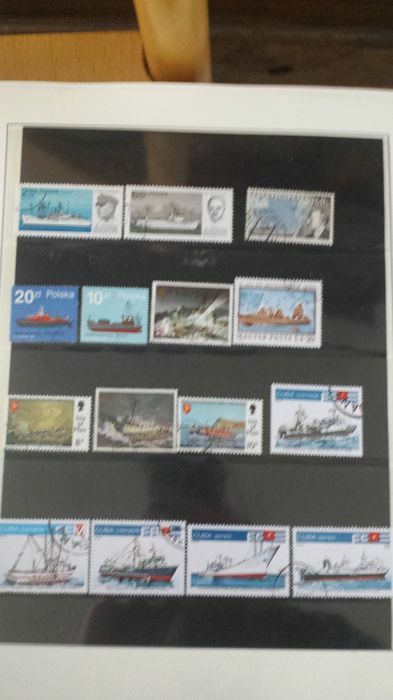 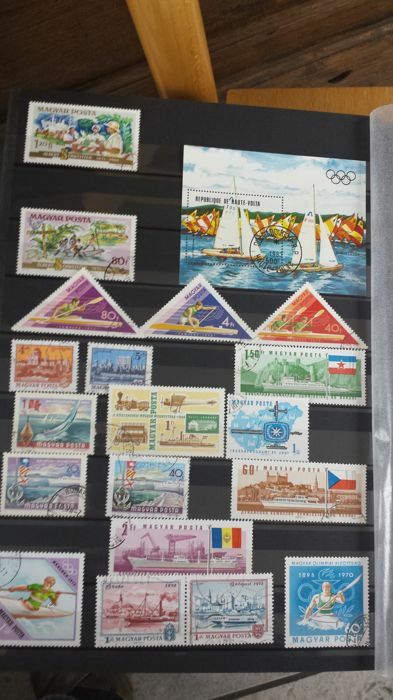 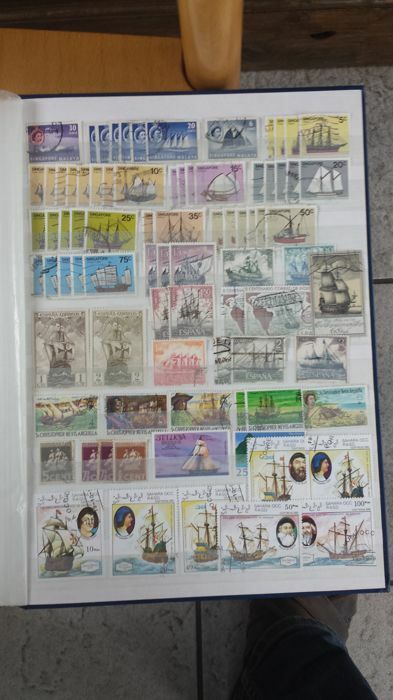 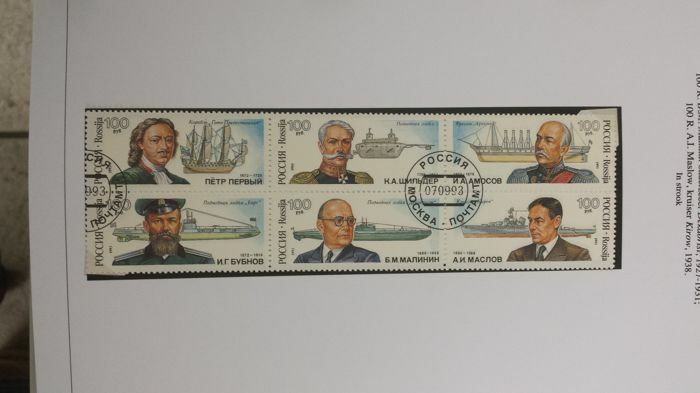 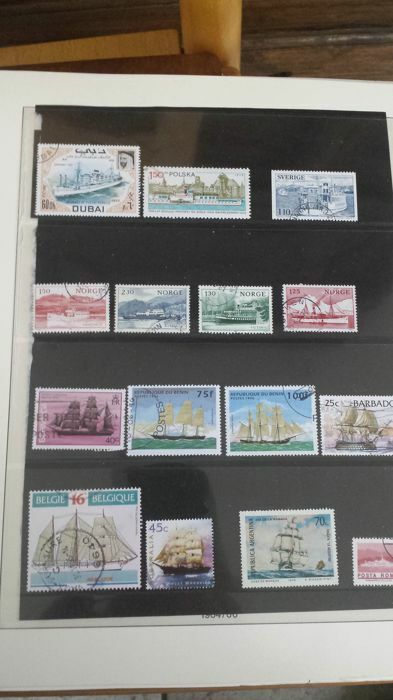 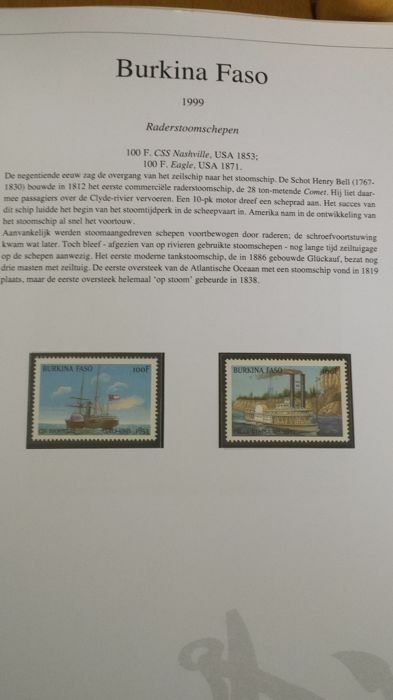 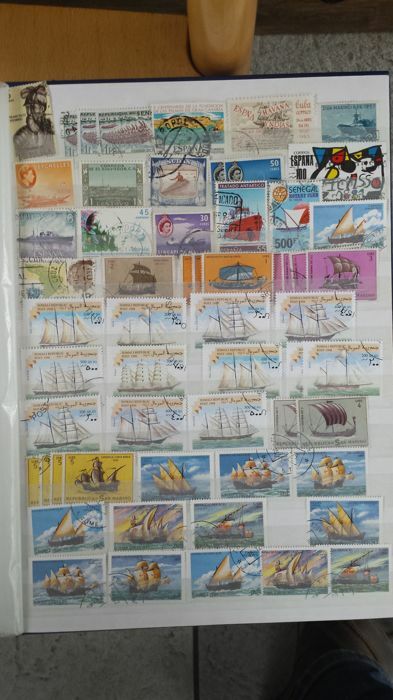 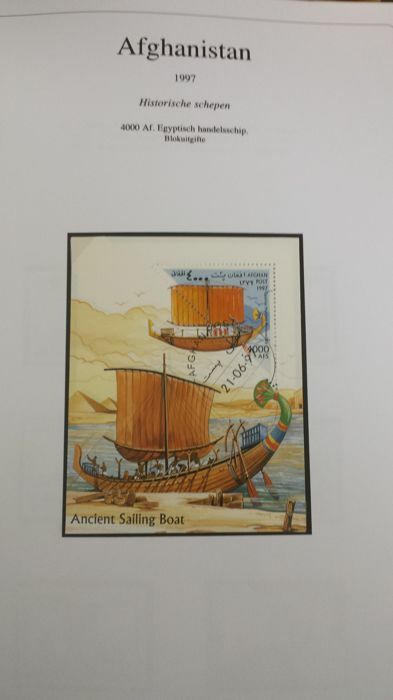 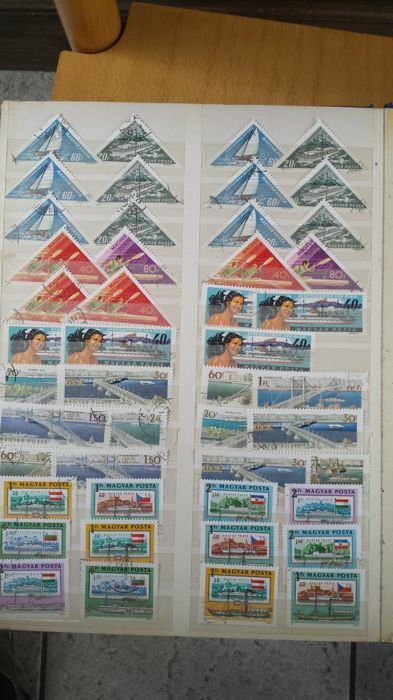 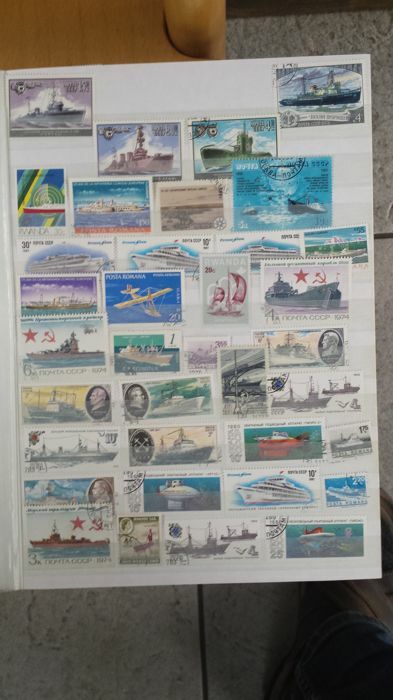 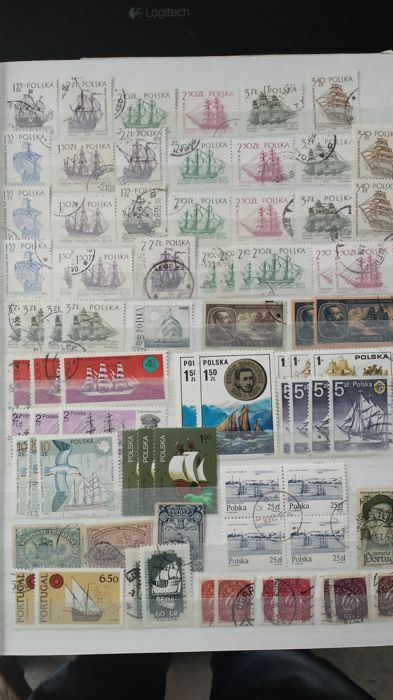 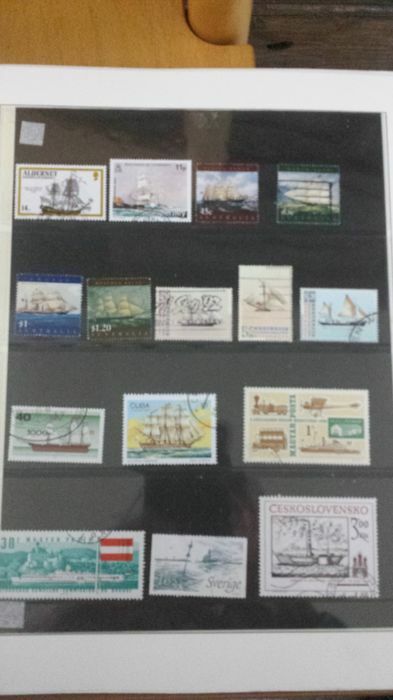 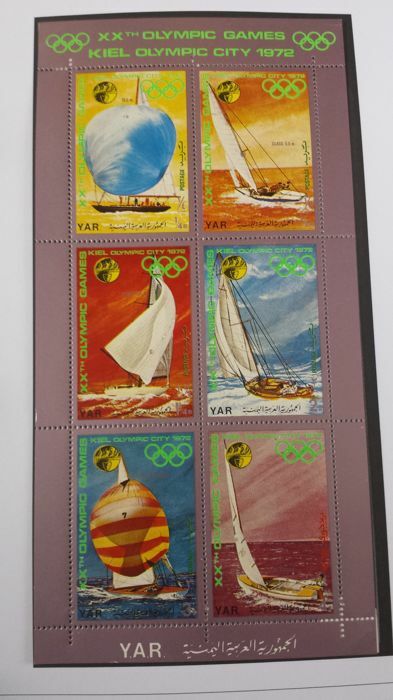 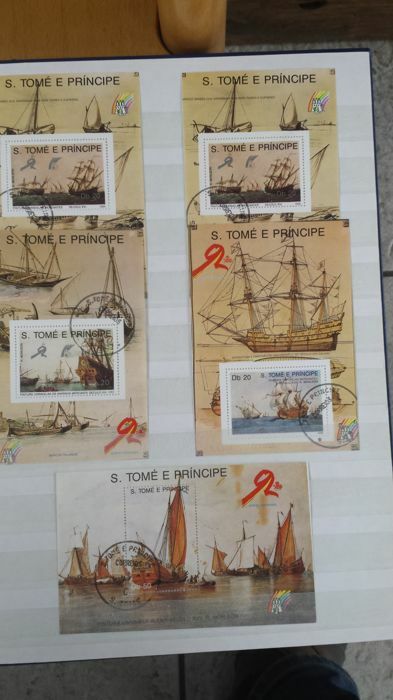 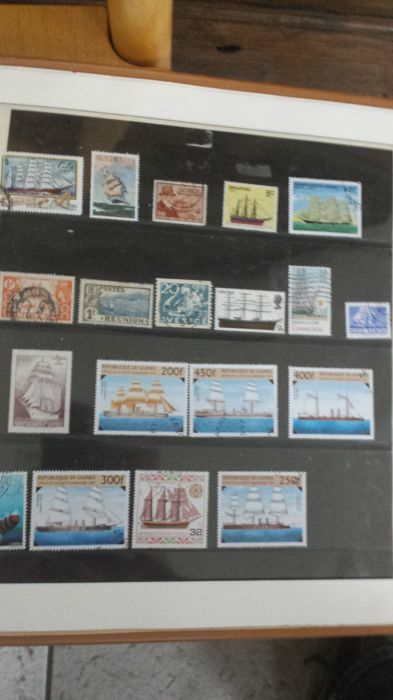 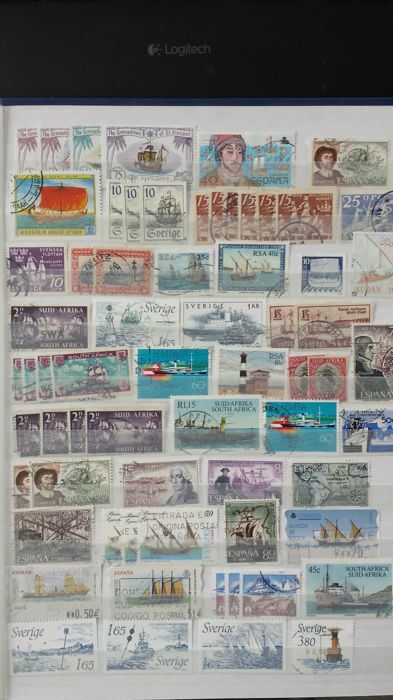 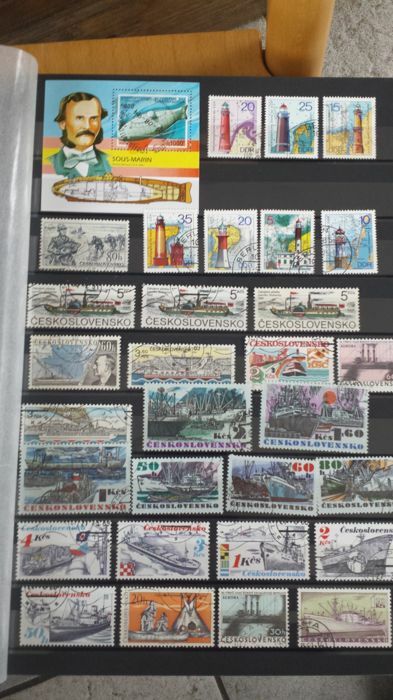 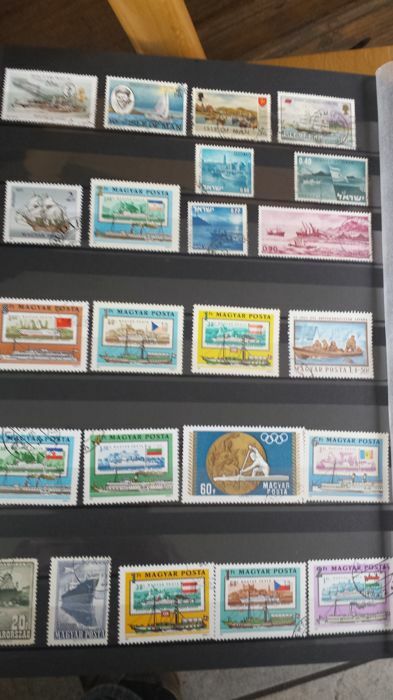 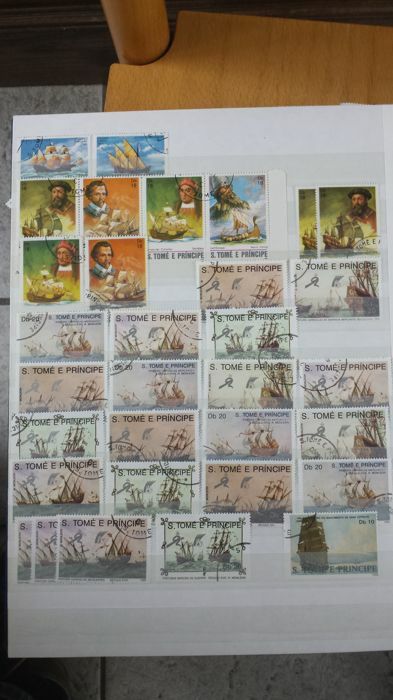 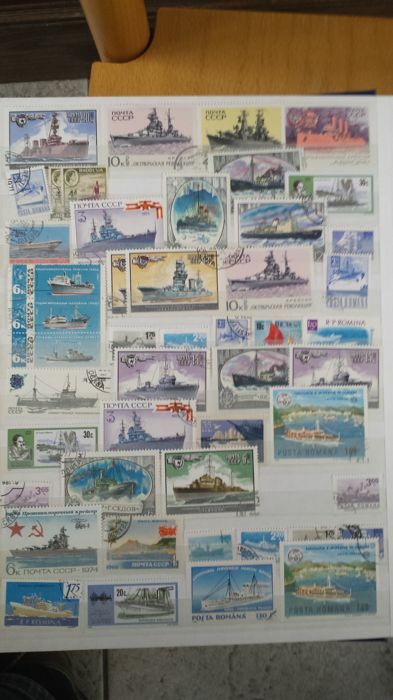 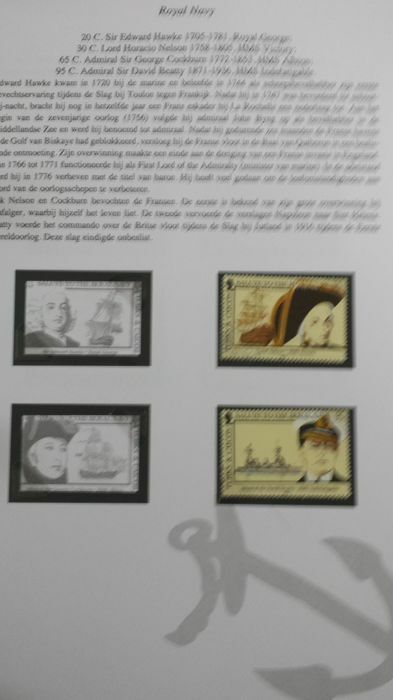 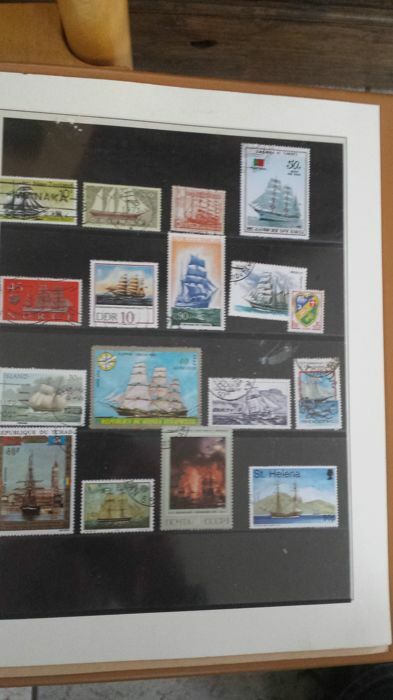 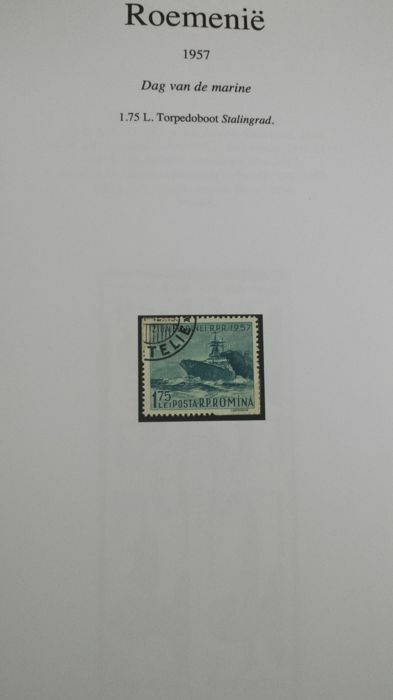 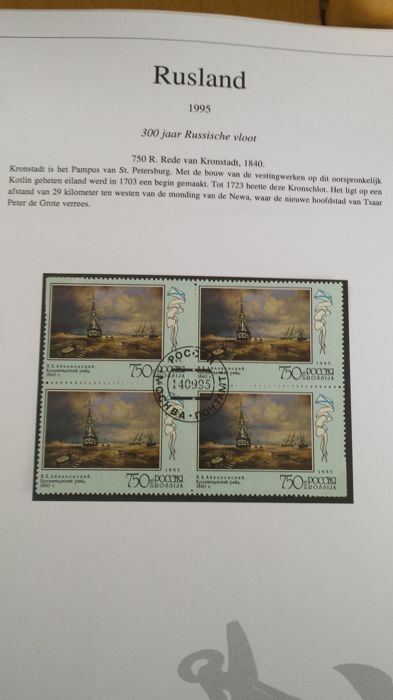 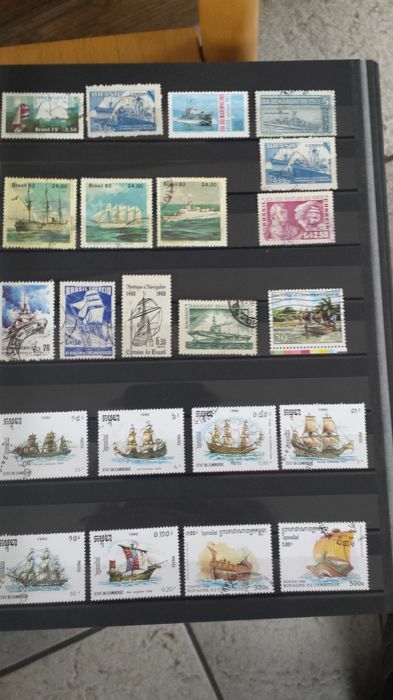 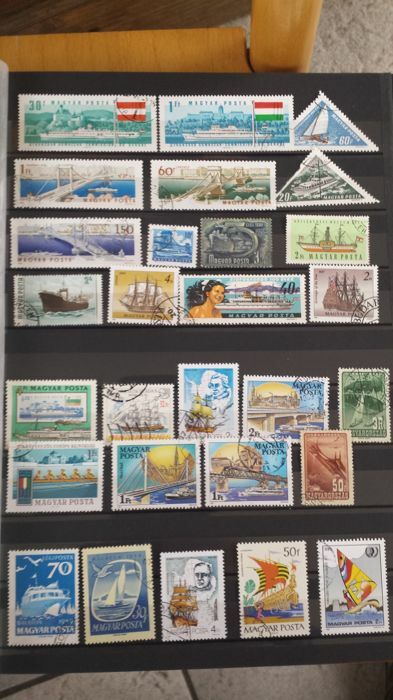 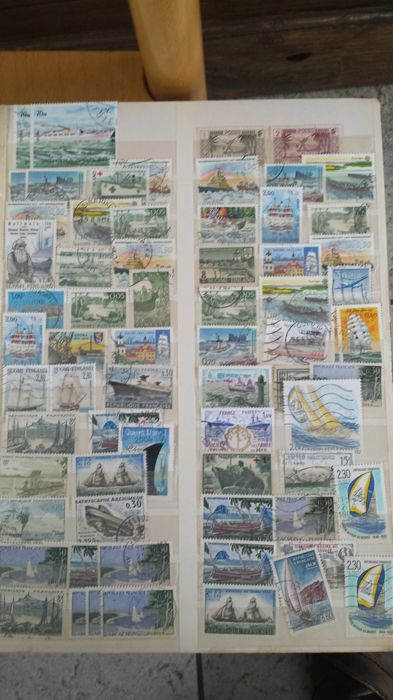 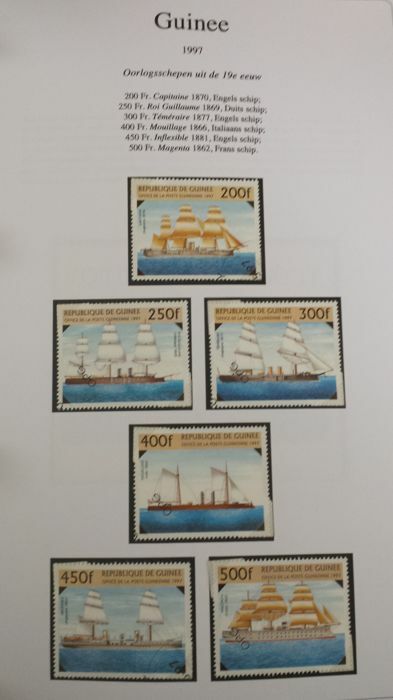 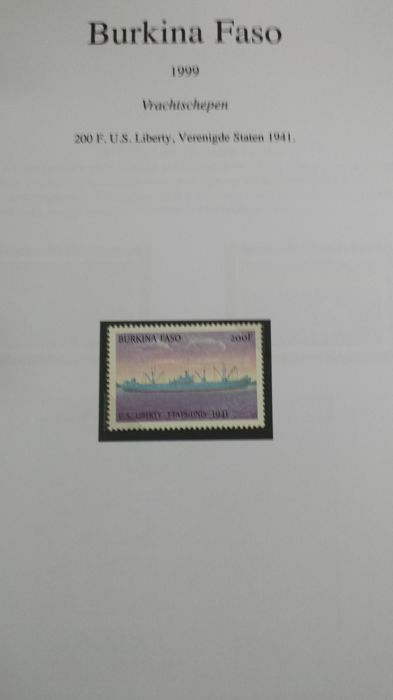 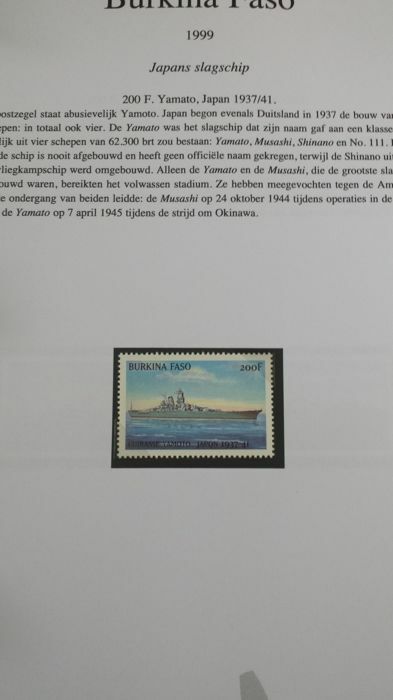 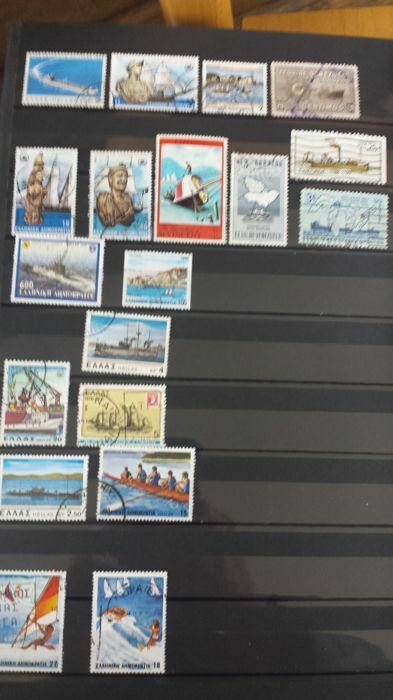 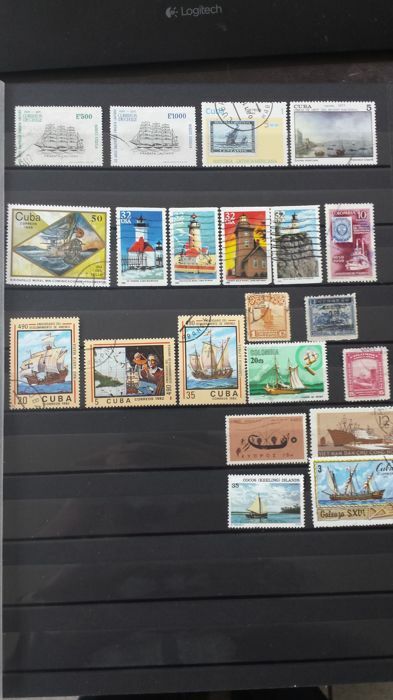 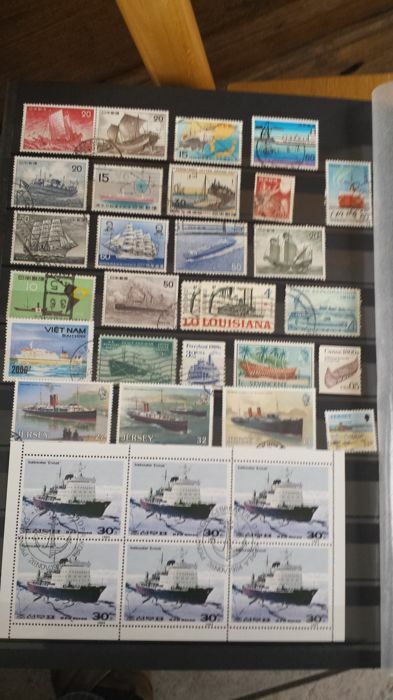 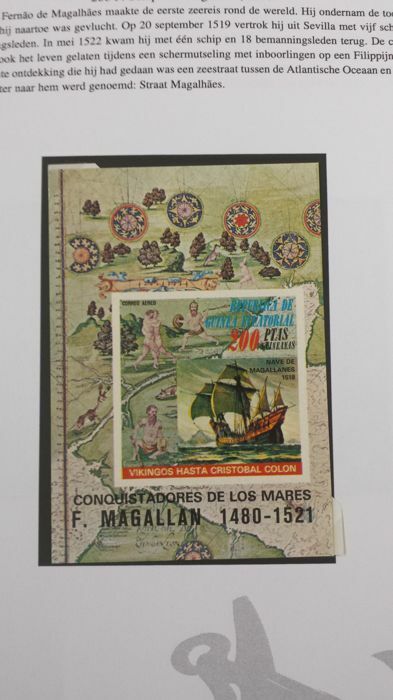 A large collection of stamps, blocks, se-tenants and postal stationery. 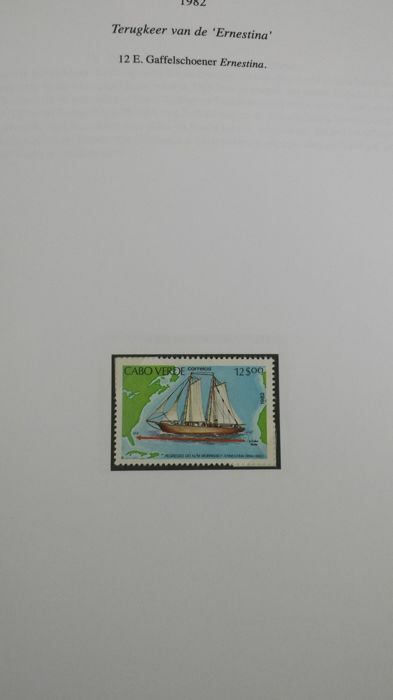 Classic through modern. 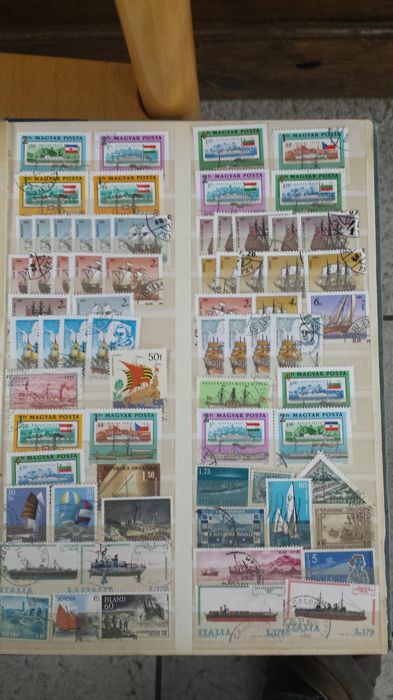 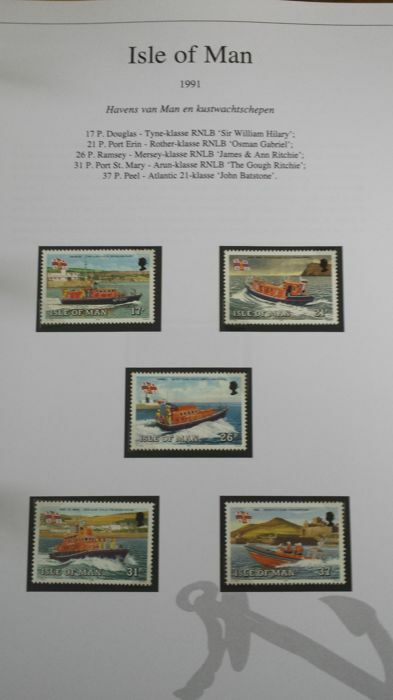 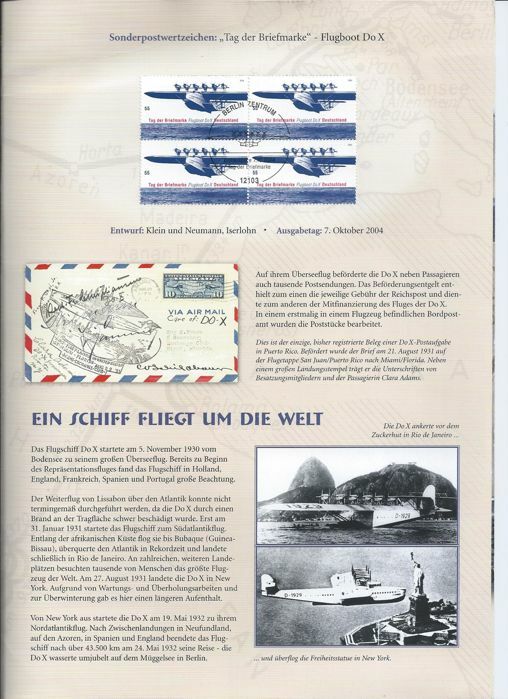 In 4 stock albums, 2 ring binders and 1 folder with a collection on 150 pre-print pages, 70 of which with stamps. 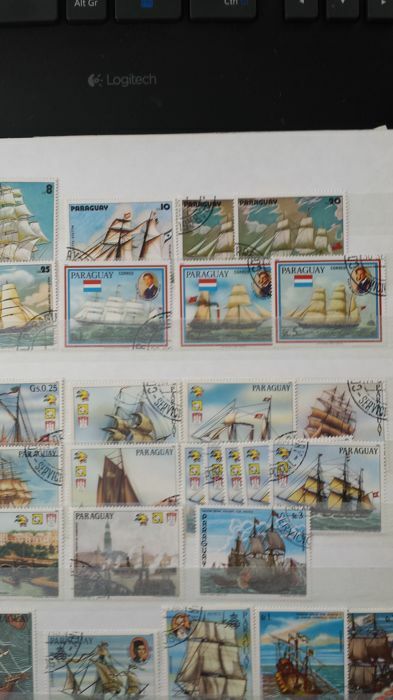 Vandaag ontvangen kavel 168, in prima conditie. 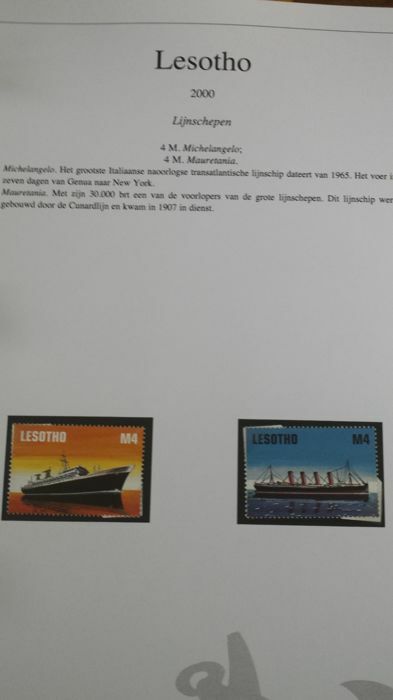 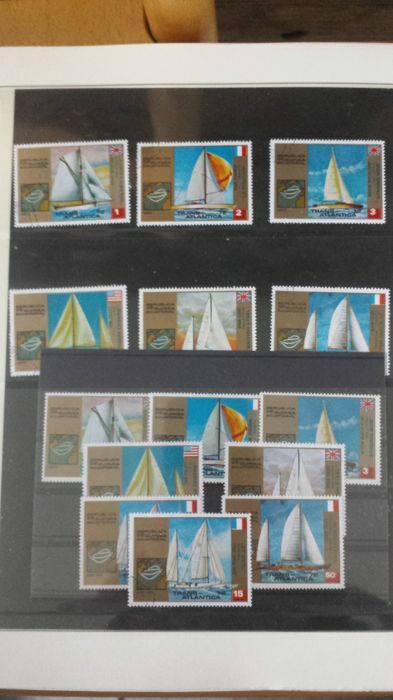 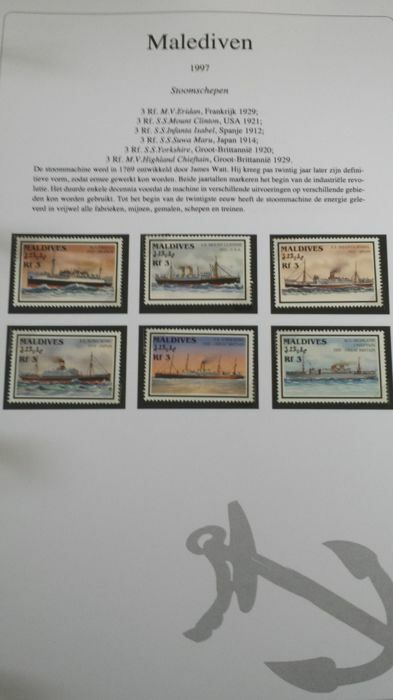 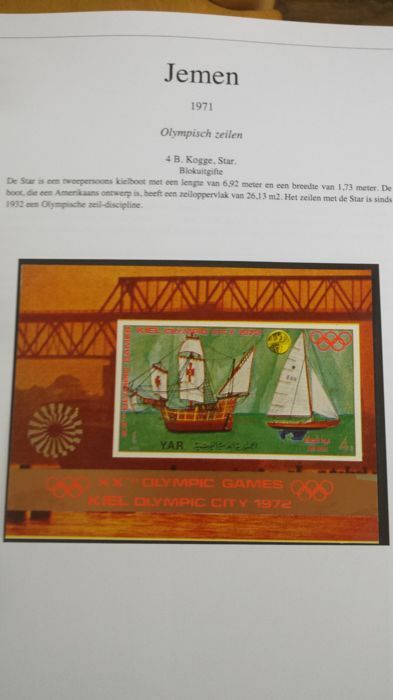 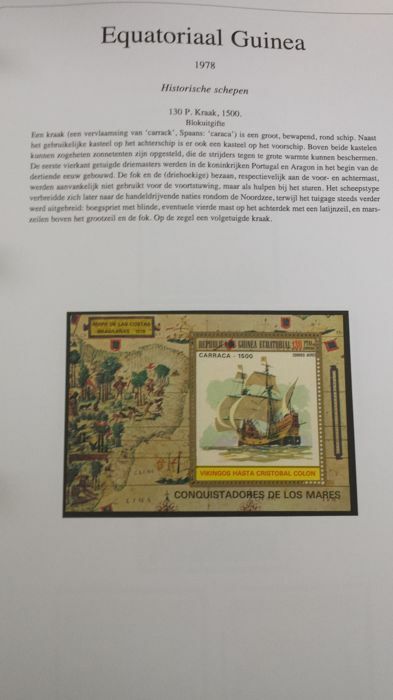 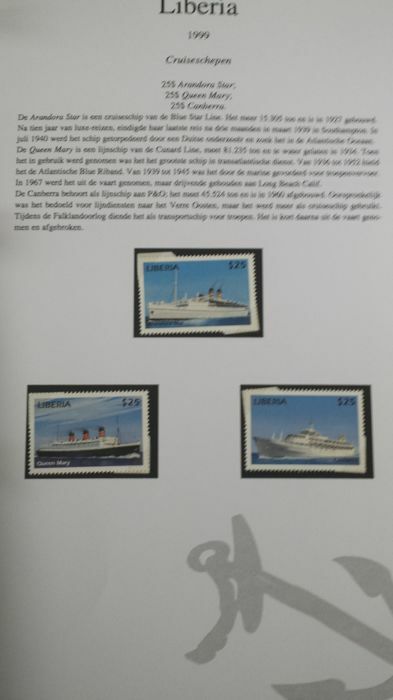 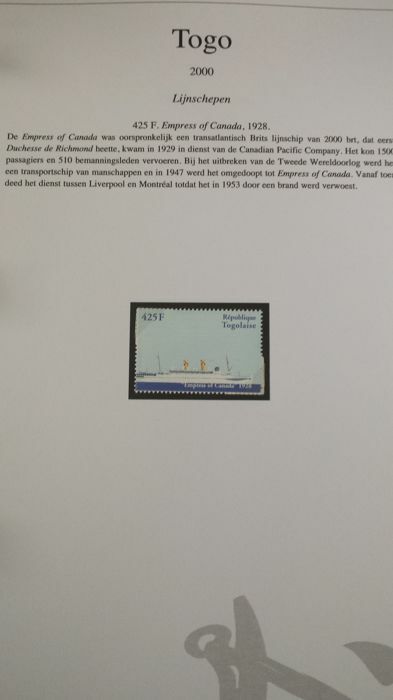 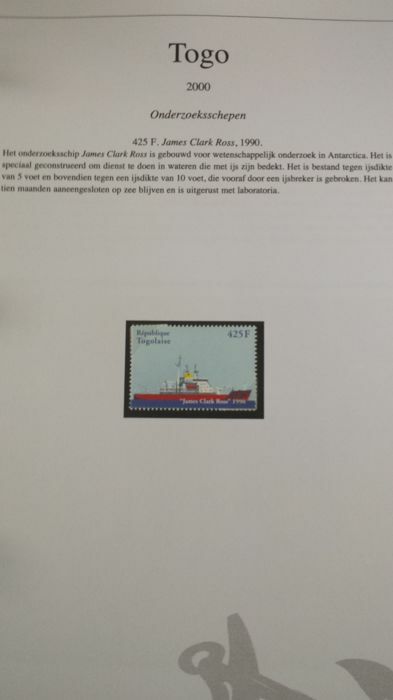 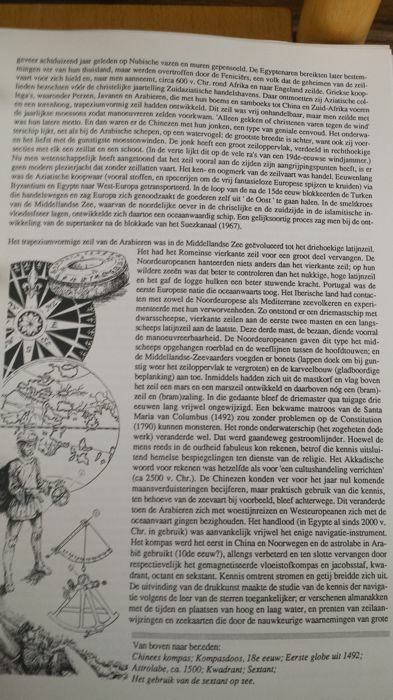 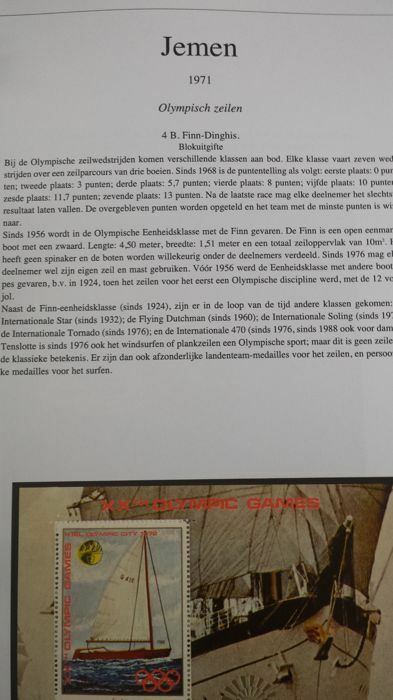 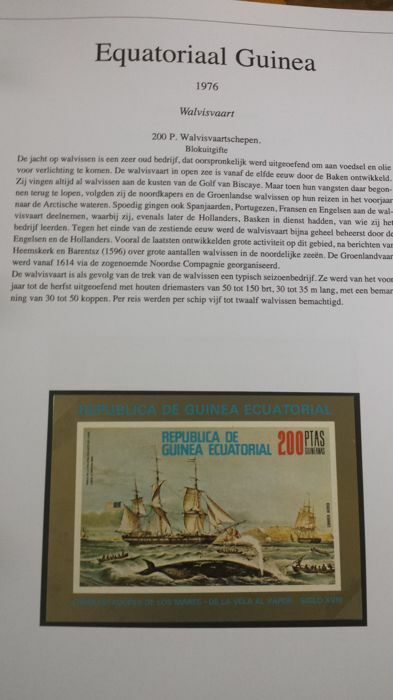 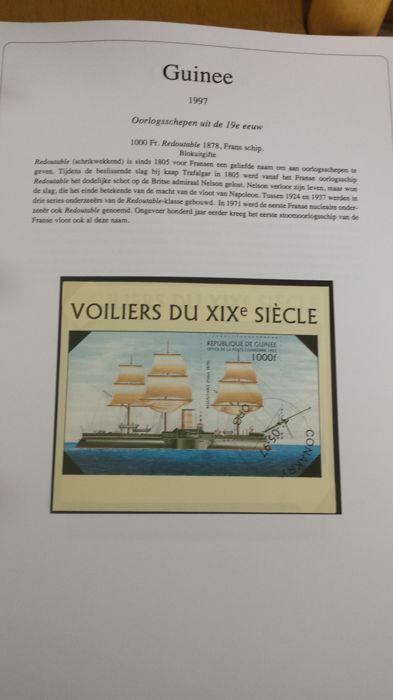 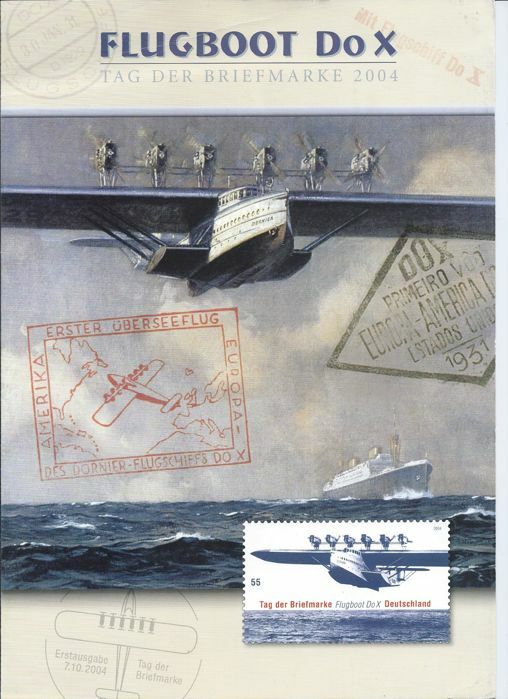 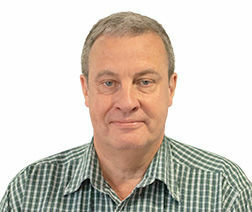 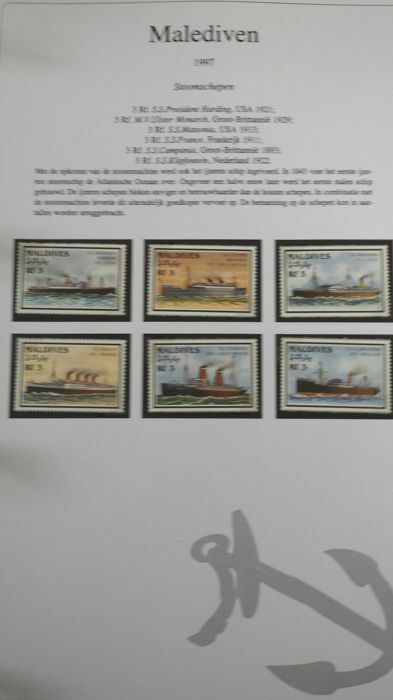 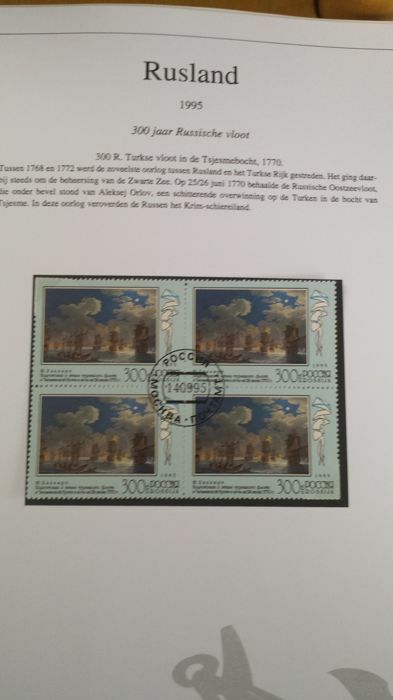 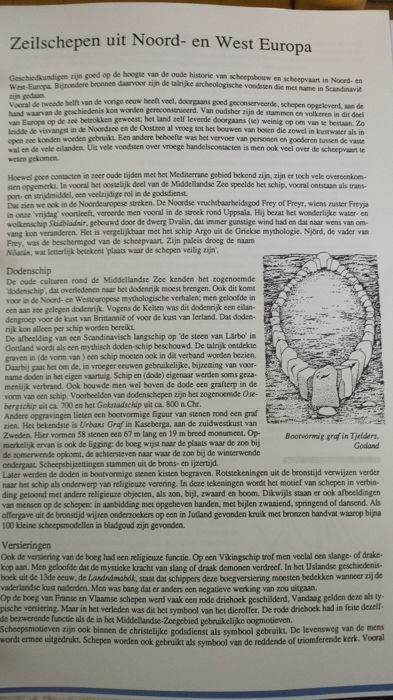 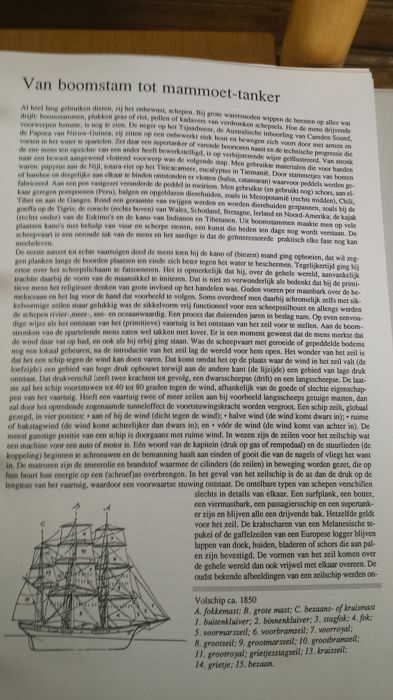 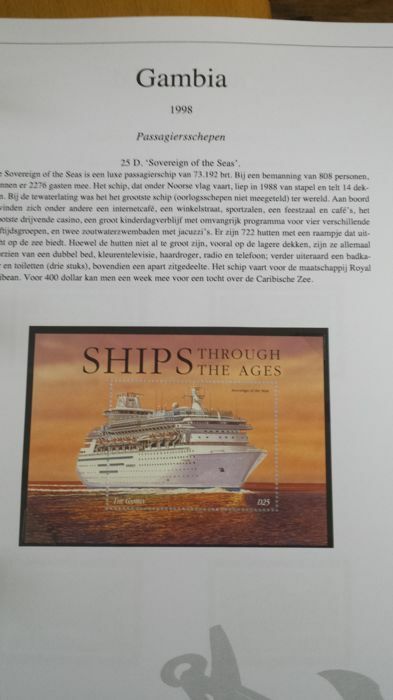 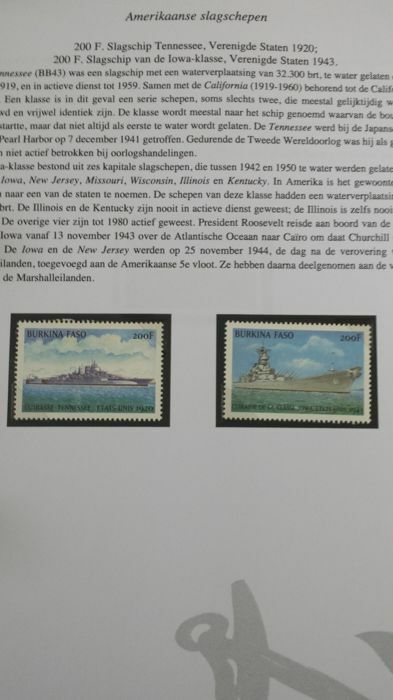 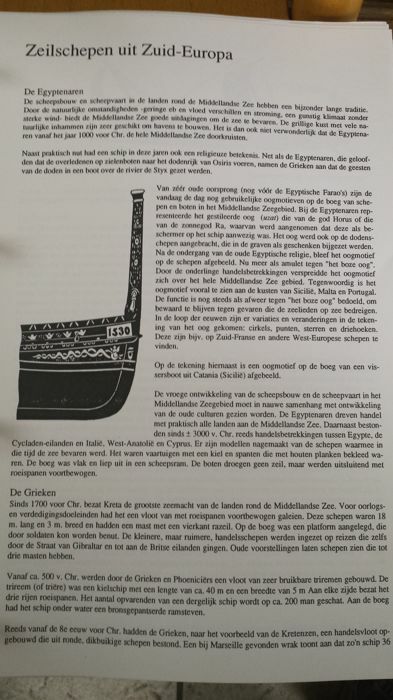 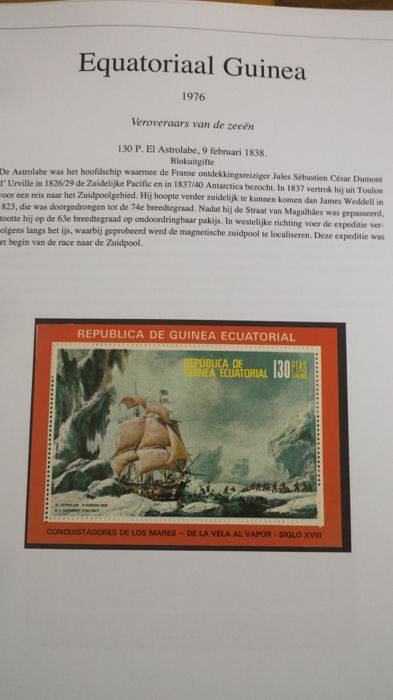 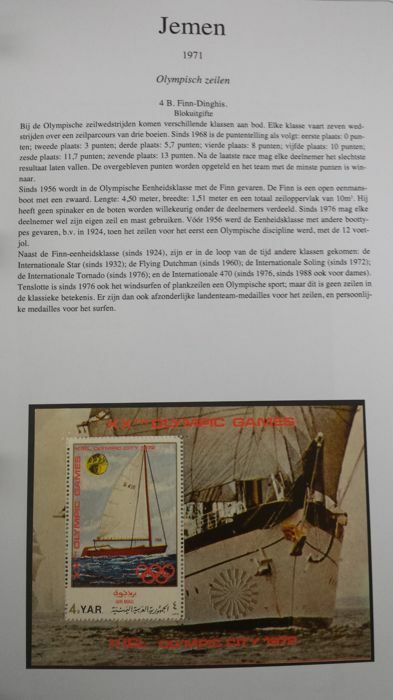 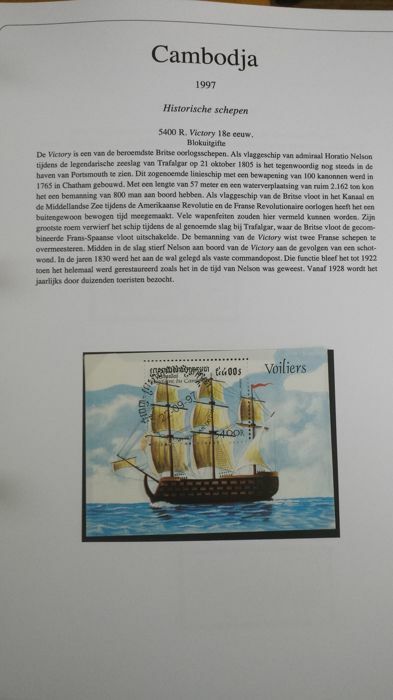 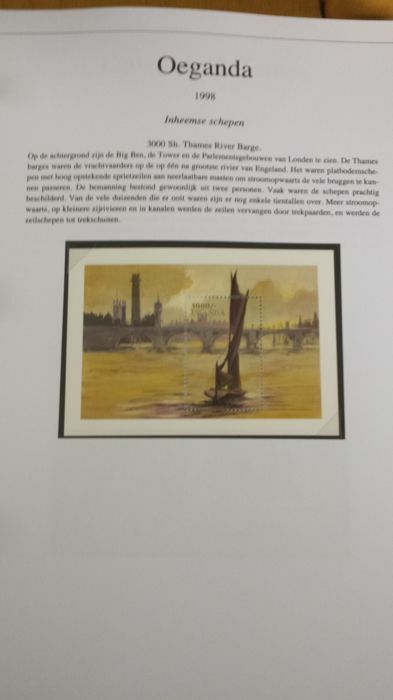 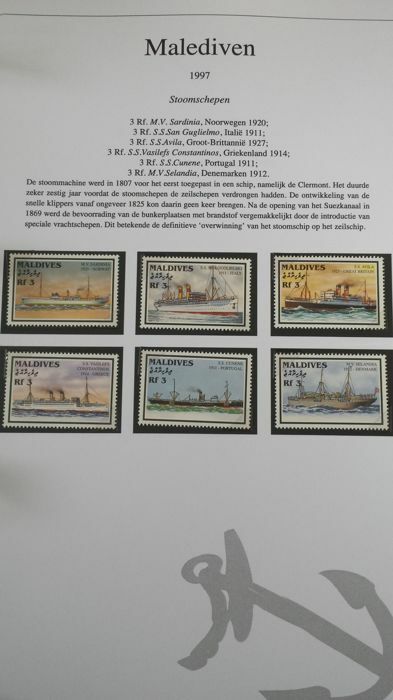 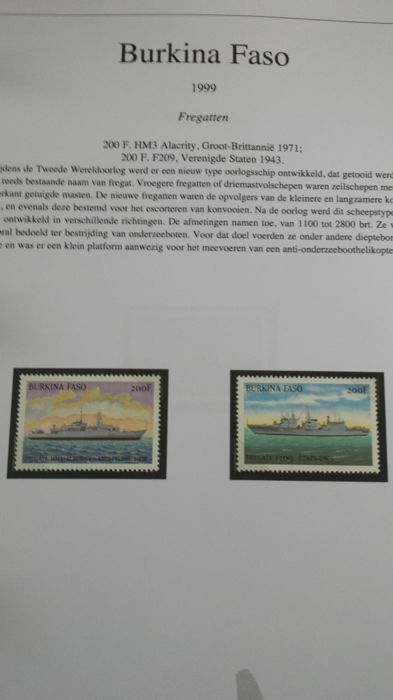 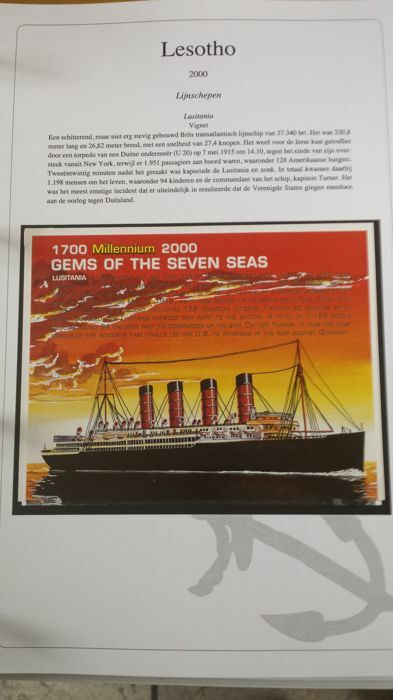 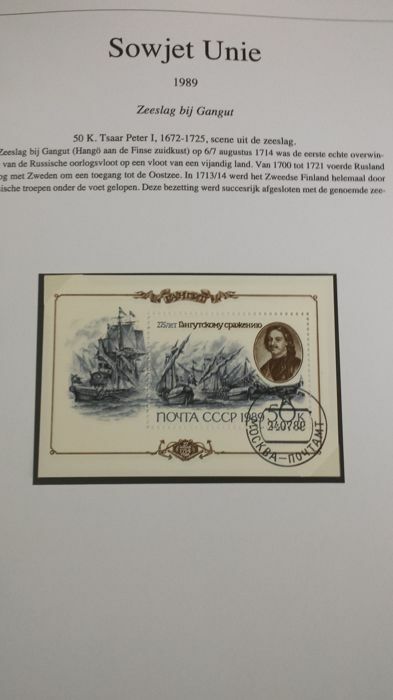 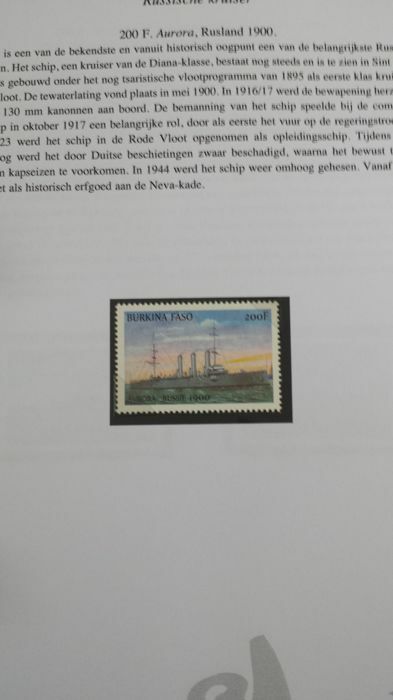 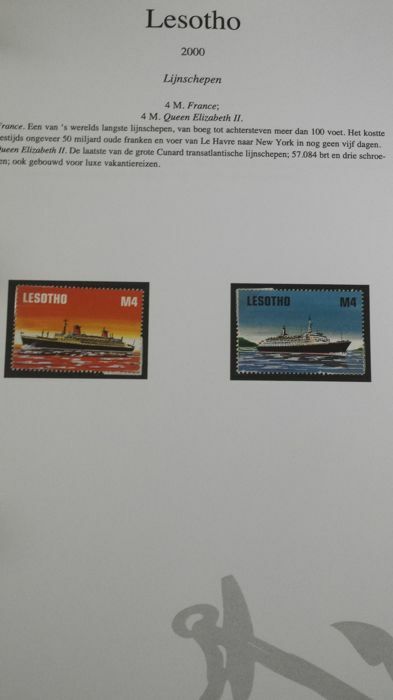 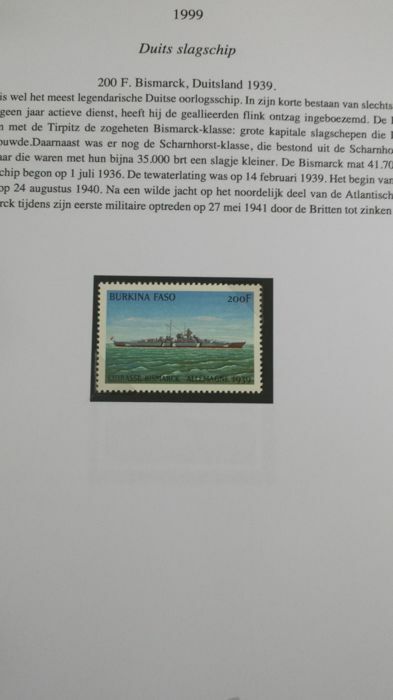 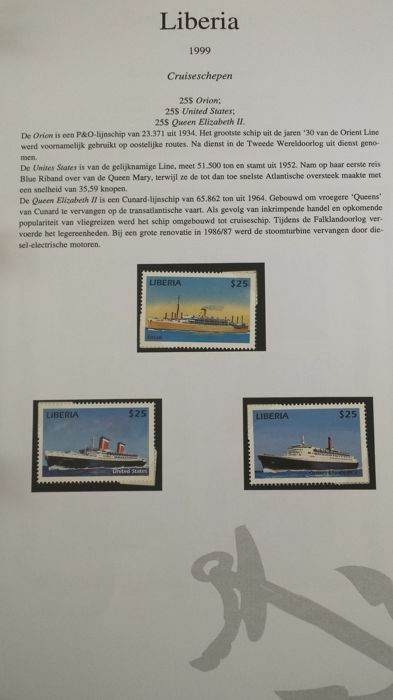 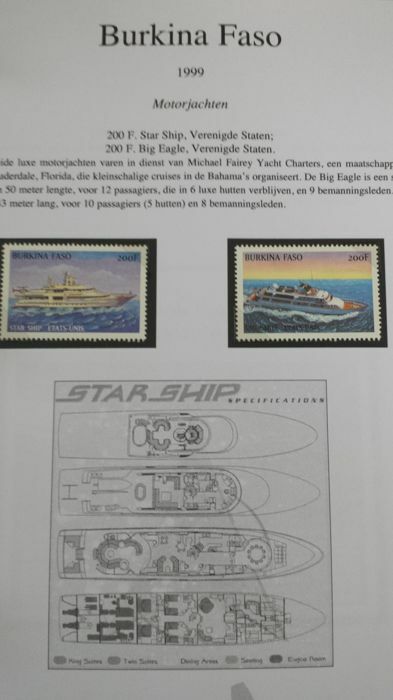 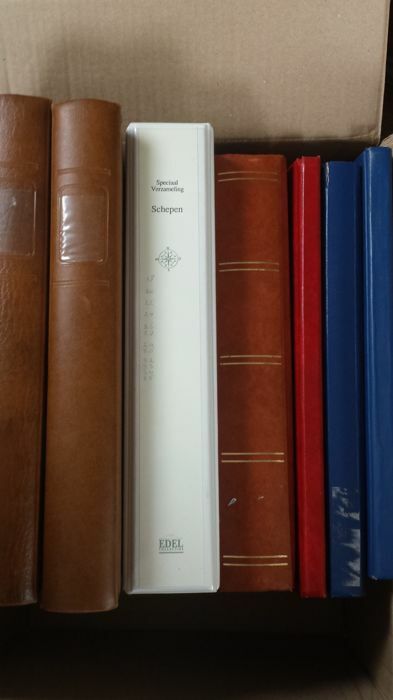 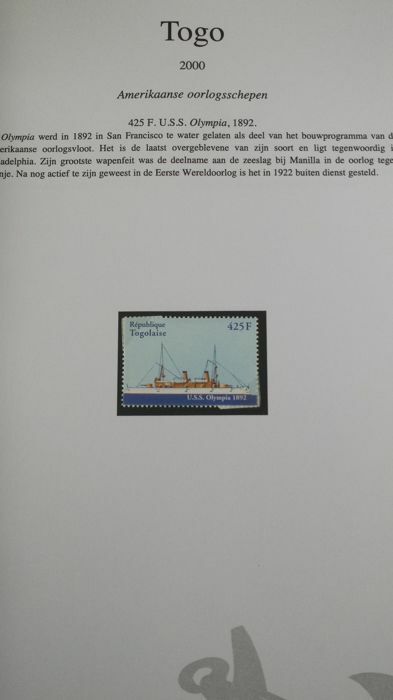 Ontvangen bestelnummer 10895113 maar I.p.v 40 insteelboeken waren er maar 27 stuks.